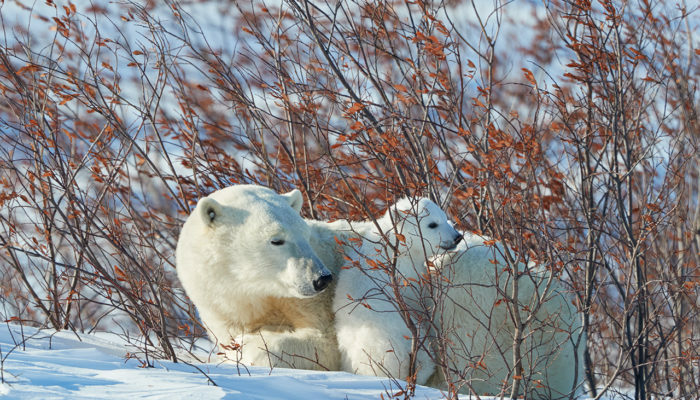 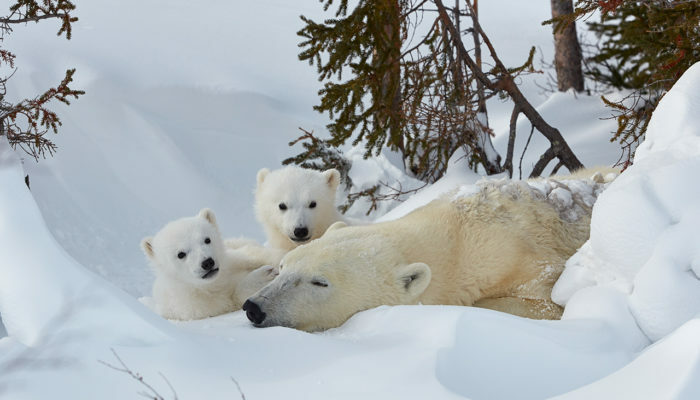 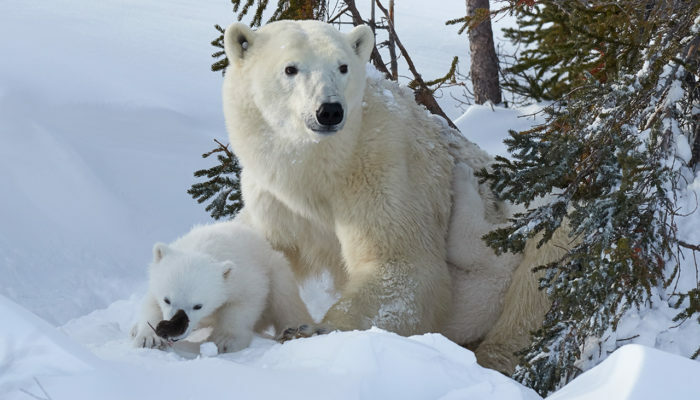 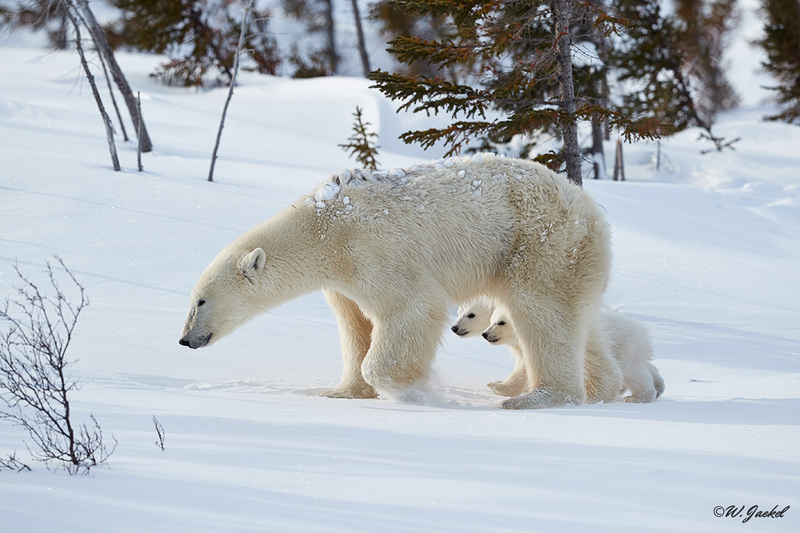 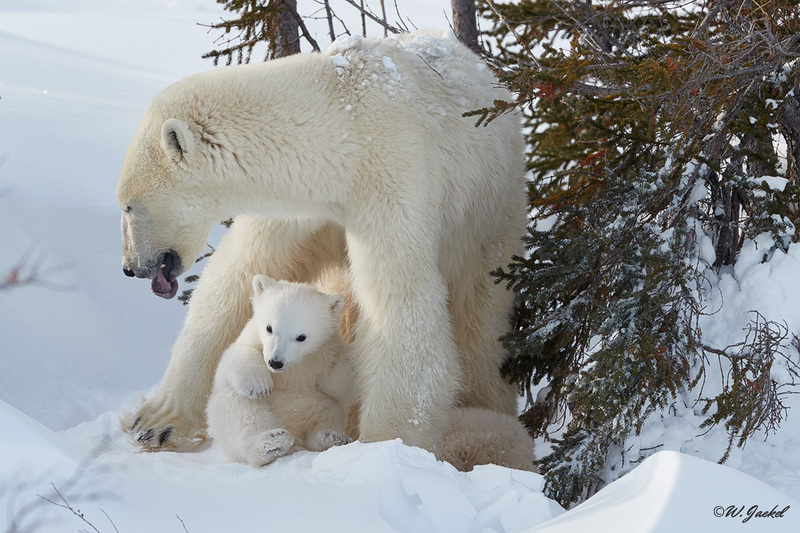 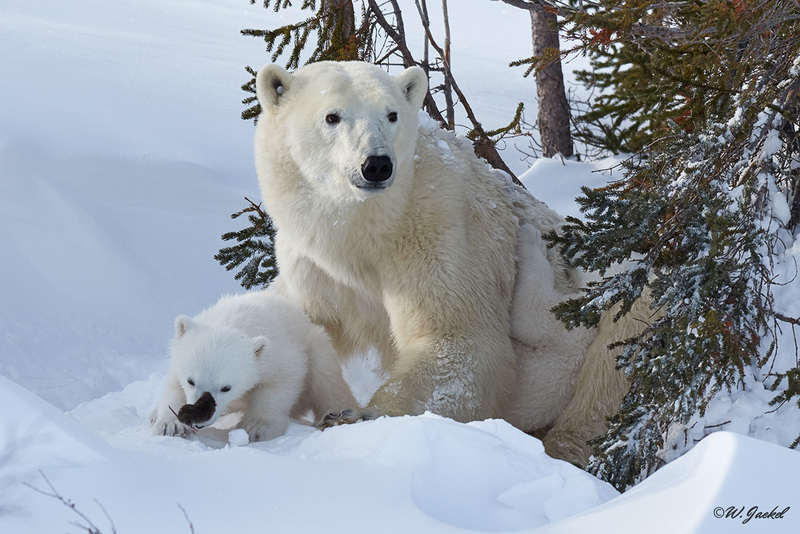 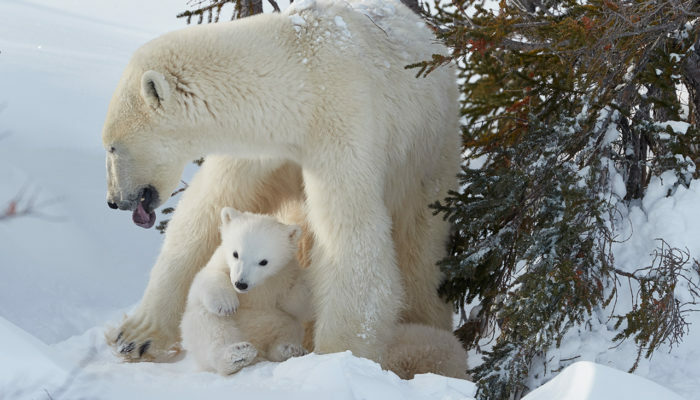 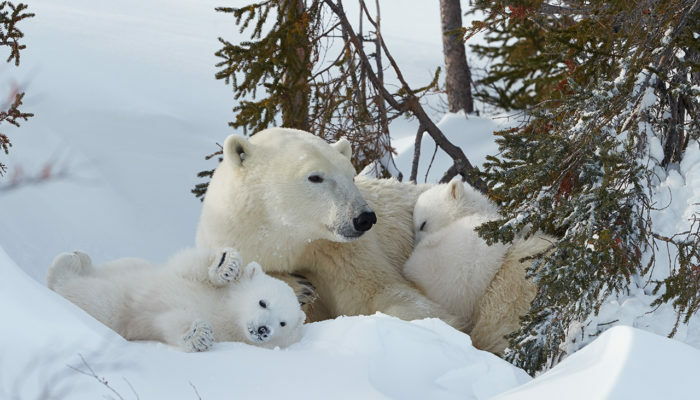 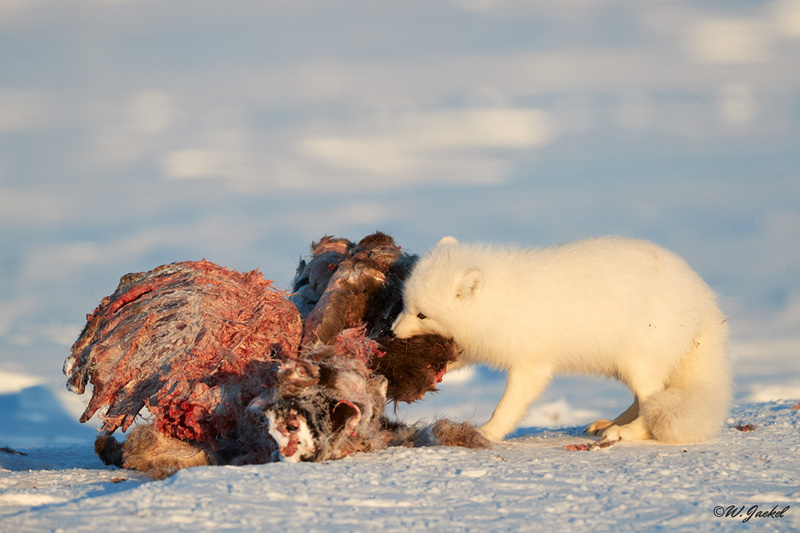 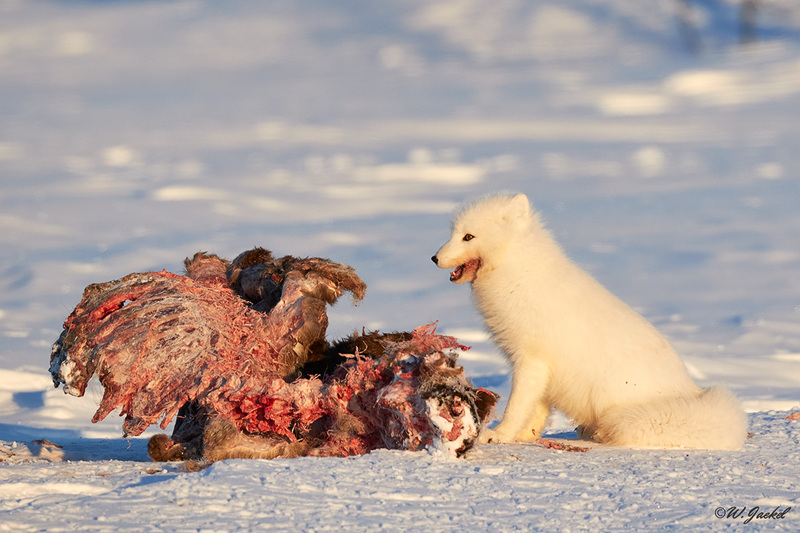 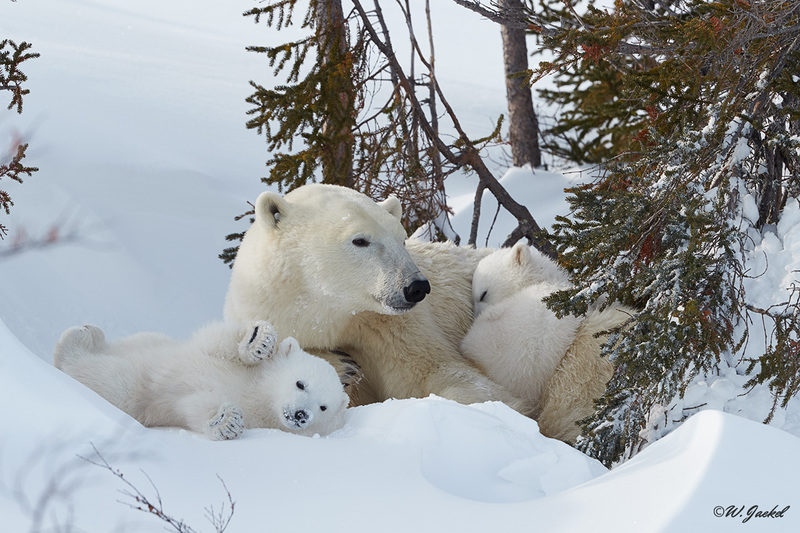 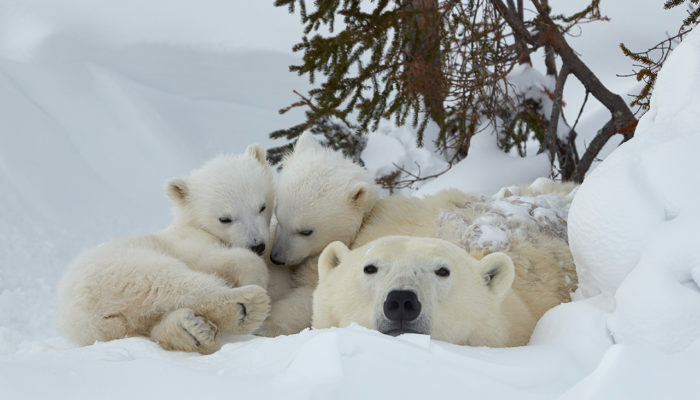 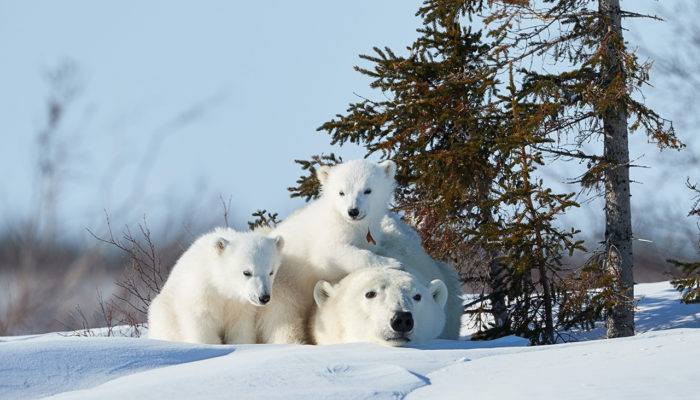 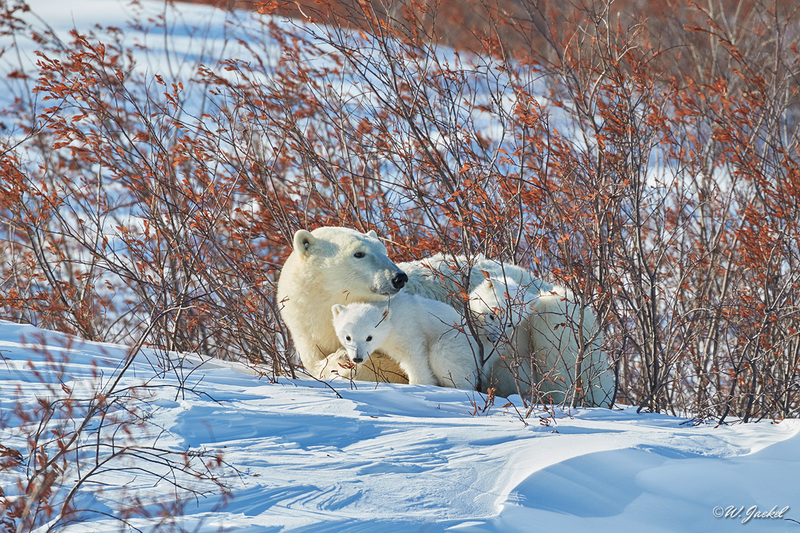 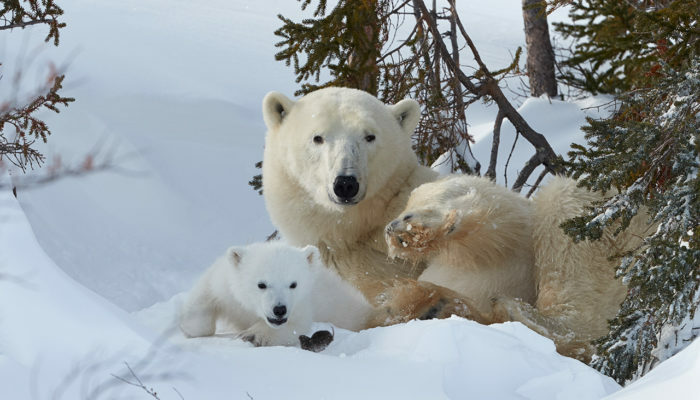 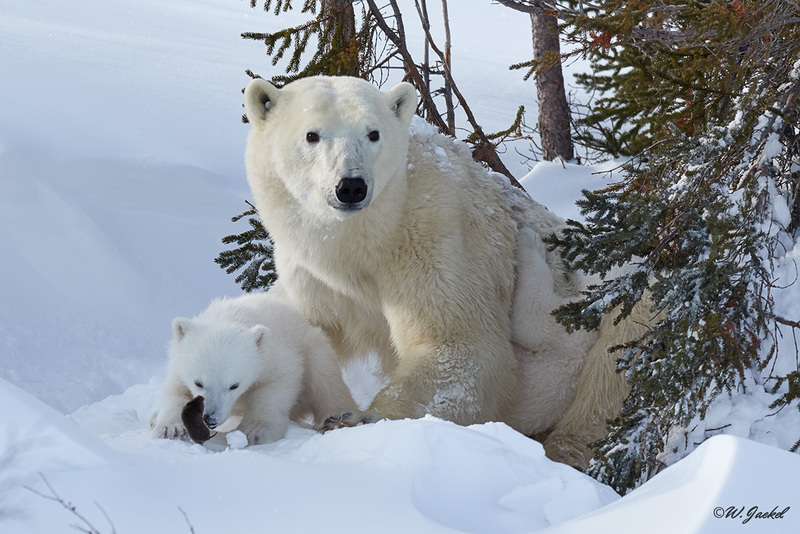 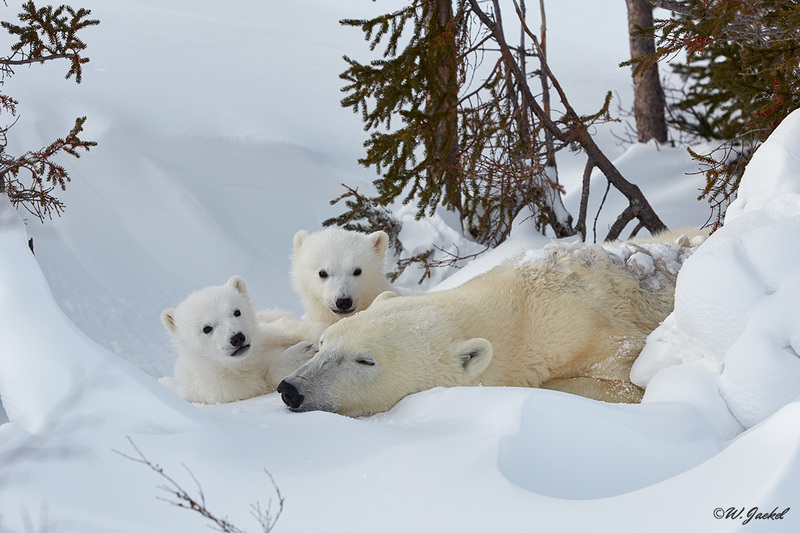 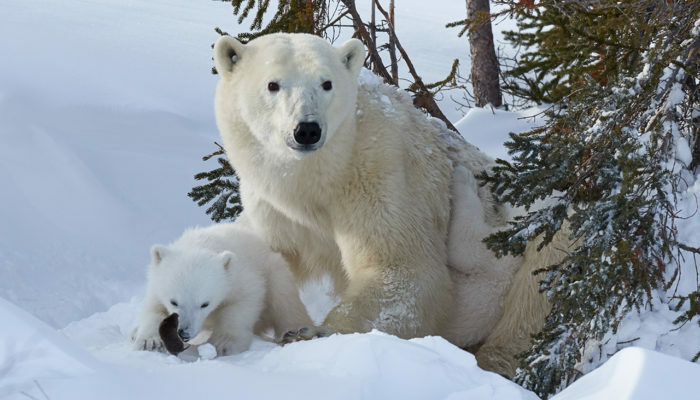 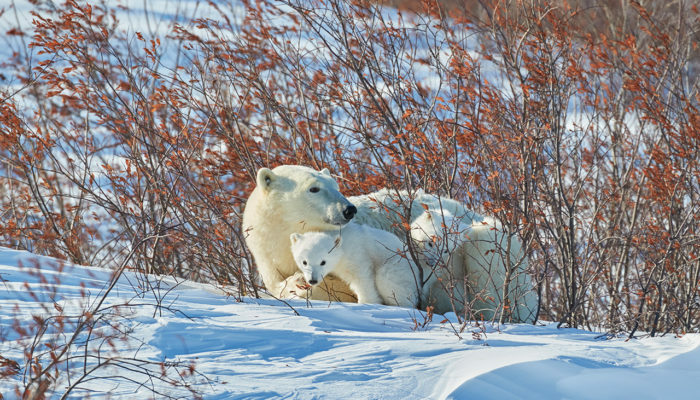 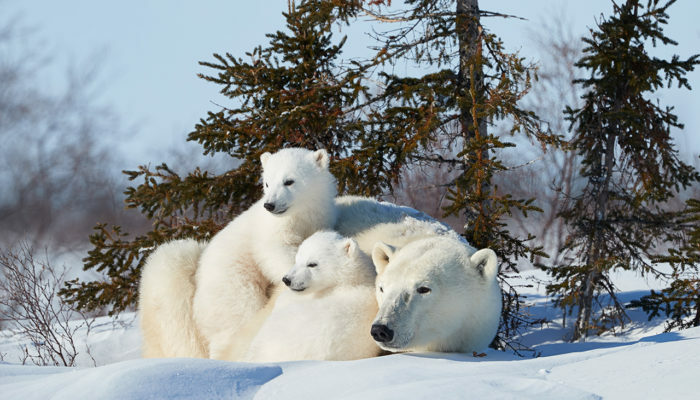 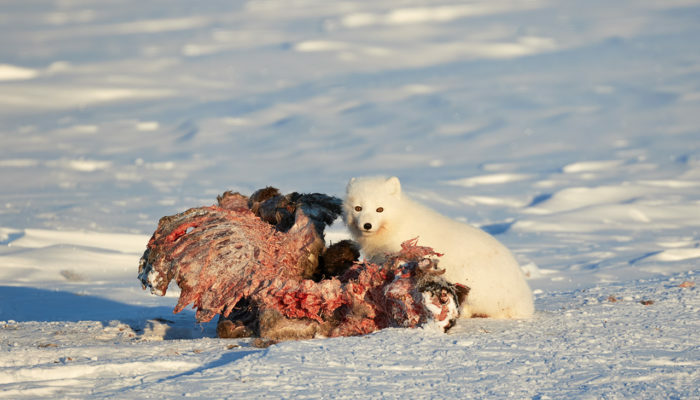 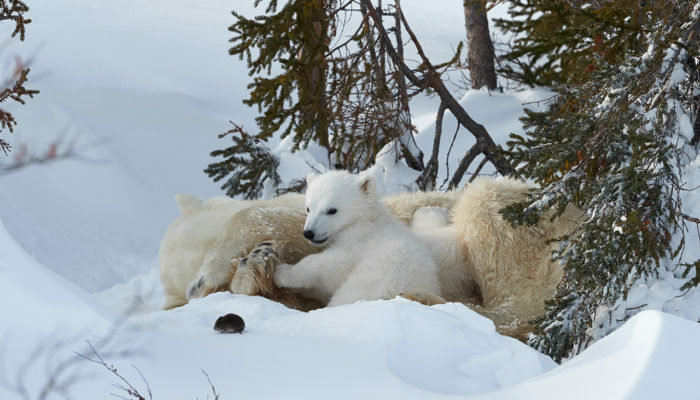 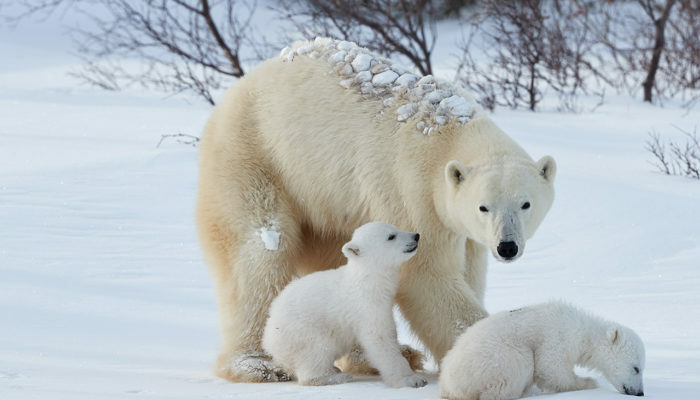 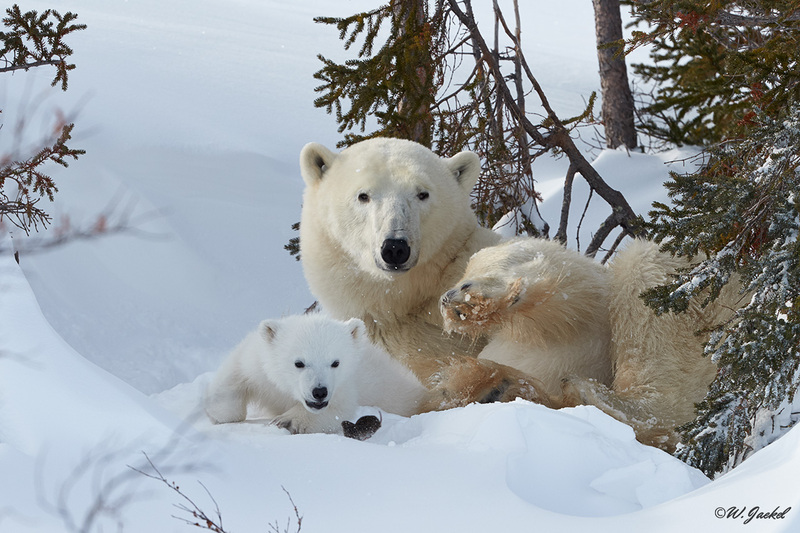 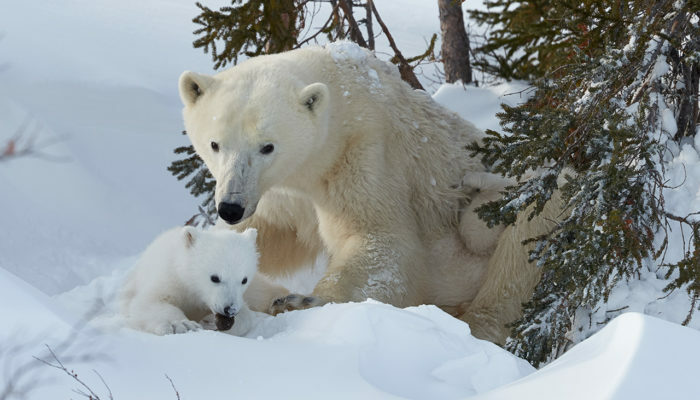 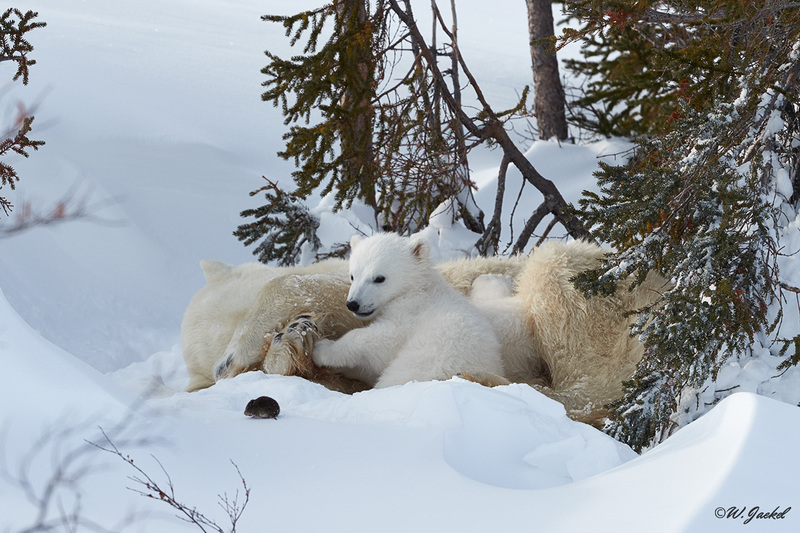 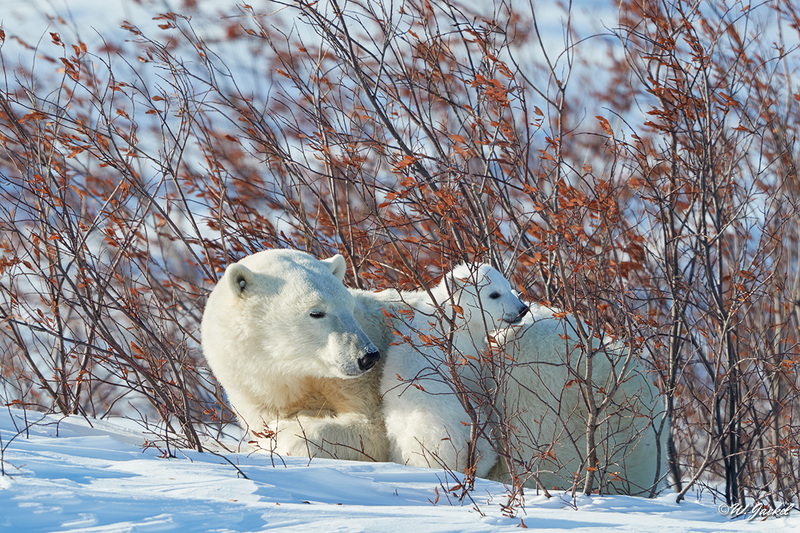 The far northern Canadian tundra near Churchill is the only place on Earth where you actually have the chance to see polar bear moms with their new born babies emerging from their birth cave after the winter. 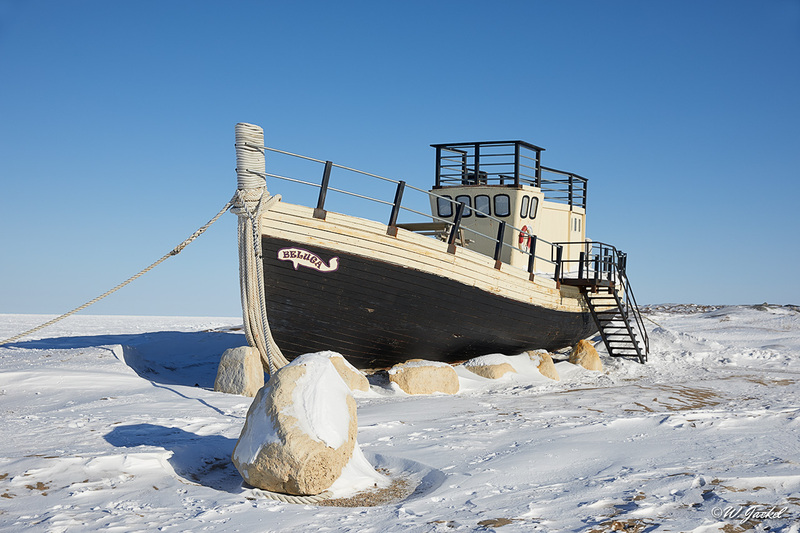 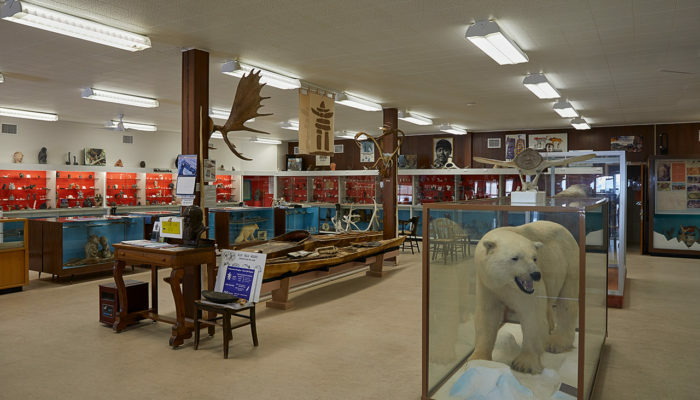 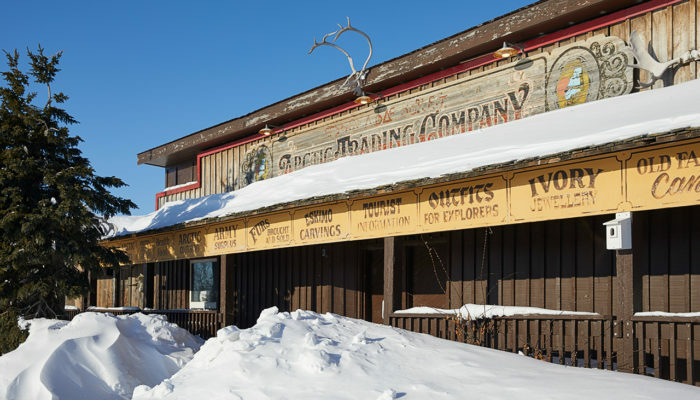 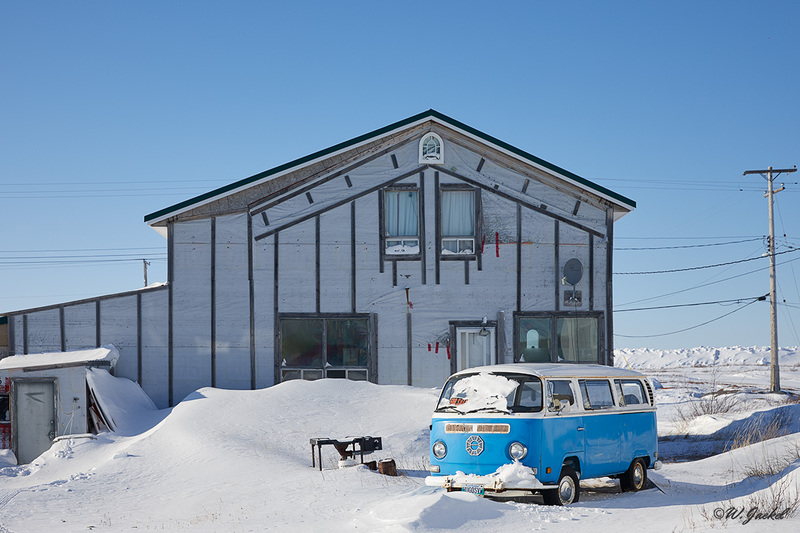 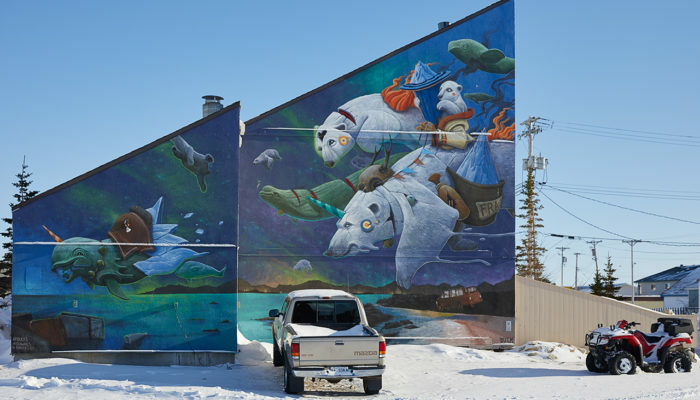 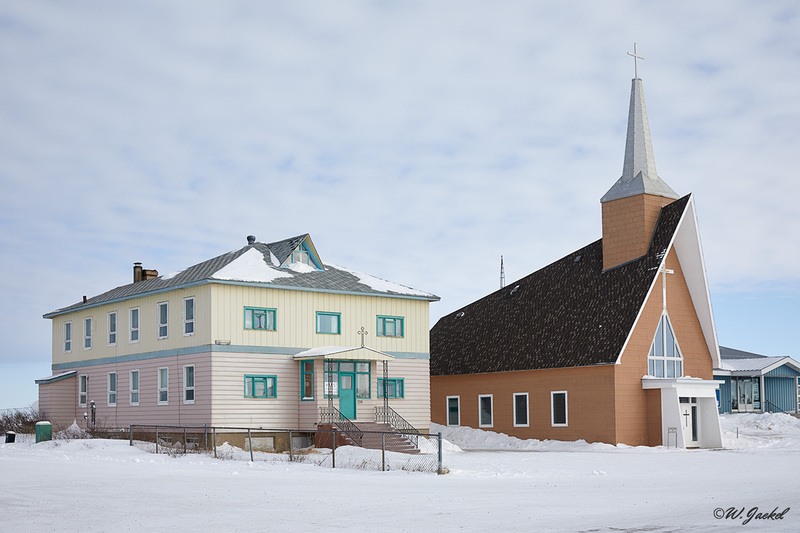 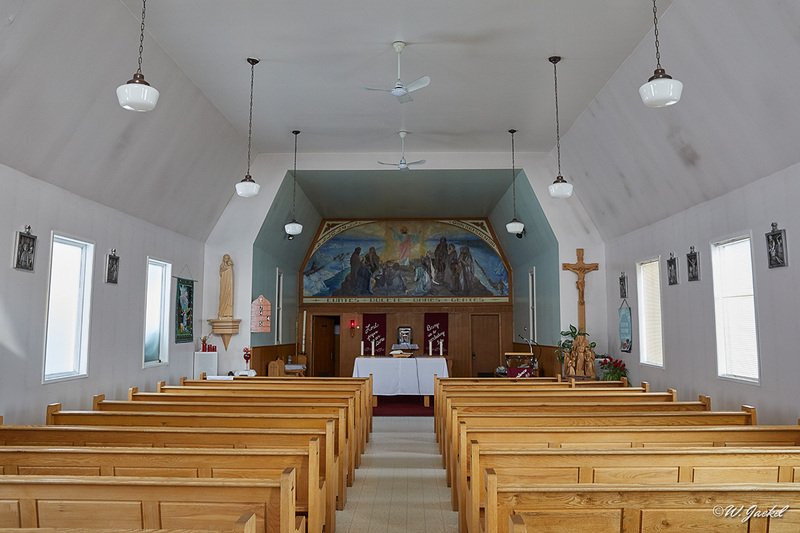 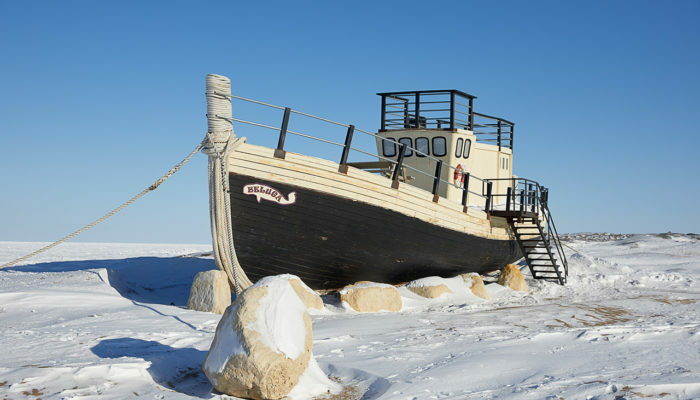 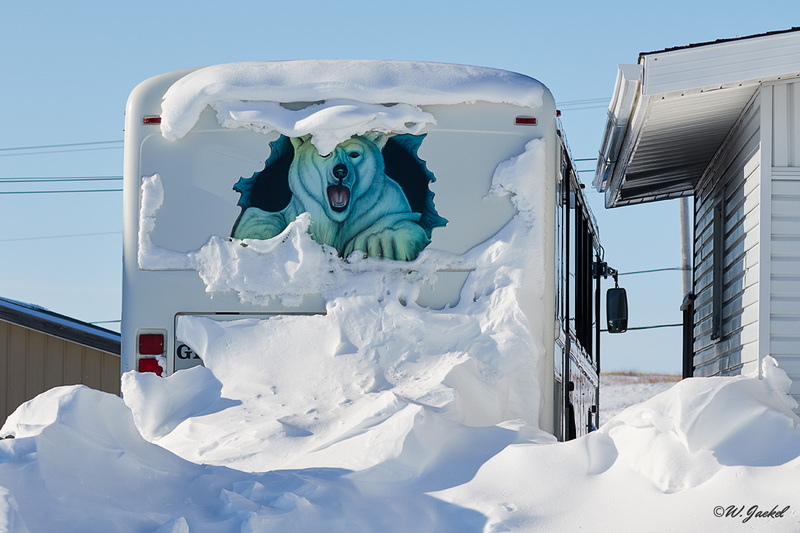 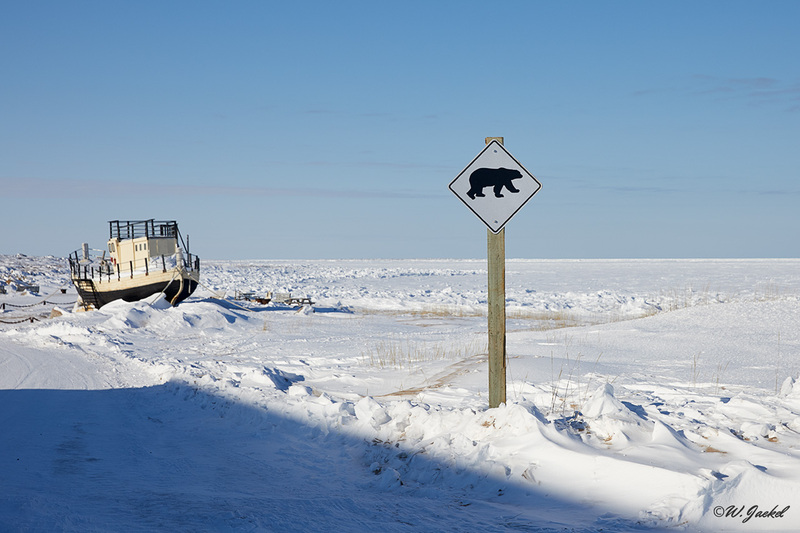 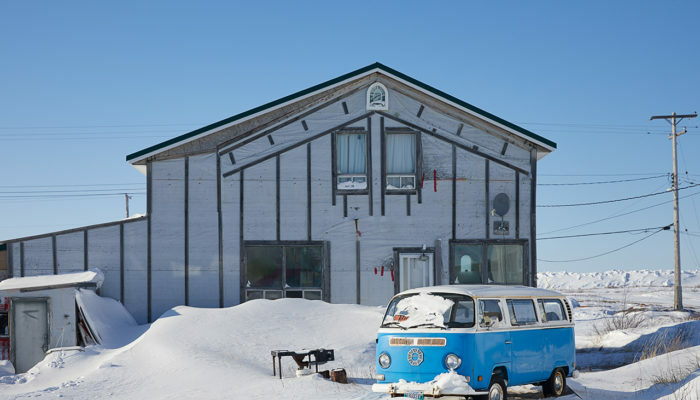 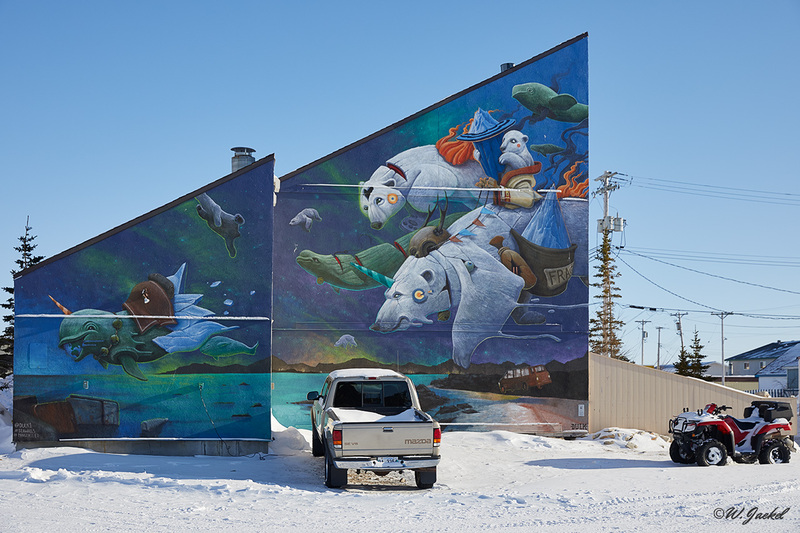 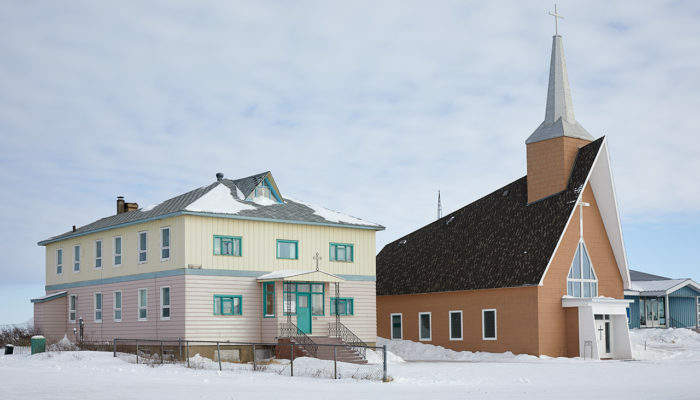 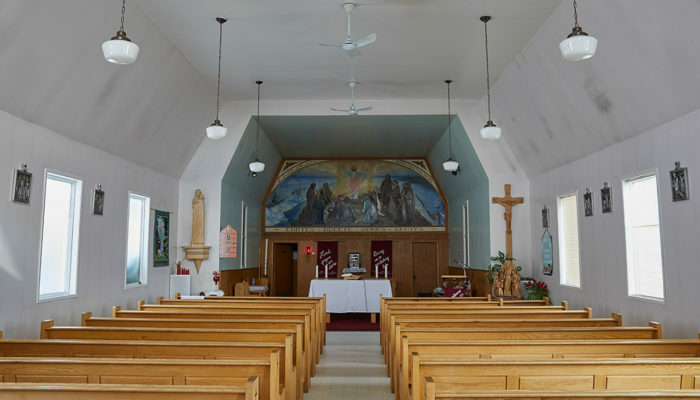 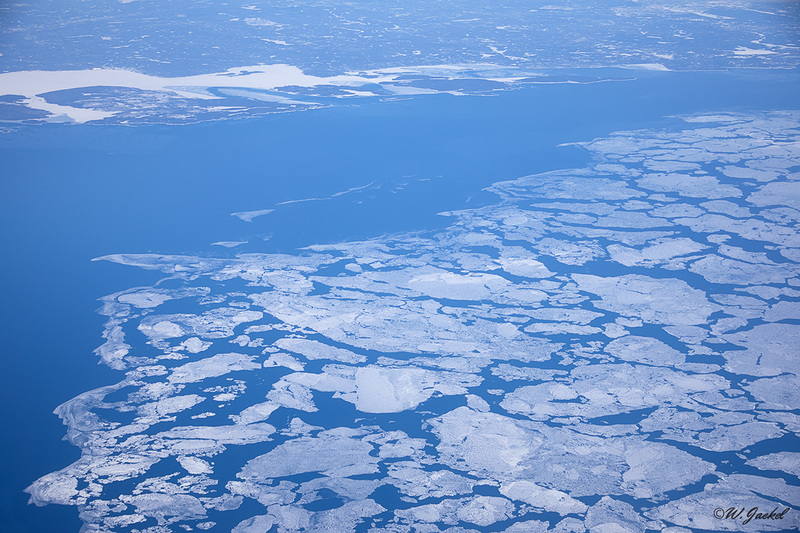 The small town of Churchill is situated at the Hudson Bay and advertised as “the polar bear capital of the world”. 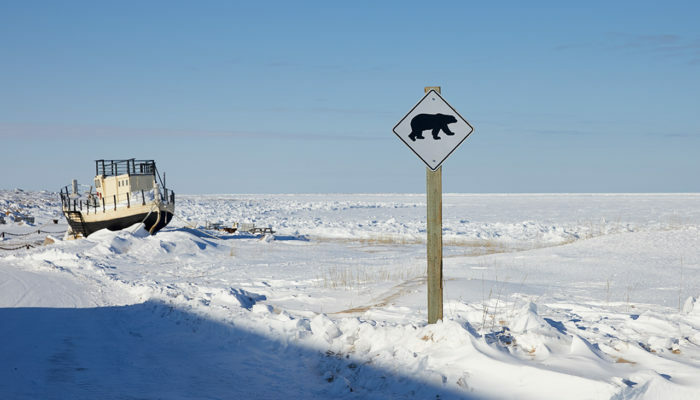 However, this slogan primarily refers to the autumnal accumulation of male polar bears waiting for the freezing of the Hudson Bay and sometimes entering the town. 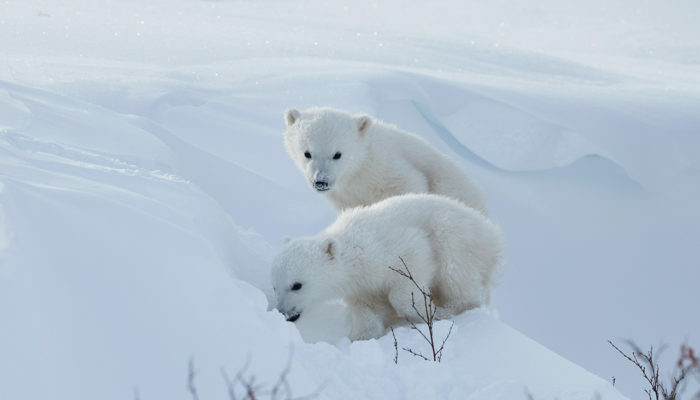 In contrast to that, the tiny polar bear cubs are almost never seen in the wild. 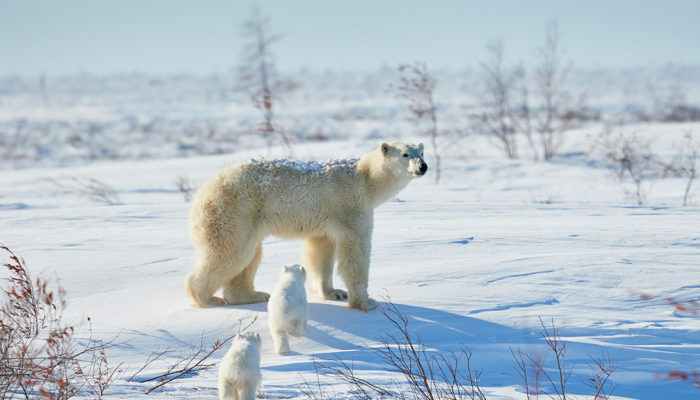 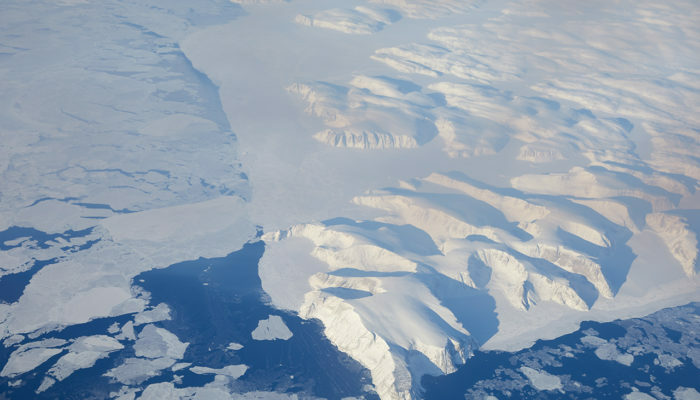 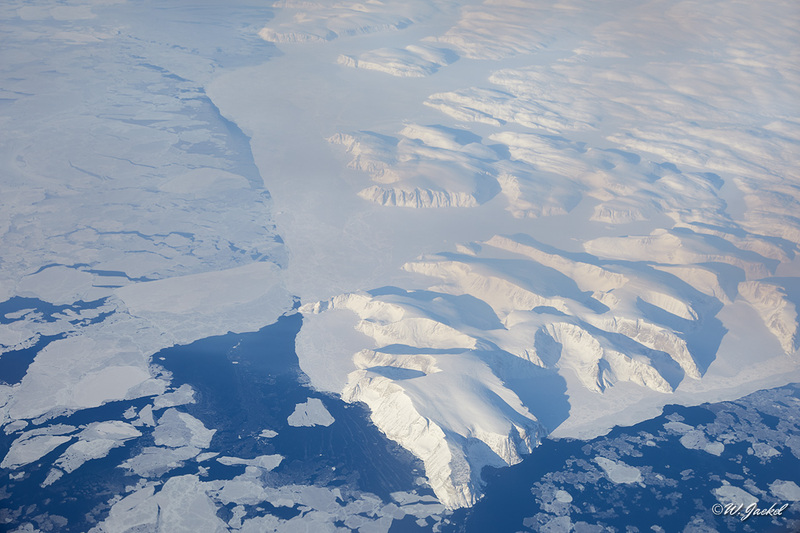 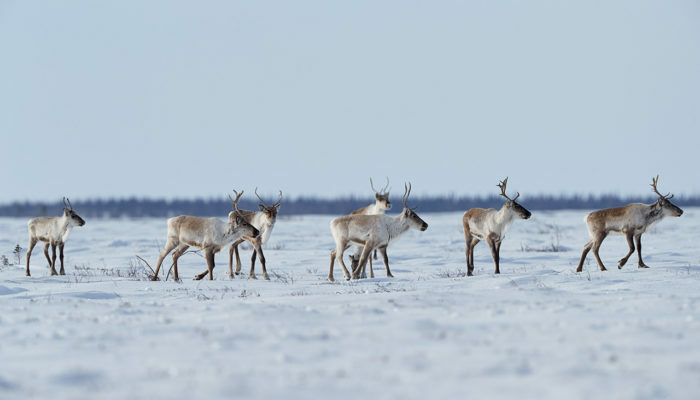 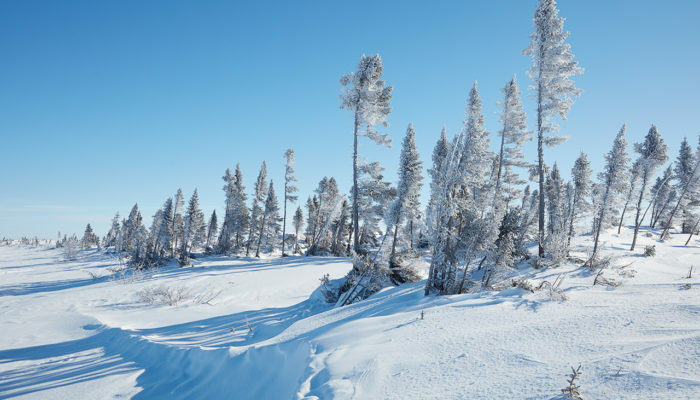 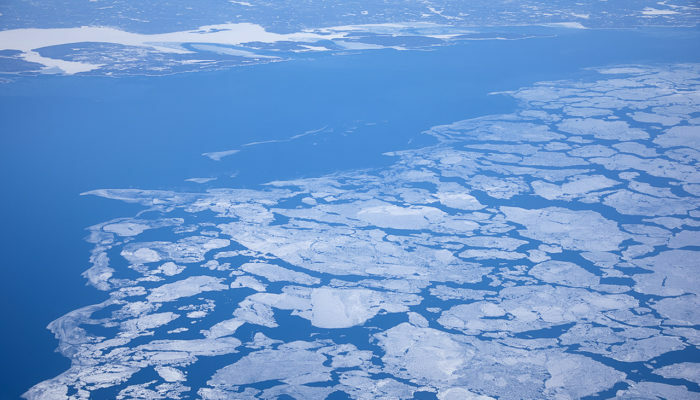 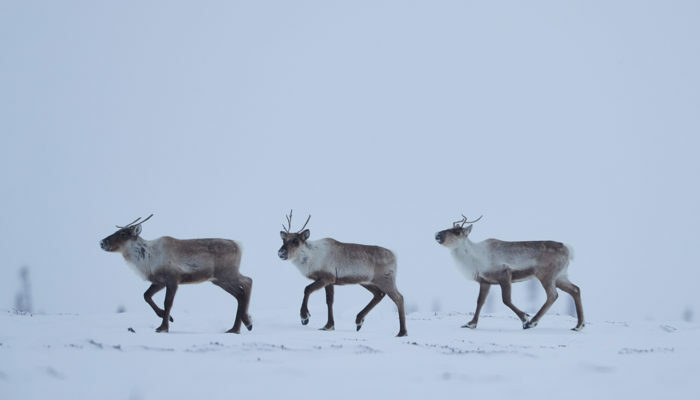 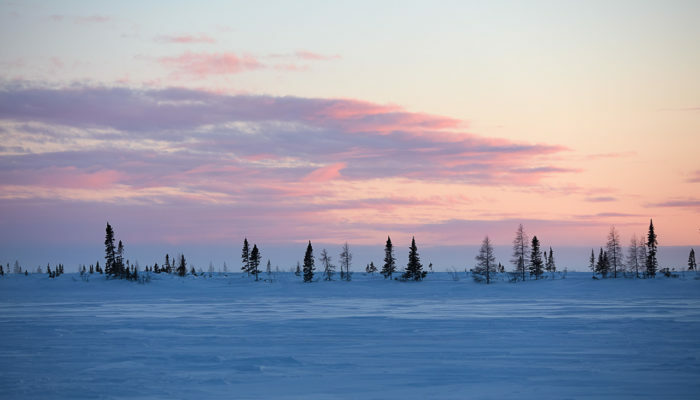 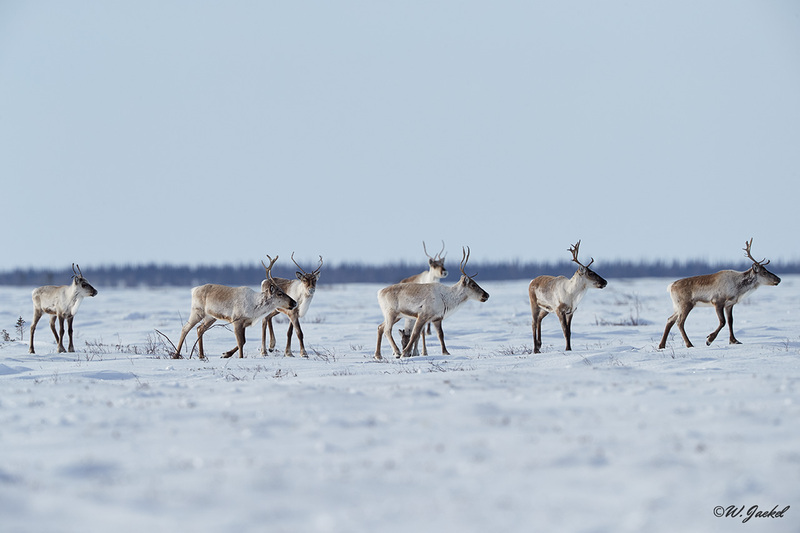 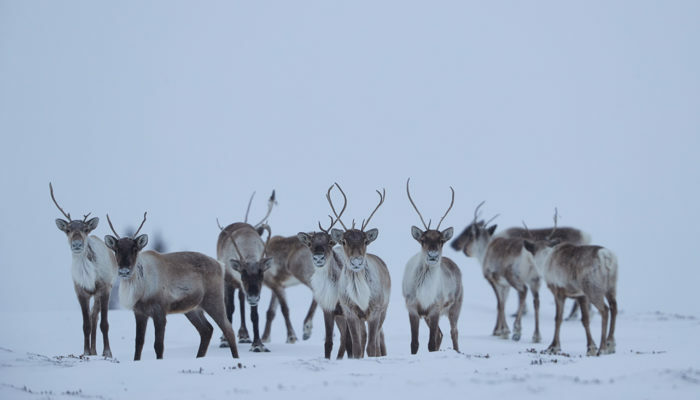 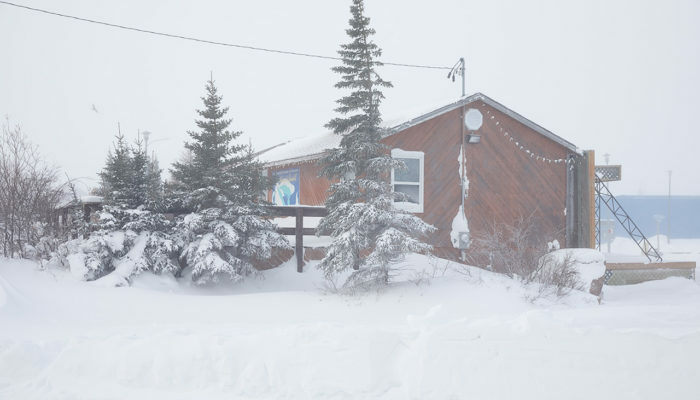 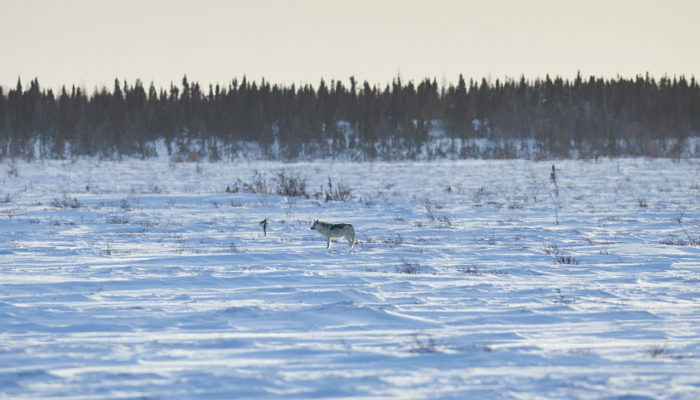 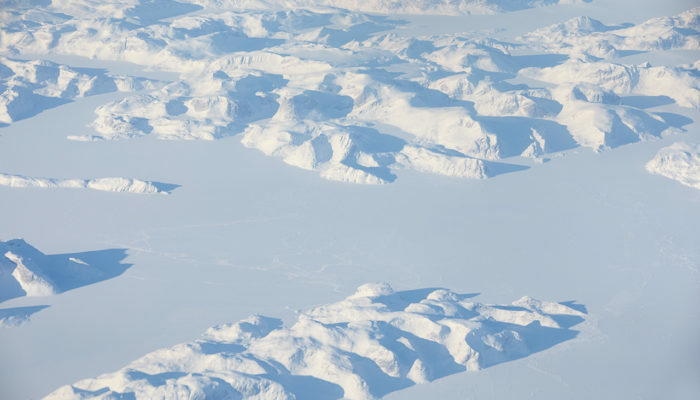 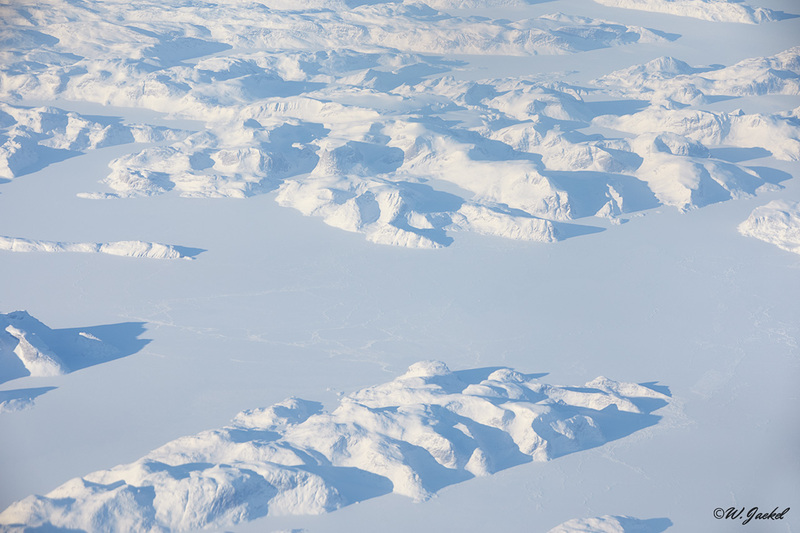 And there’s good reason to that since the remote area around 60km from Churchill where they’re born in winter happens to be extremely hostile to humans with temperatures dropping to -40 degree Celsius and well below. 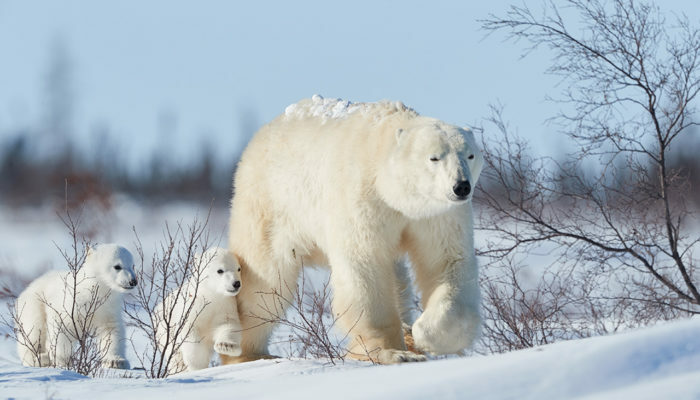 Therefore, I’m extremely happy that I had the chance to get there in February 2018 and thus enjoy the privilege of seeing something so rare only a few hundred people on the globe have ever experienced to view and get close to: Polar bear mothers taking their tiny new born cubs out into the world for the very first time. 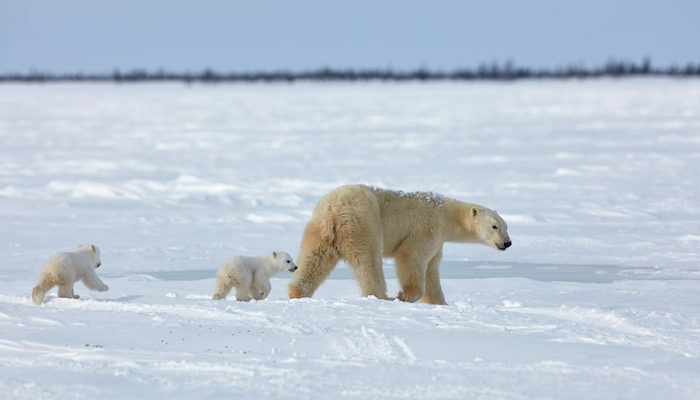 Wherever you see photographs of Baby polar bears it’s almost certain that they were taken in this part of the Canadian Arctic. 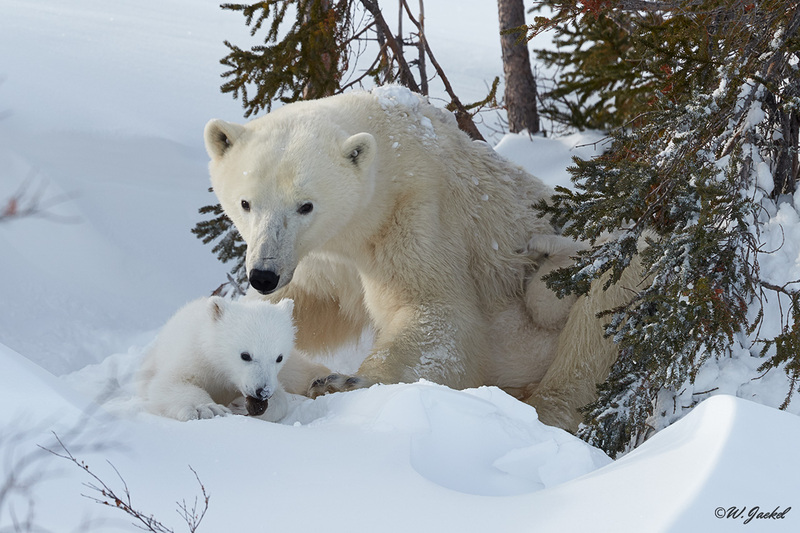 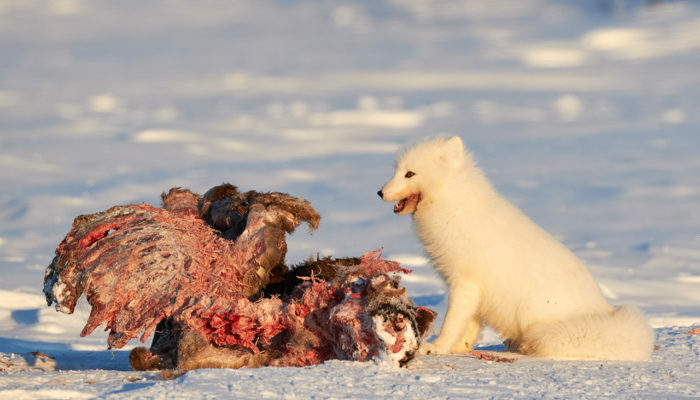 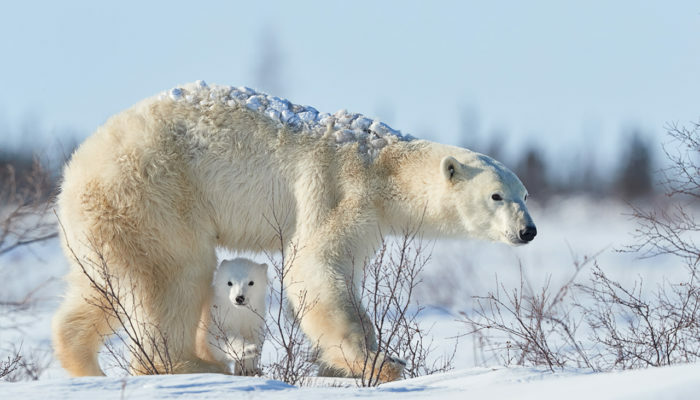 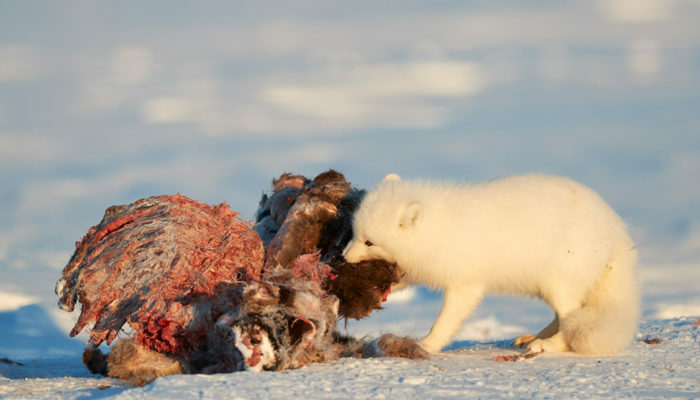 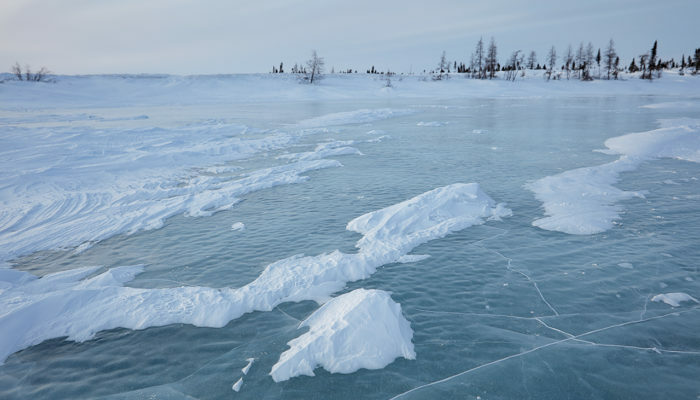 The pregnant polar bears travel to that exact slice of Canada every November to bear their young deep into snow caves (dens) and emerging just before spring to make a 40 mile (60km) walk back to Hudson Bay and the frozen water that will take them to their first solid food. 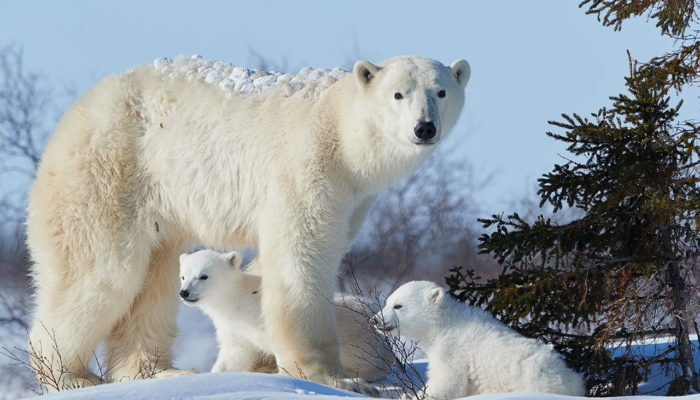 Canada claims about 17,000 of the globe’s estimated 25,000 polar bears .Though the numbers still sound impressive, the polar bears actually are in decline due to the climate change depleting the sea ice these bears rely on to reach the seals as the only food on their menu and sadly, well over half of the cubs will die within their first year. 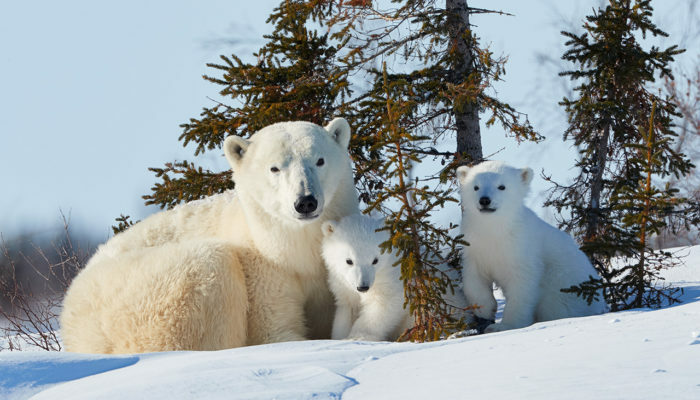 The polar bears of the Wapusk National park are the best studied group of the planet so the surveys and trends are pretty accurate. 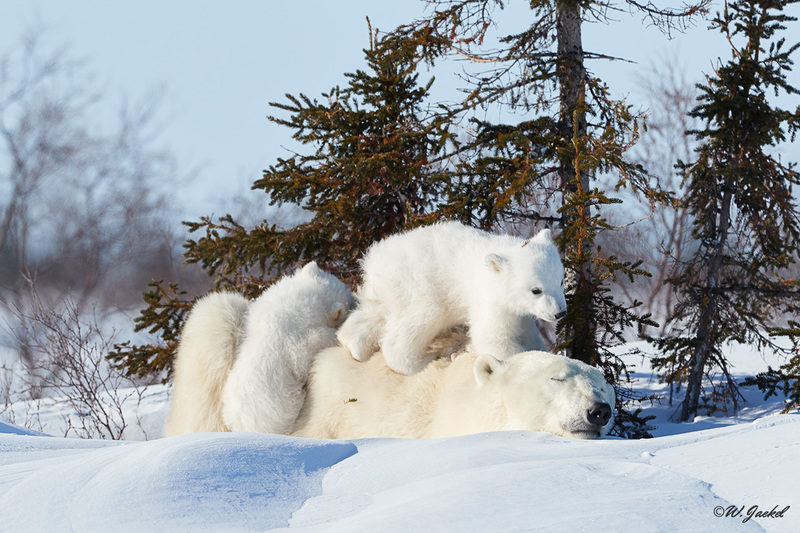 Getting there isn’t easy. 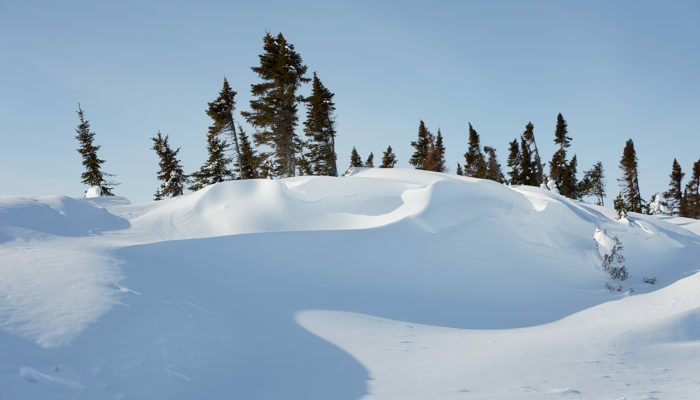 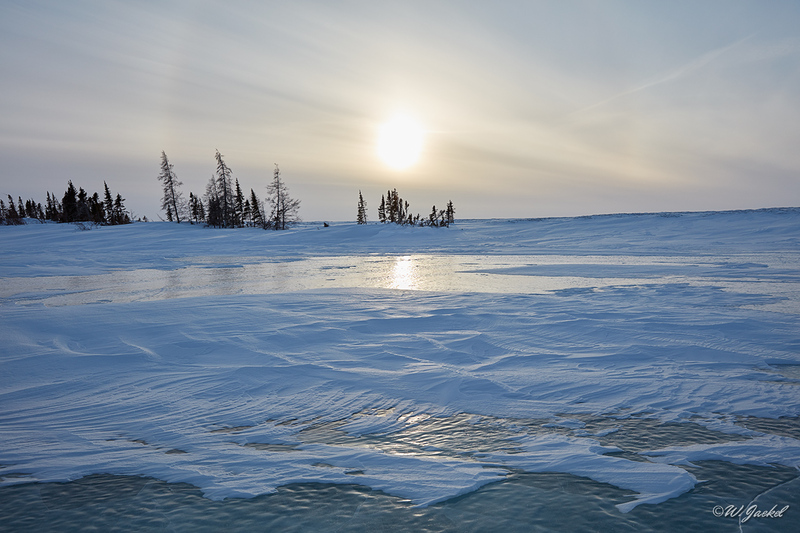 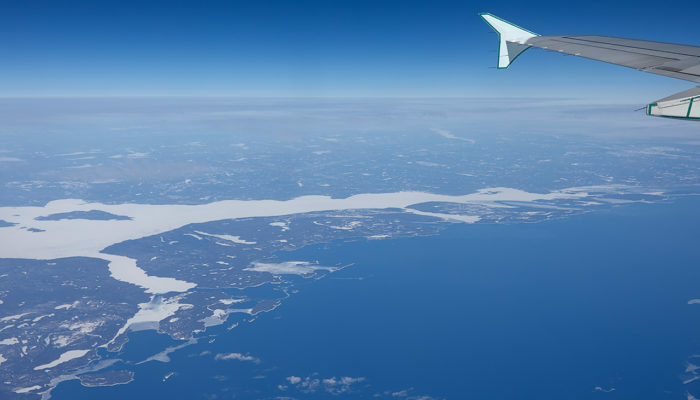 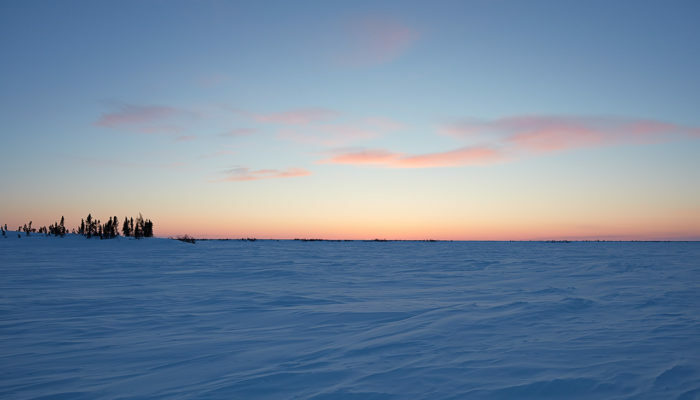 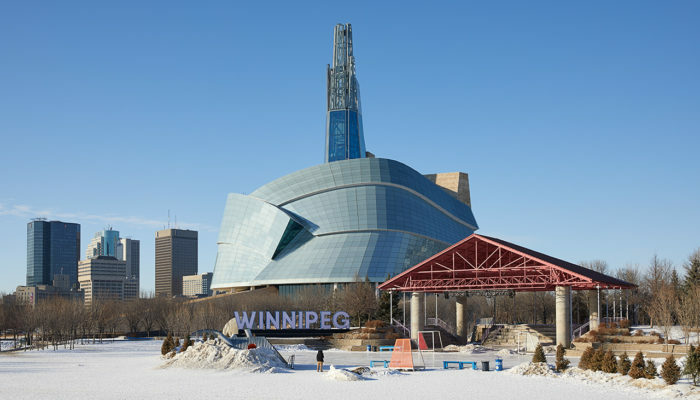 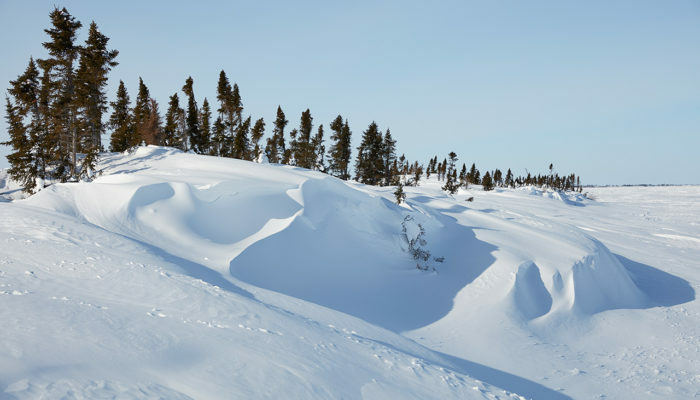 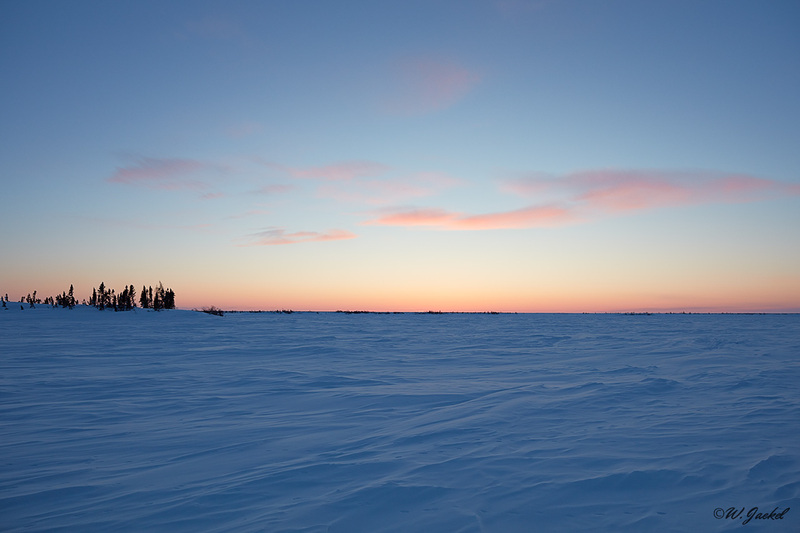 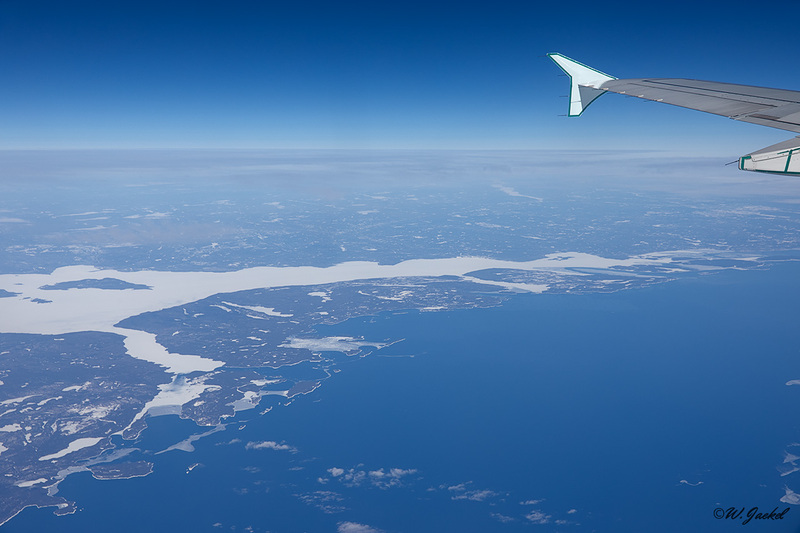 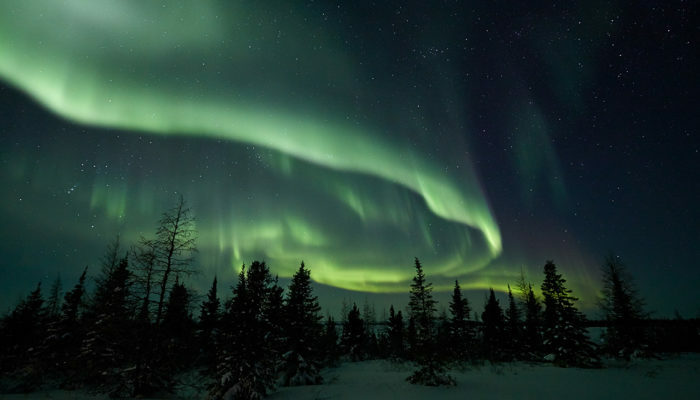 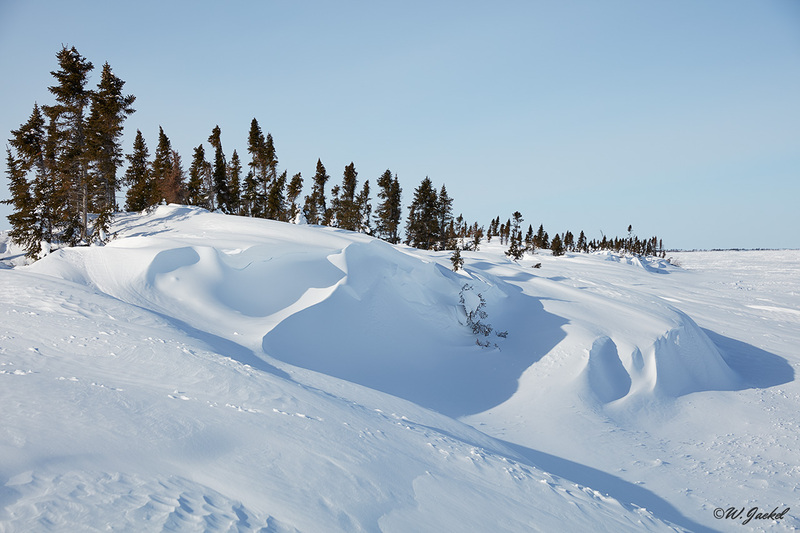 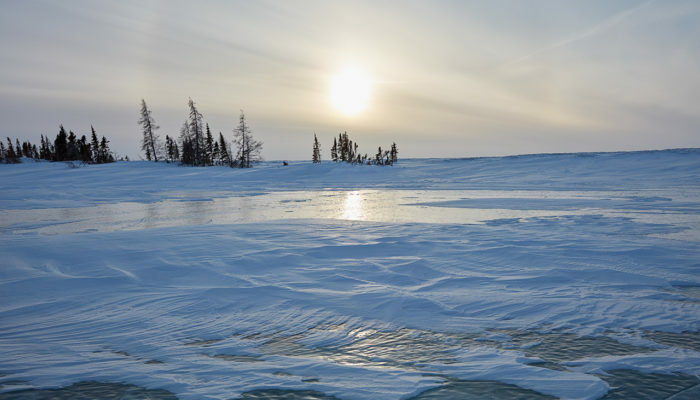 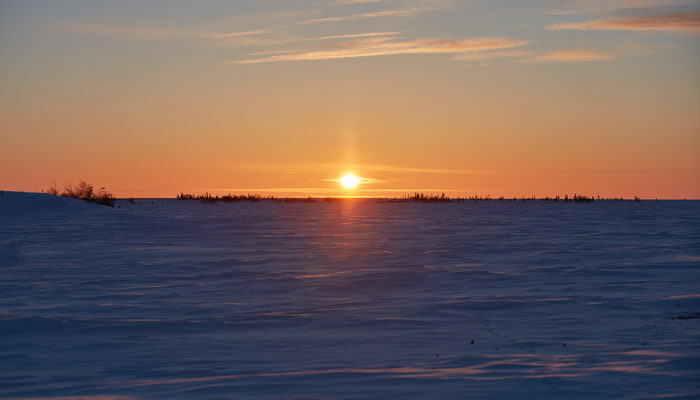 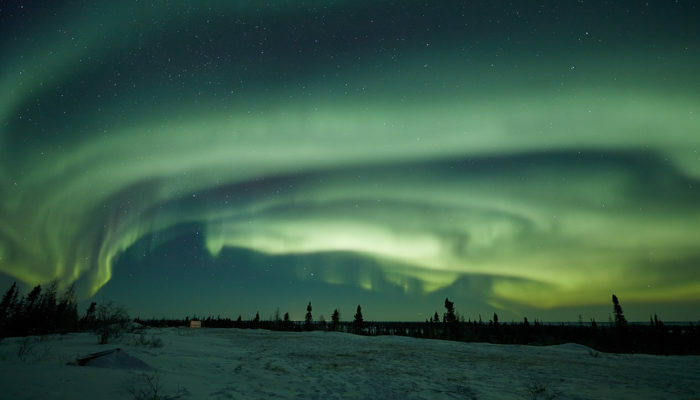 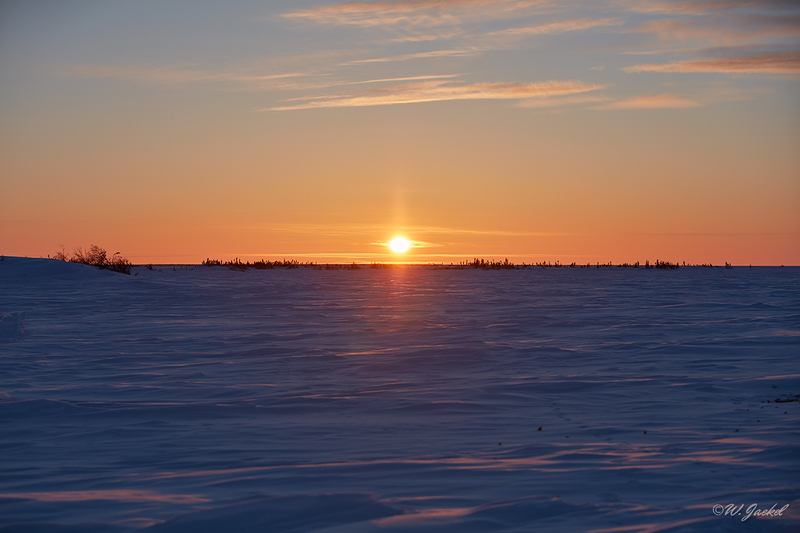 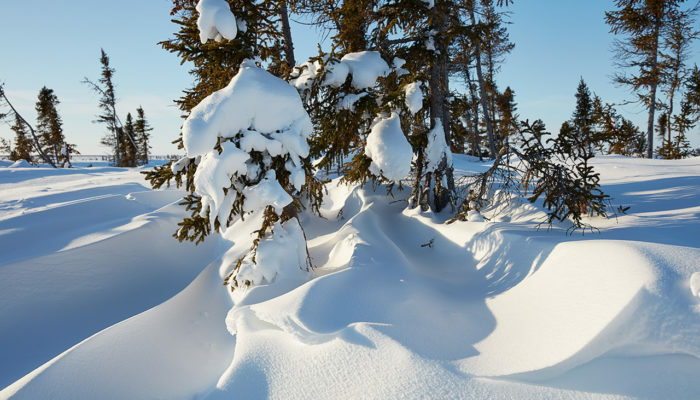 A flight to Winnipeg followed by a small plane to Churchill, Manitoba and after that an 1 ½ hour train ride through the Arctic tundra which ends nowhere near a station in the middle of the night. 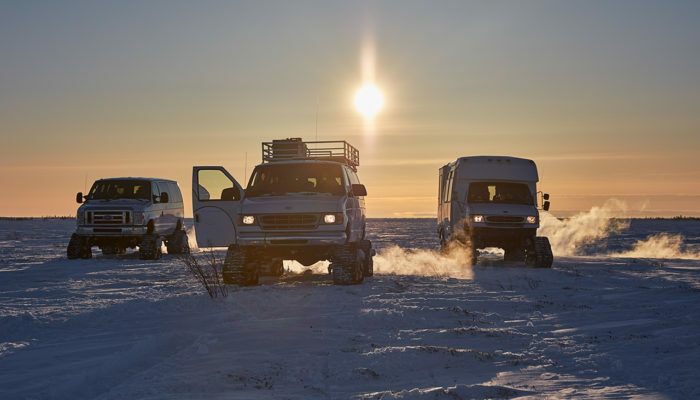 Another hour later on special vans converted with tank treads you finally could reach the lodge in the middle of nowhere. 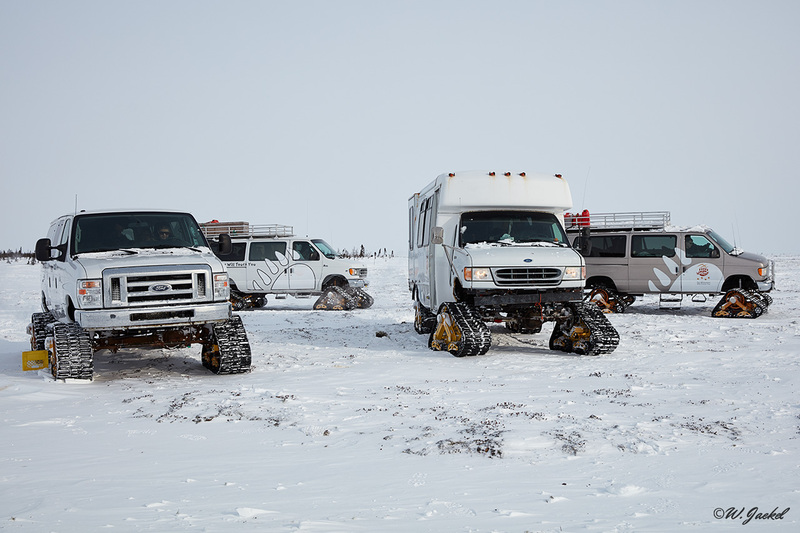 This had been the itinerary until 2016. 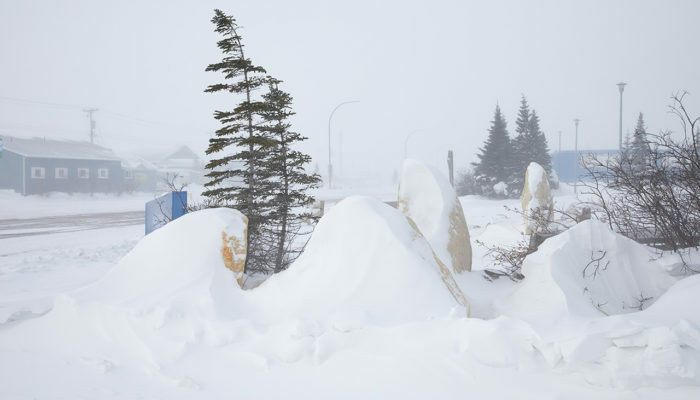 However, a spring flood had washed out a section of the railway in the spring of 2017 and up to date, the federal government and the private owner have been locked in a battle over who should fix it.The railway has been the only land link in and out of town and the community’s economic lifeline. 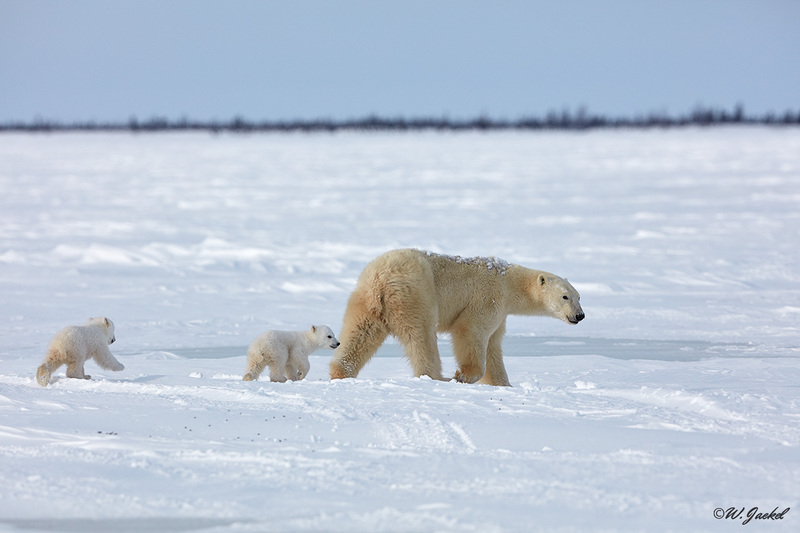 So the future of this remote place and in the last consequence the efforts of protecting the polar bears remain unsure. 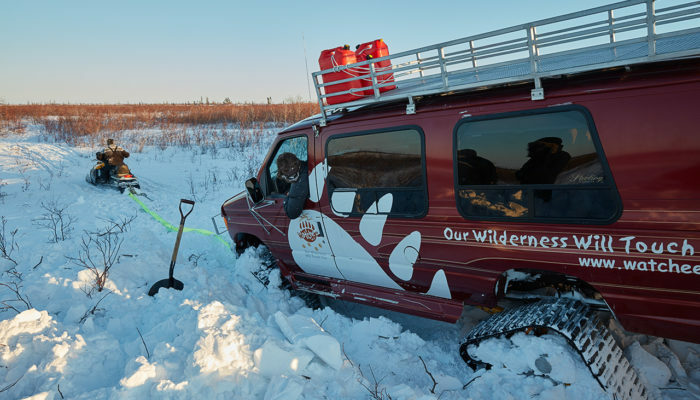 Therefore, after the international flight to Toronto and connections to Winnipeg and Churchill this railway damage made it necessary to take us directly from Churchill to the lodge some 60 km away in the wilderness. 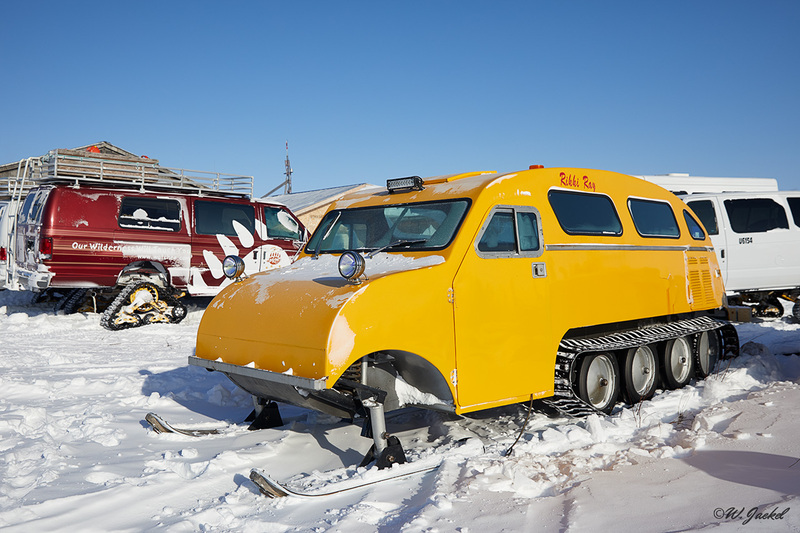 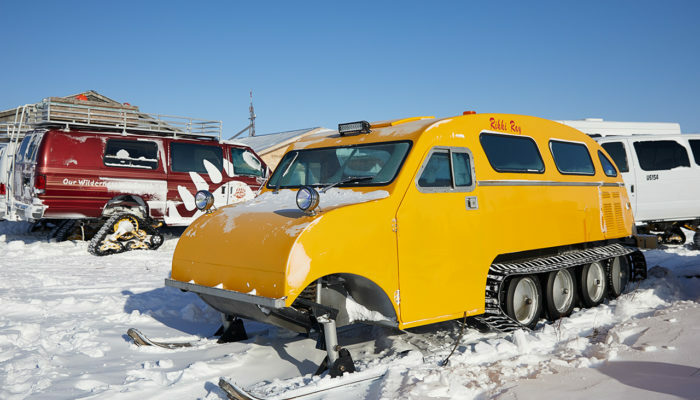 This required a slow and very bumpy 4 hours nocturnal ride through the frozen tundra on the special rebuilt vans. 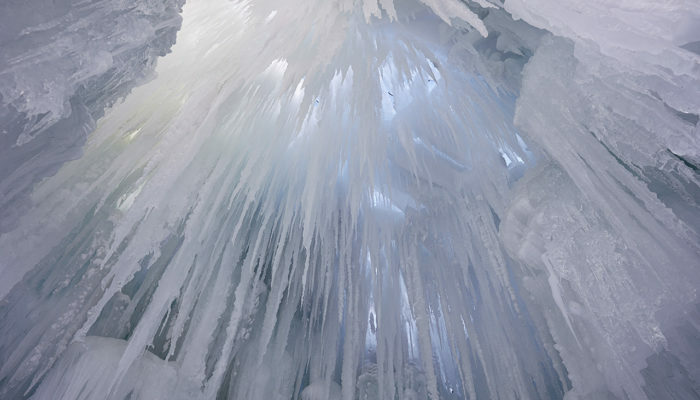 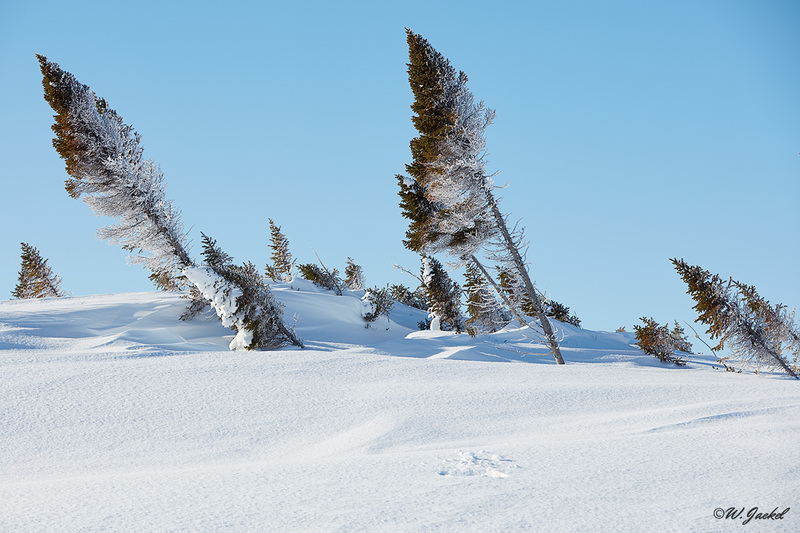 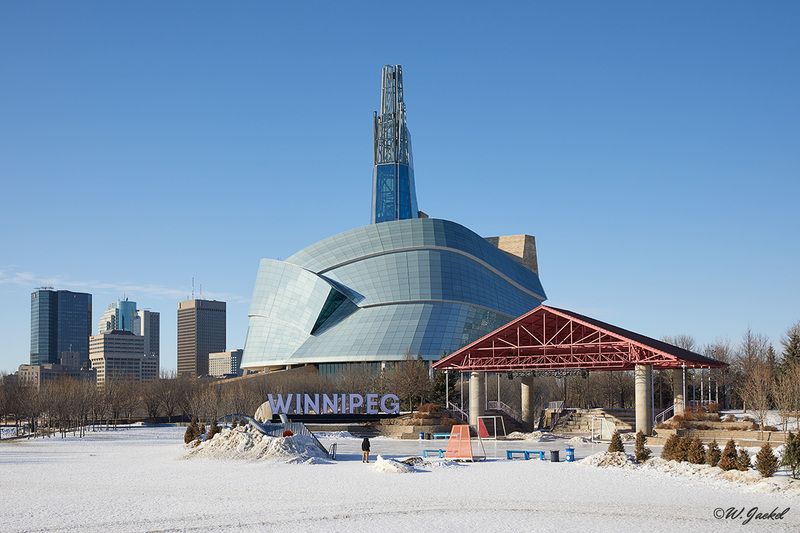 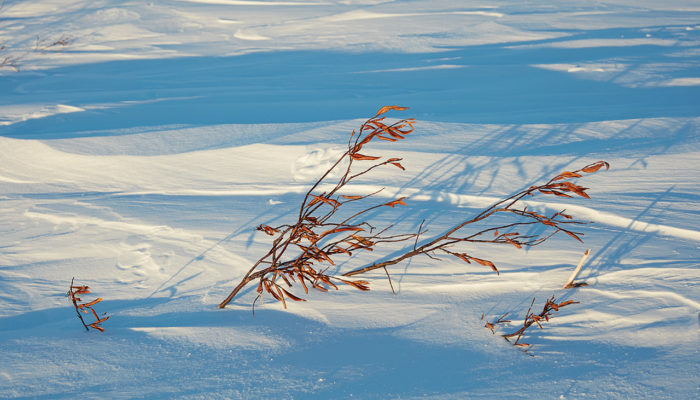 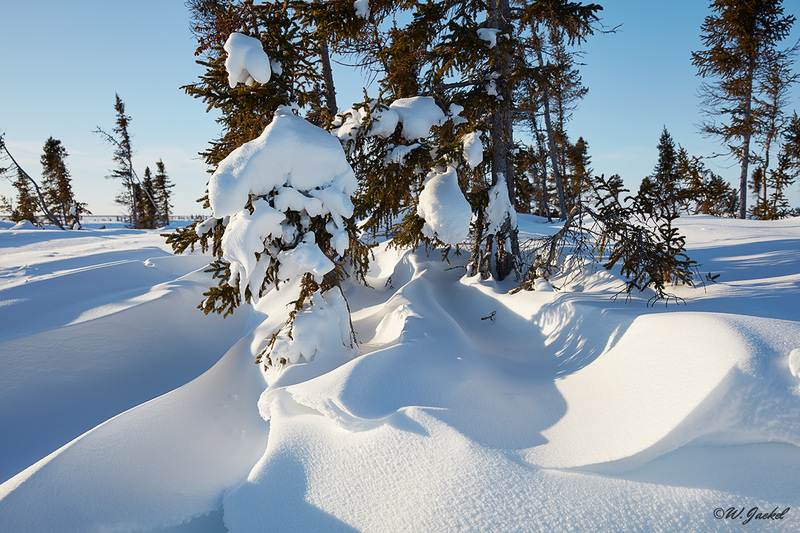 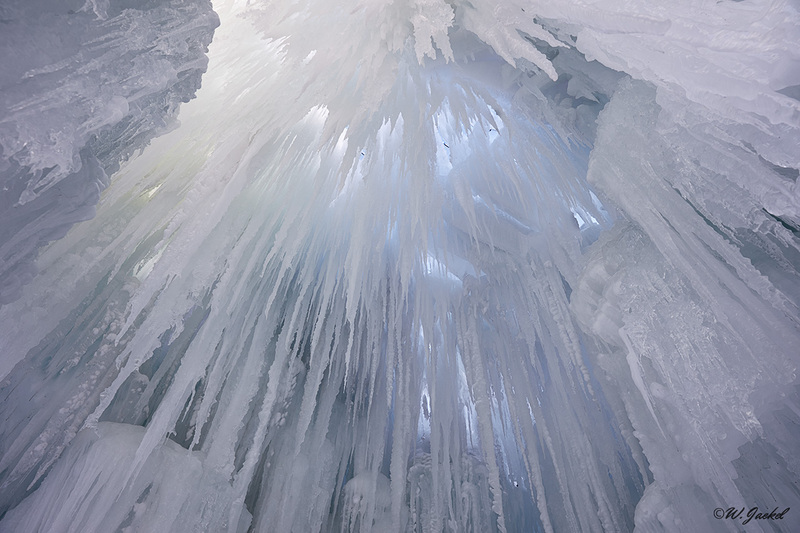 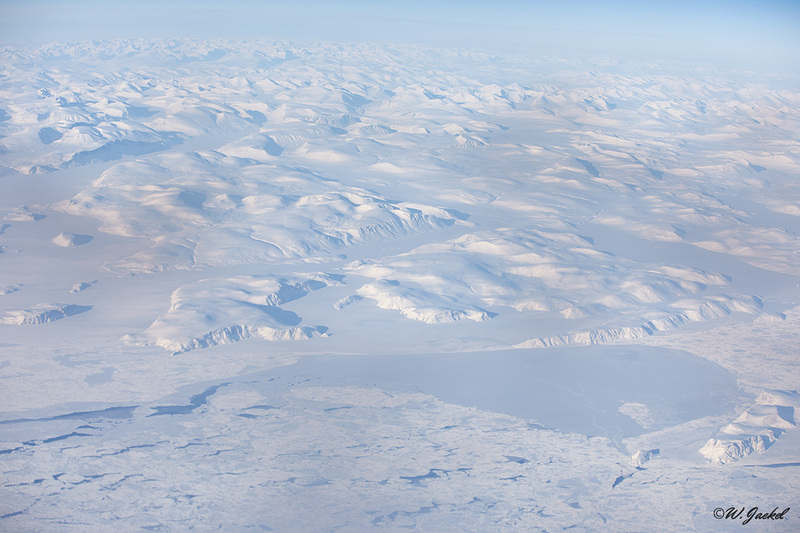 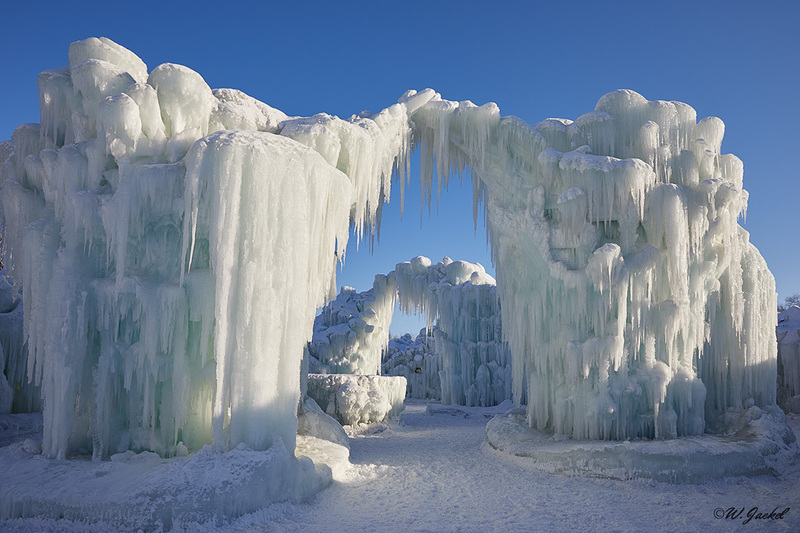 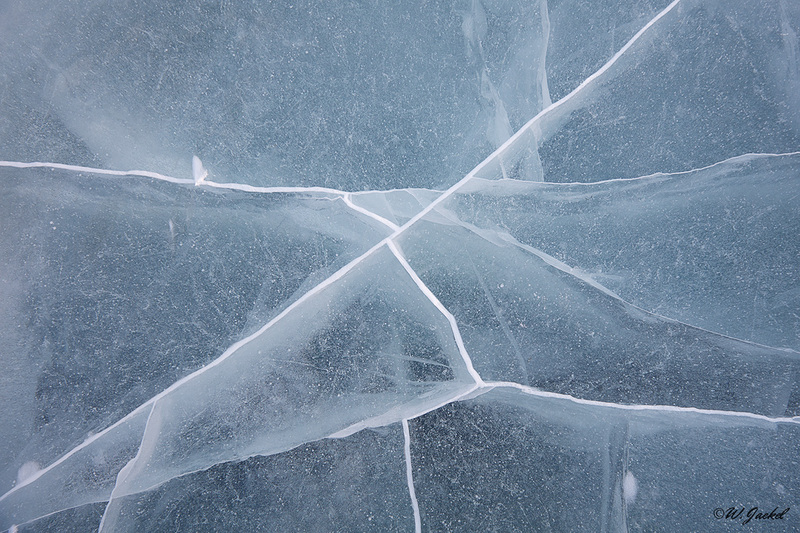 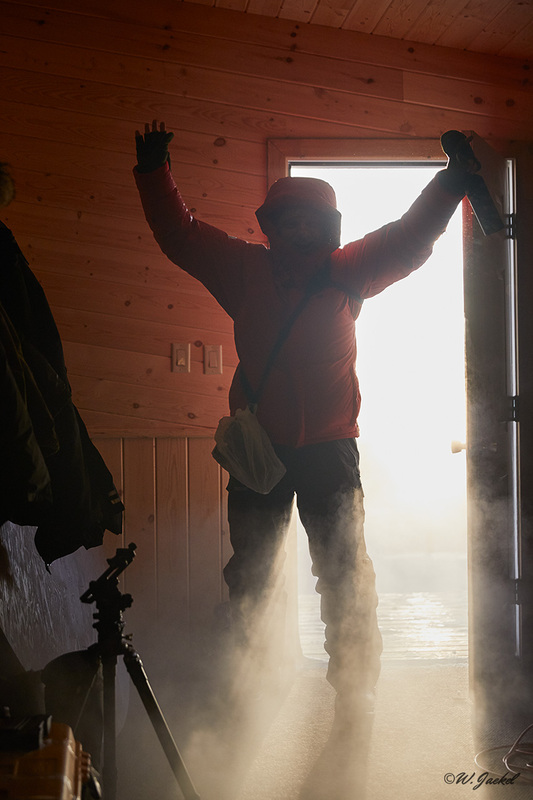 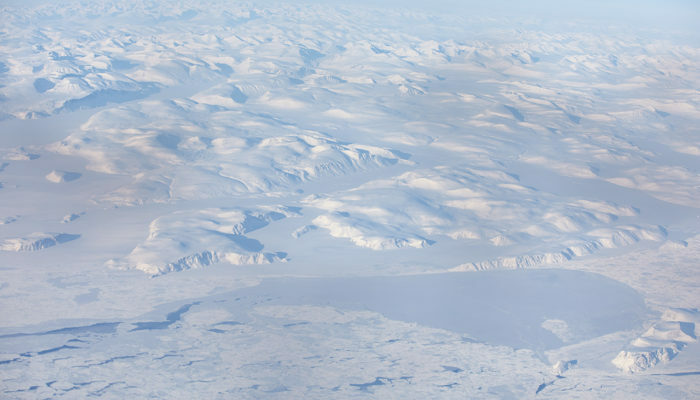 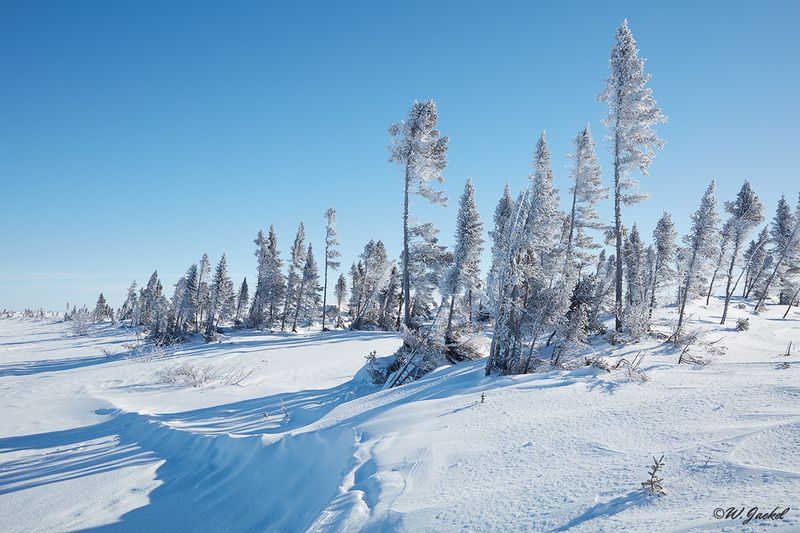 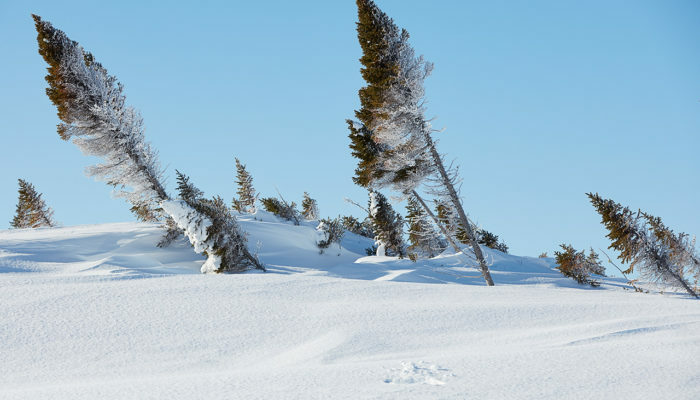 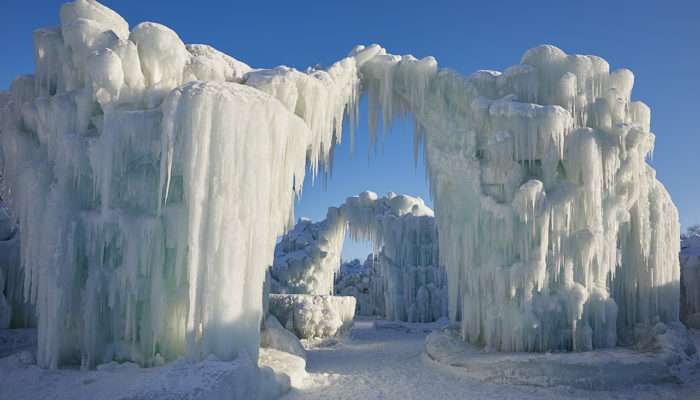 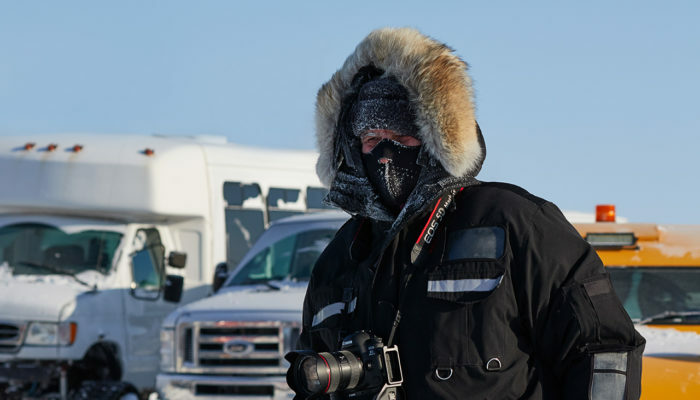 The extreme conditions with wind chill around – 56 degrees Celsius (!! ) 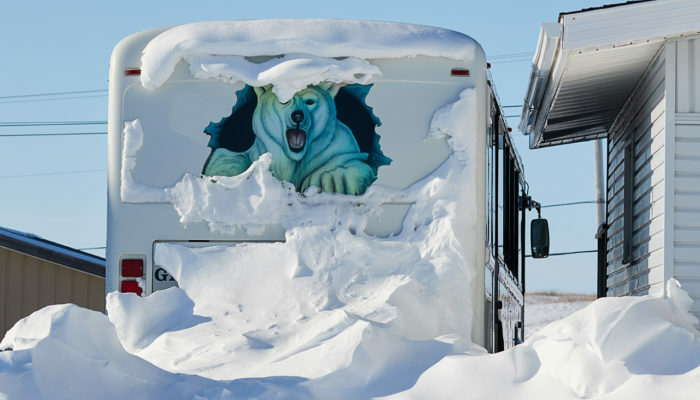 had delayed the arrival of the vans and the transfer for several hours. 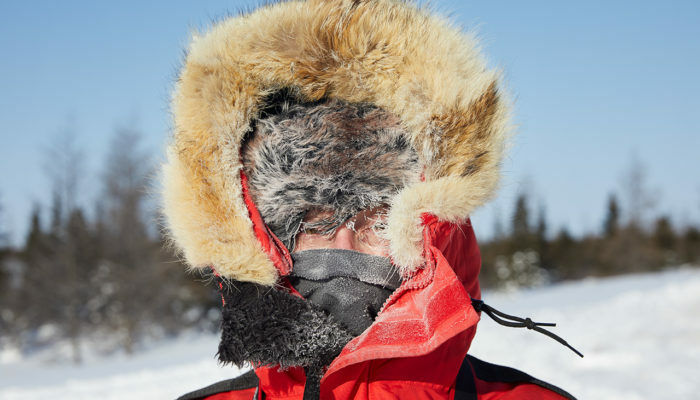 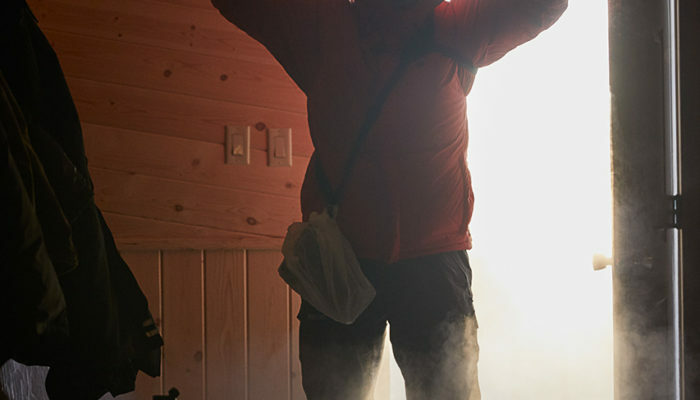 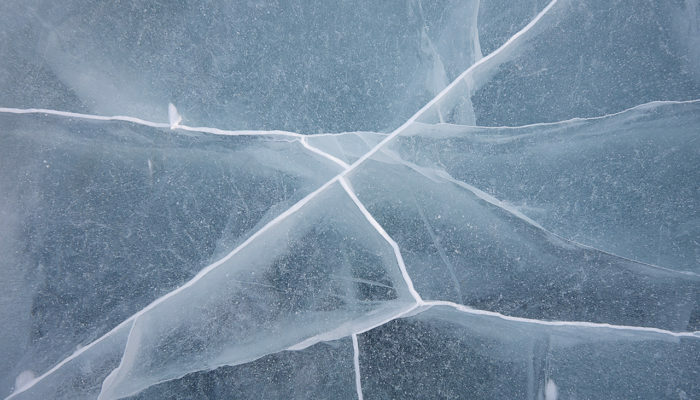 The climate conditions by far have been the hardest I ever had experienced and easily could lead to serious frost bites and even kill a person within minutes without our special clothings and preparations. 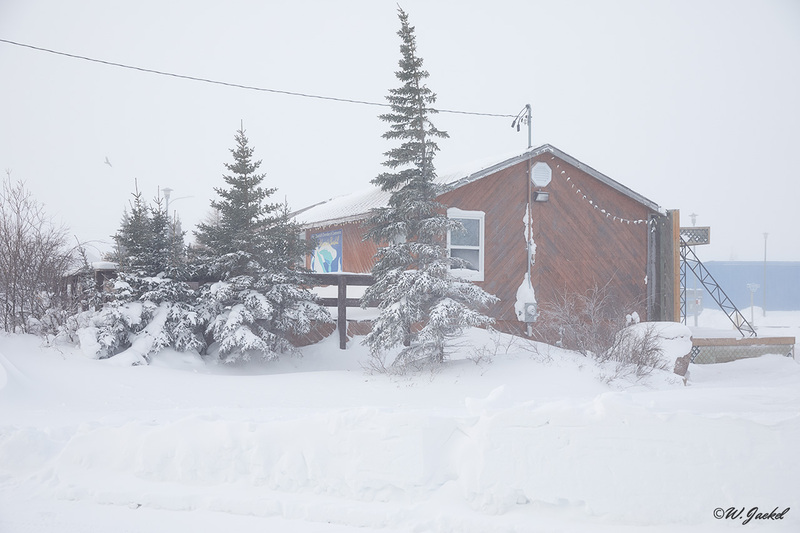 So we were glad finally having got to the so-called Wat’chee Lodge after midnight. 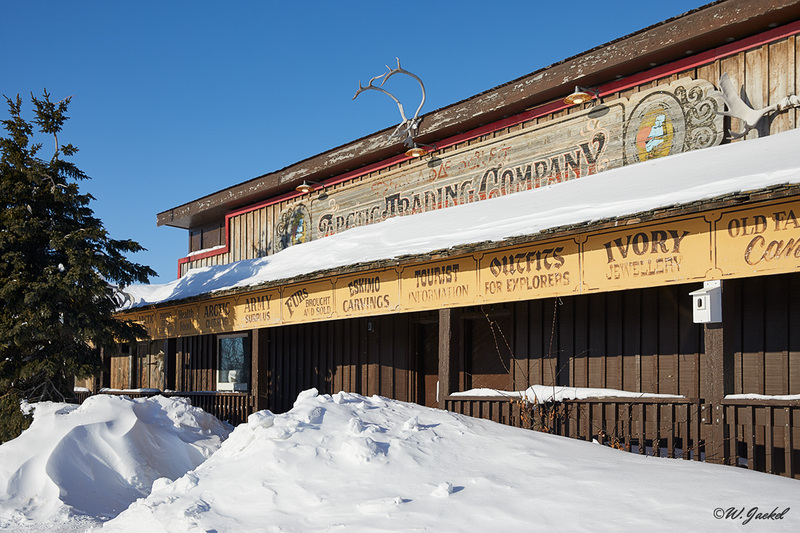 The place only opens 6 weeks a year with no running water and limited space. 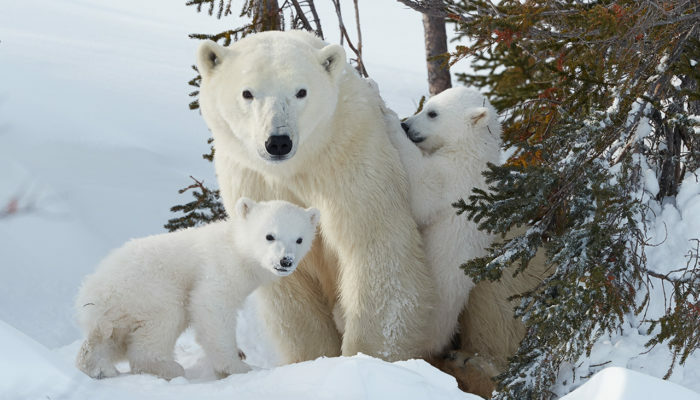 The location is highly sought after among leading wildlife photographers around the world causing a waiting list for 2 or 3 years. 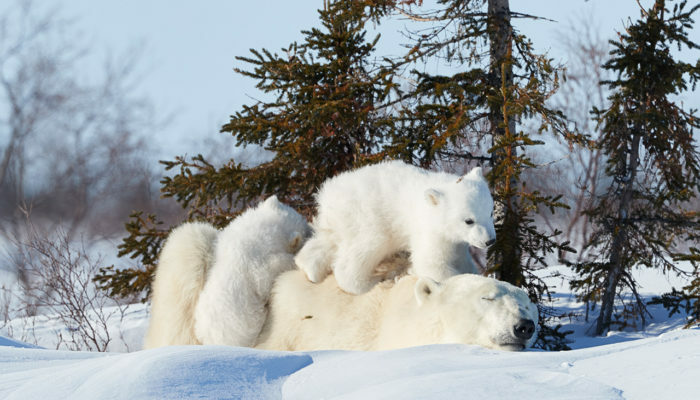 Even after that period you must be lucky to get a space. 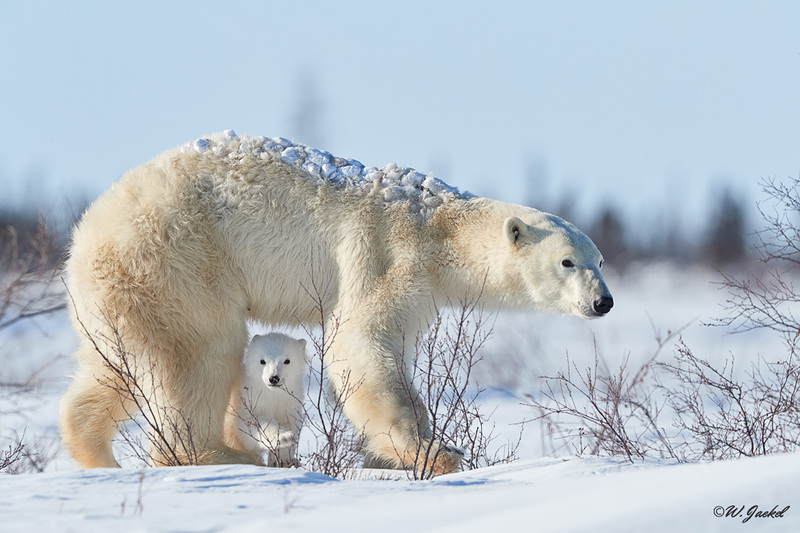 It’s been a jealously guarded secret of pro wildlife photographers for years. 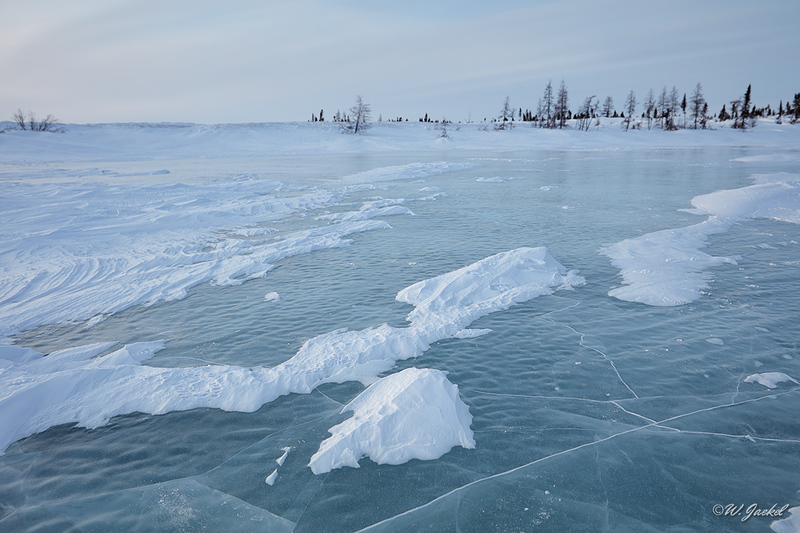 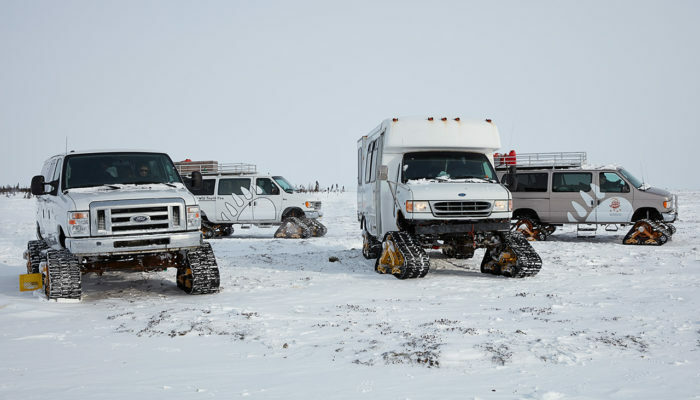 During our 9 days stay we went out on the vans trying to find polar bear mothers with cubs, also waiting for the reports of the experienced trackers who were looking for bears or traces and dens, too. 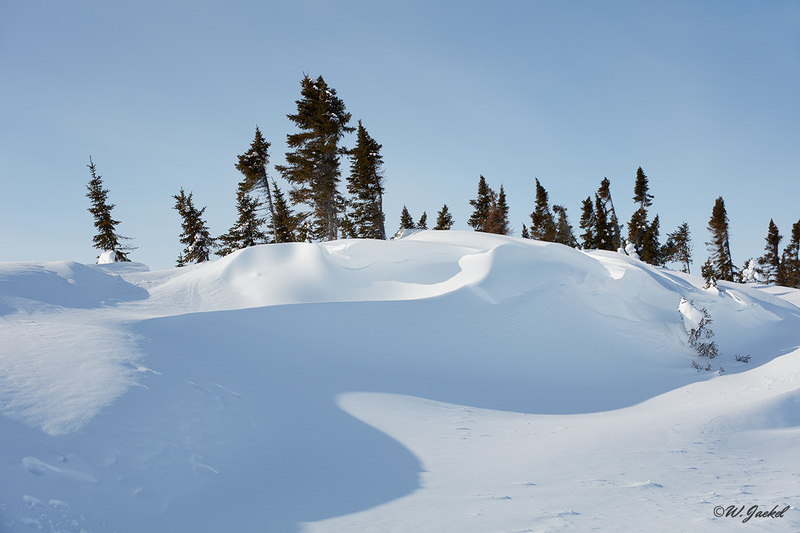 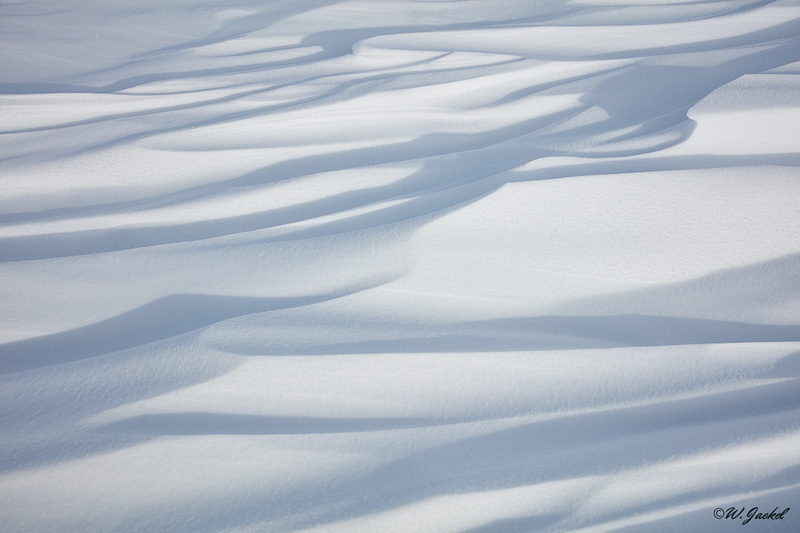 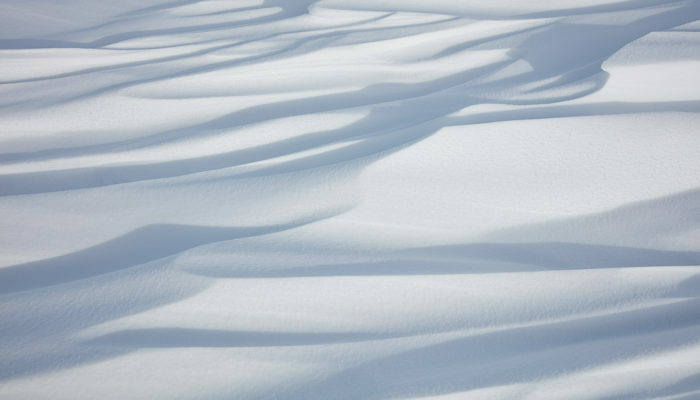 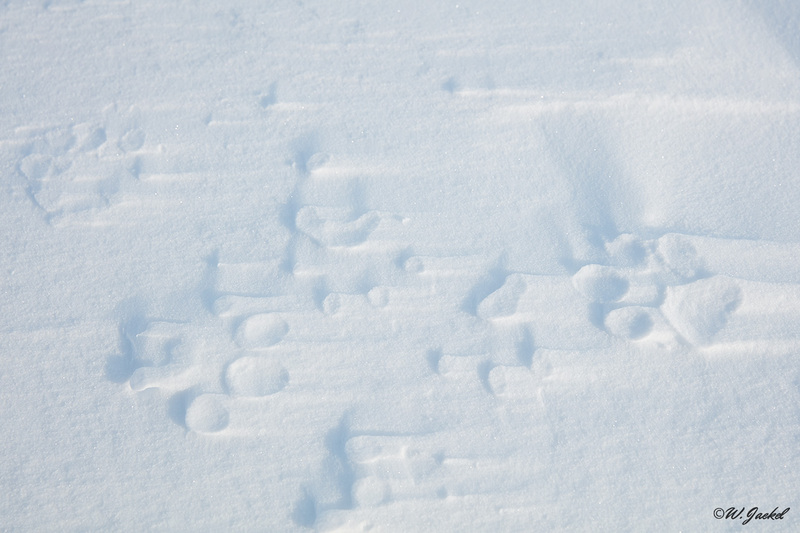 They can cover a larger area with their fast snowmobiles. 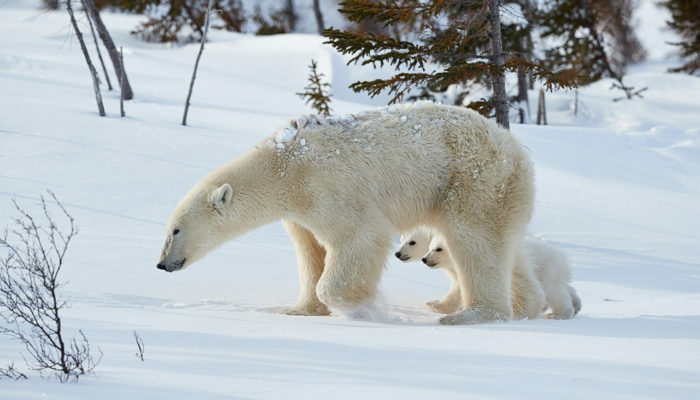 We had excellent encounters on 2 days which is a normal rate. 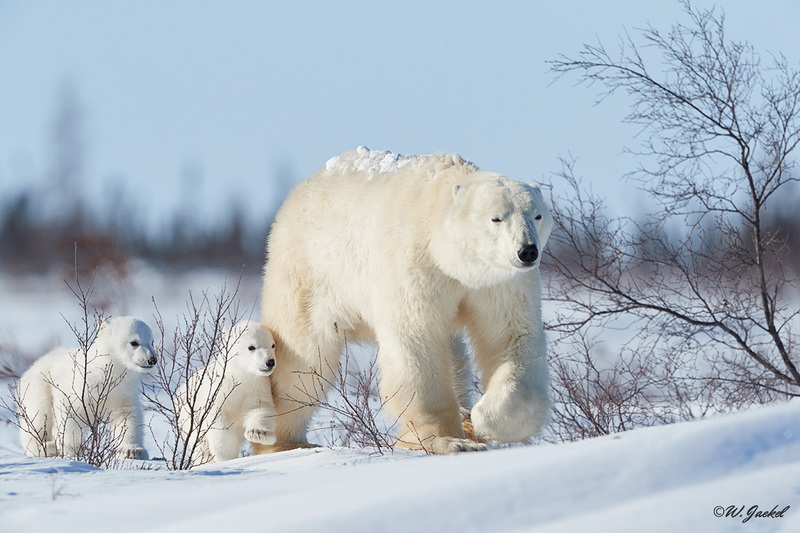 Of course, you cannot expect to see polar bear families on every day. 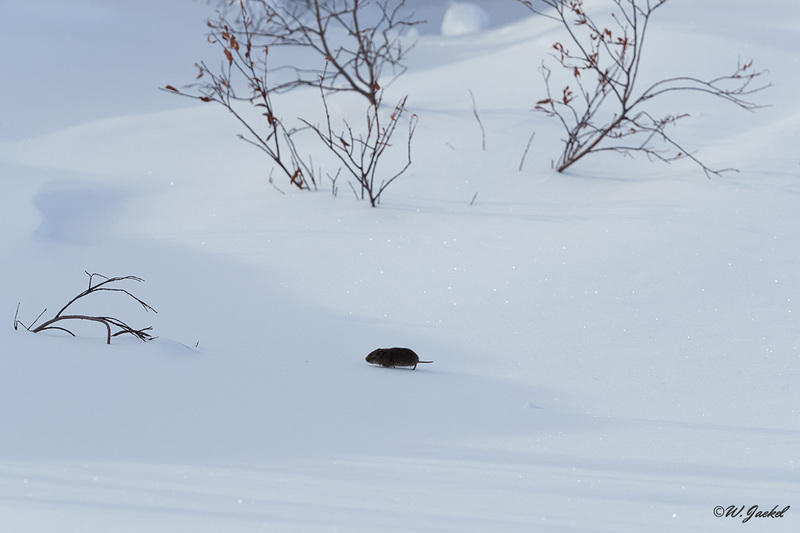 It’s not that easy the more as the animals can be hidden in a depression or rest in the vegetation or there are simply no bears around. 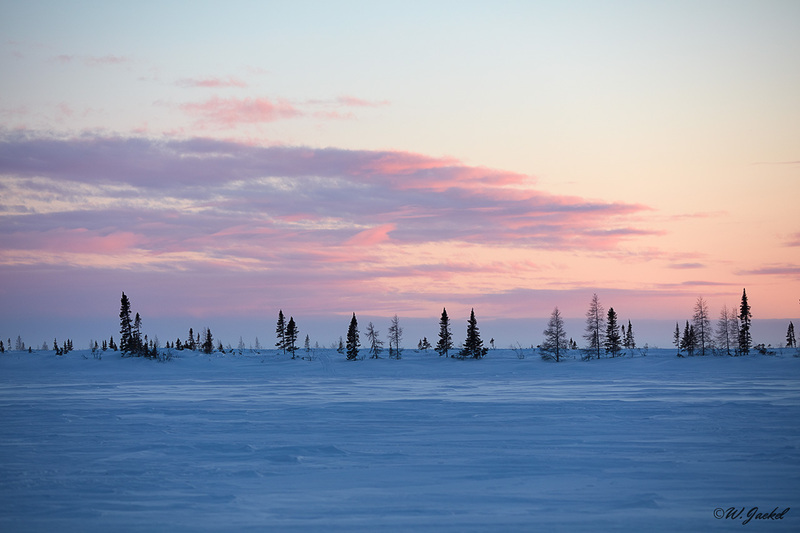 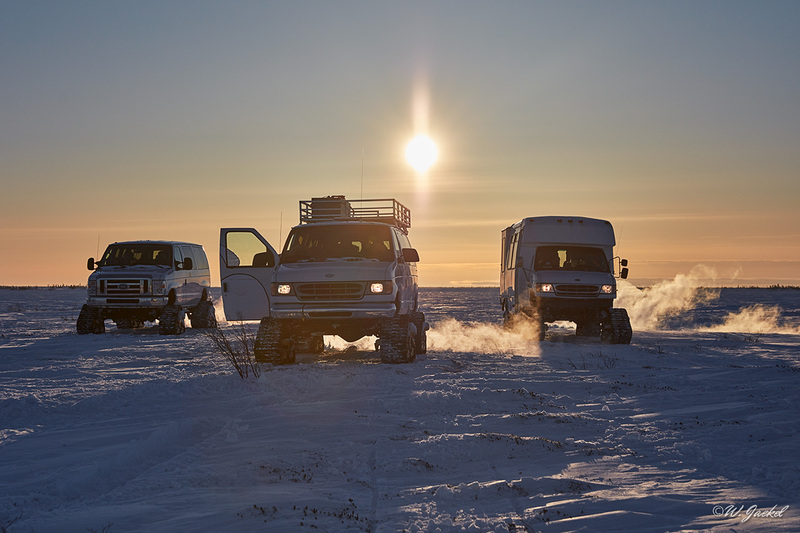 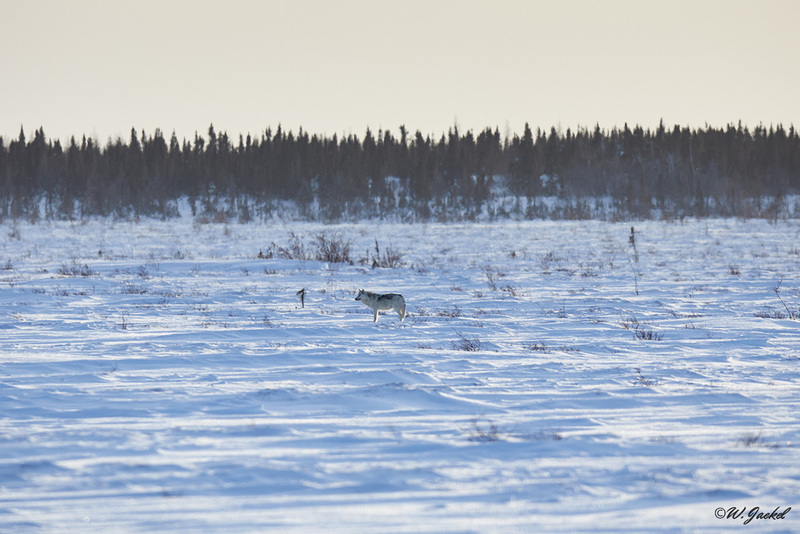 Sometimes a long time of waiting or driving in the extended tundra is necessary. 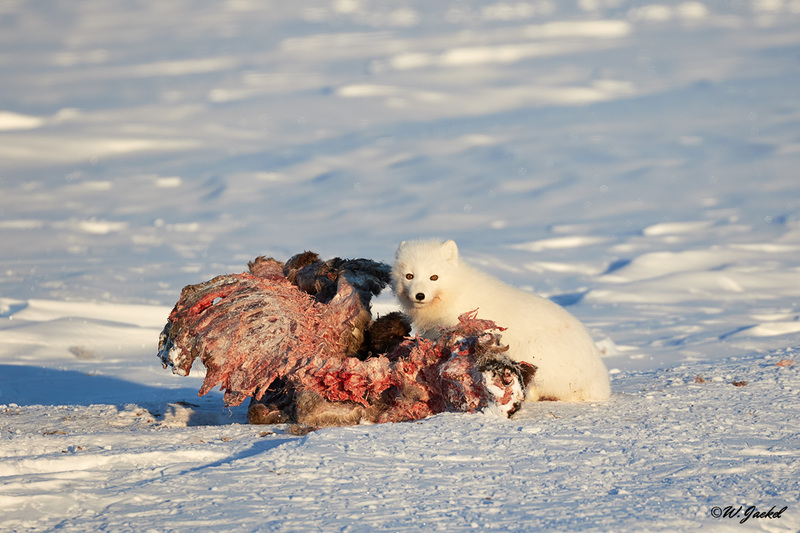 That said, the amazing encounters were well worth the wait and search. 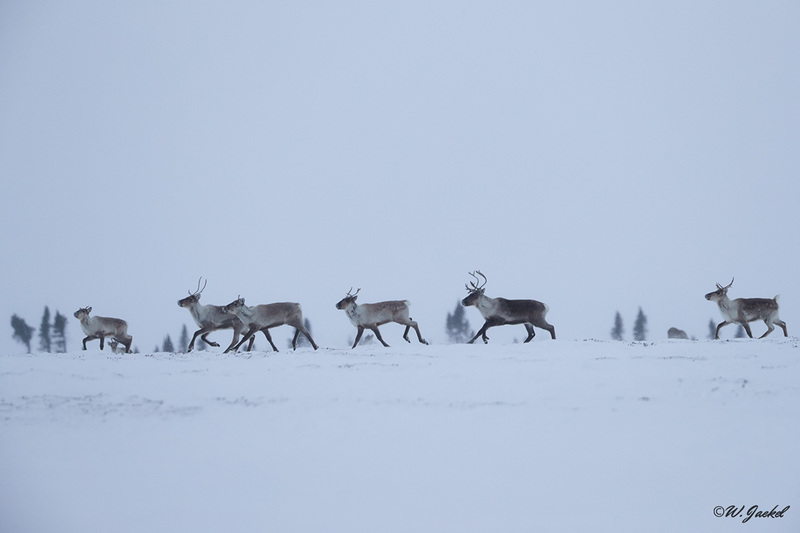 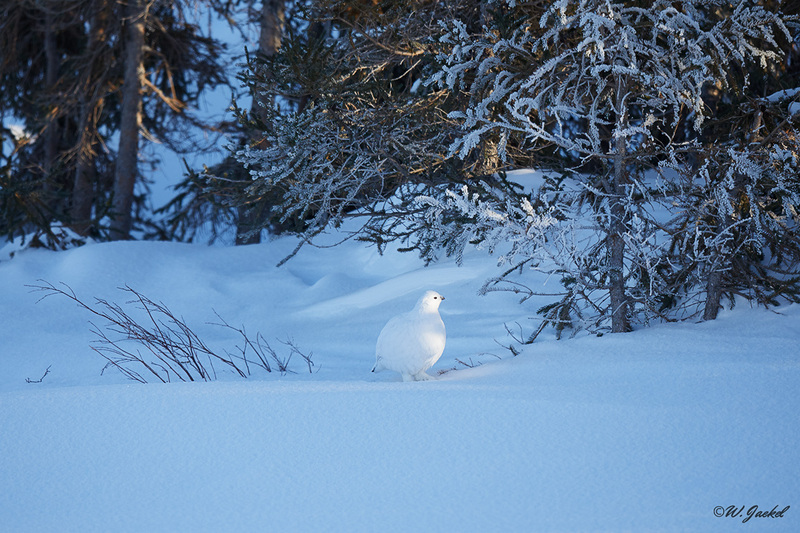 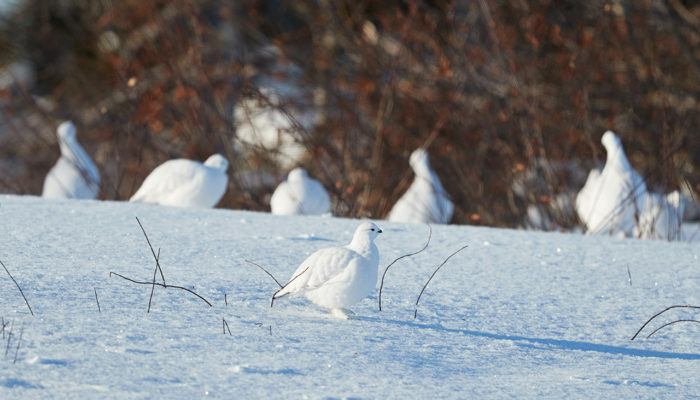 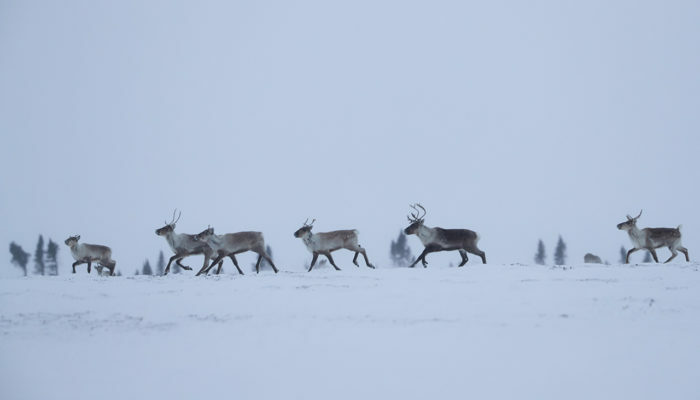 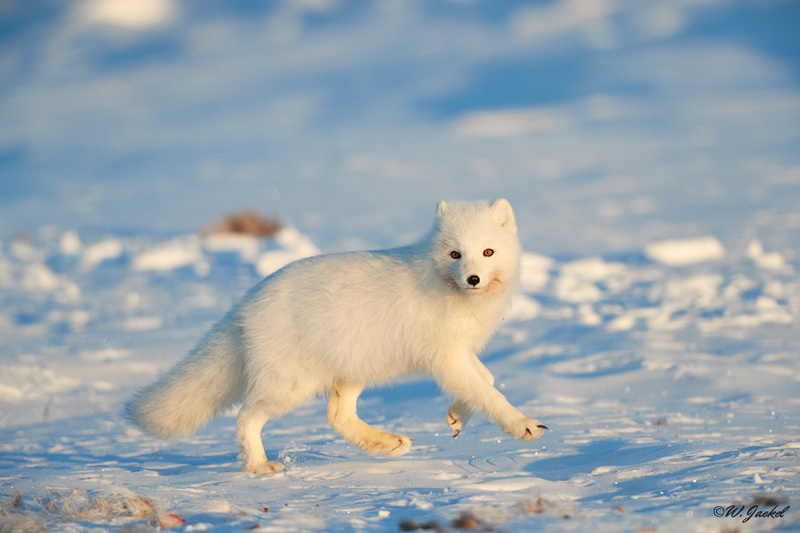 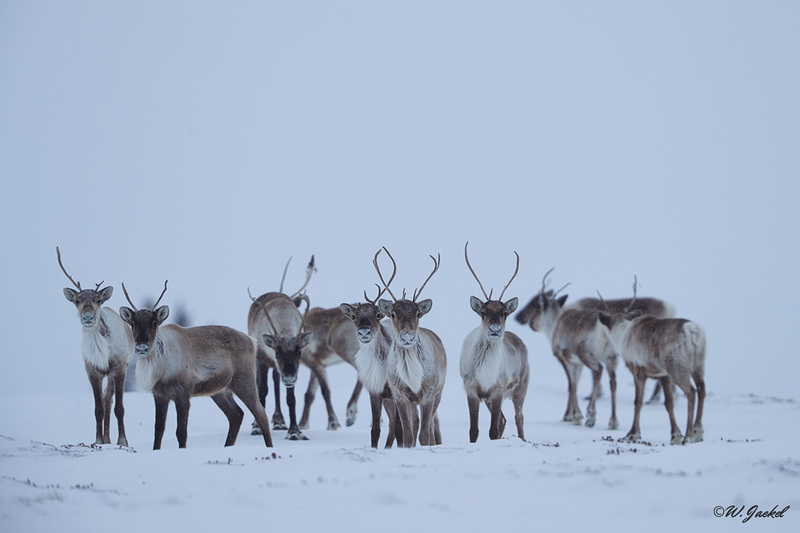 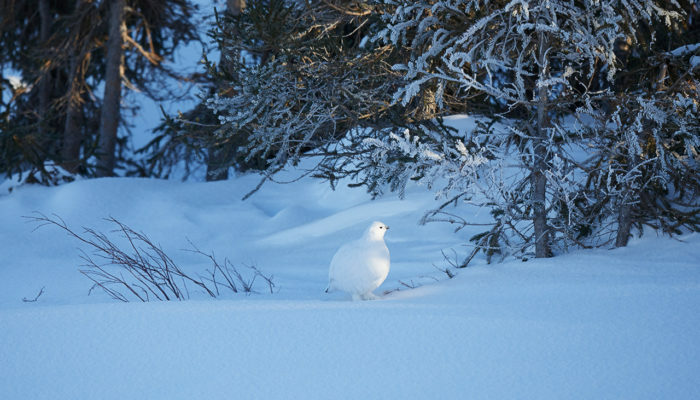 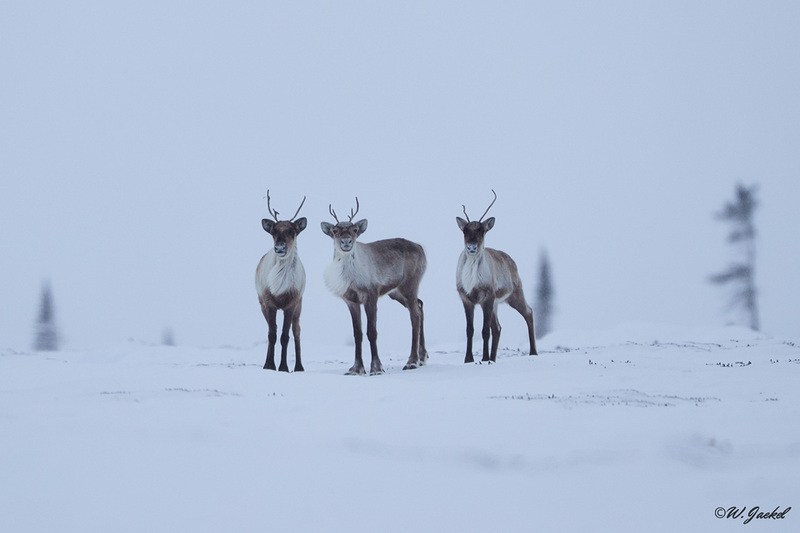 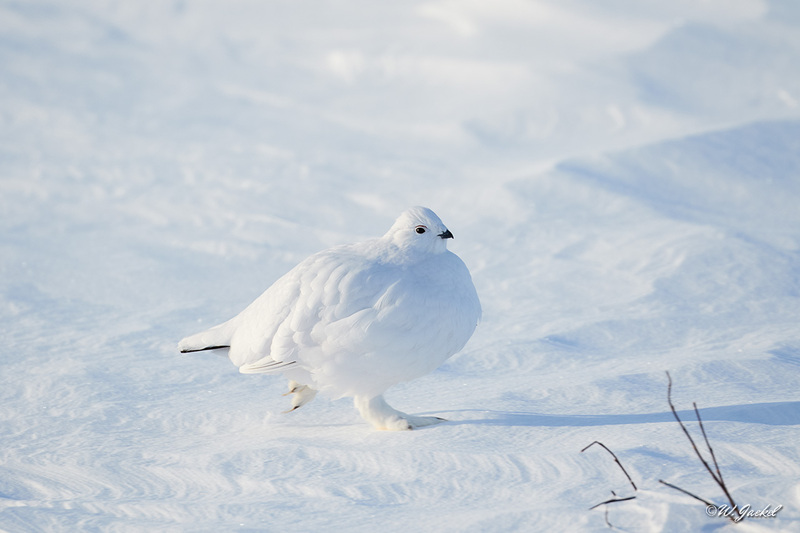 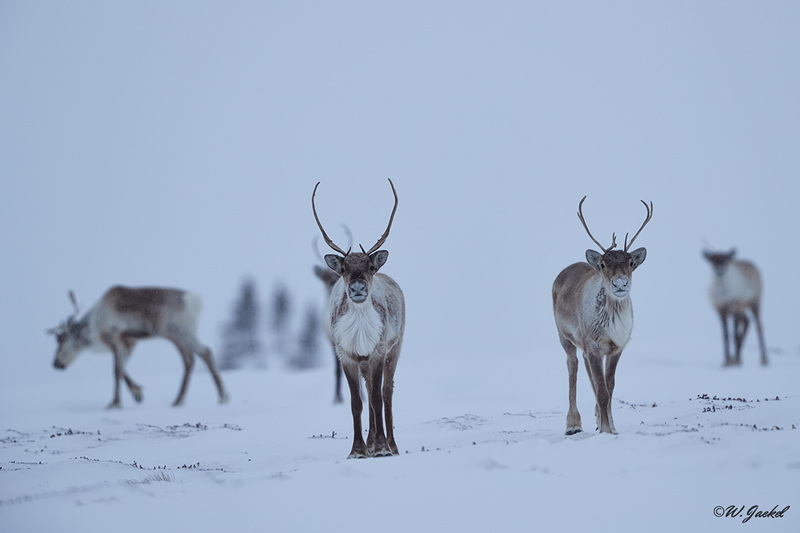 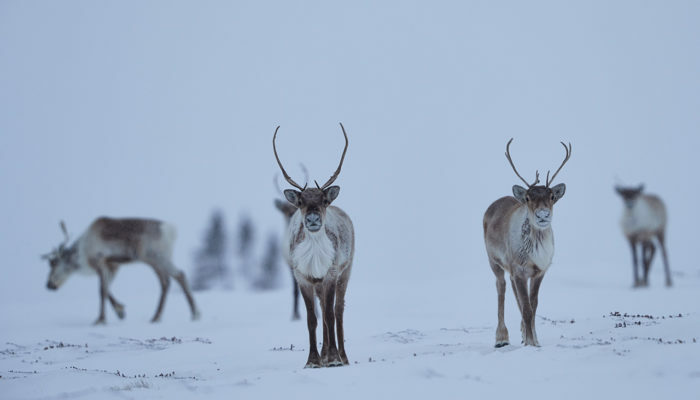 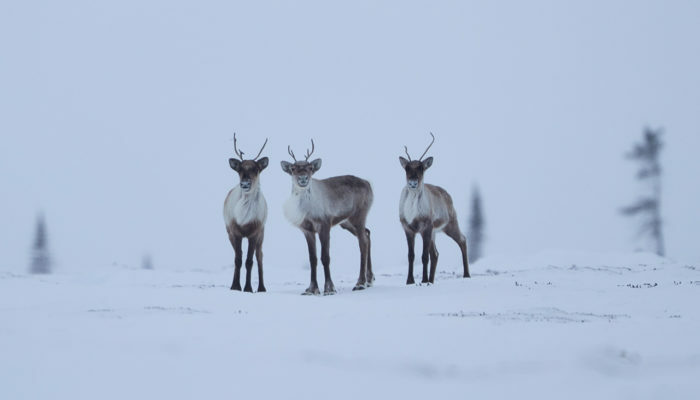 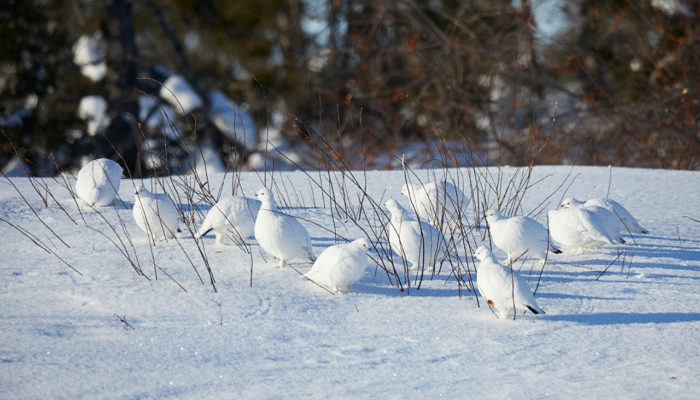 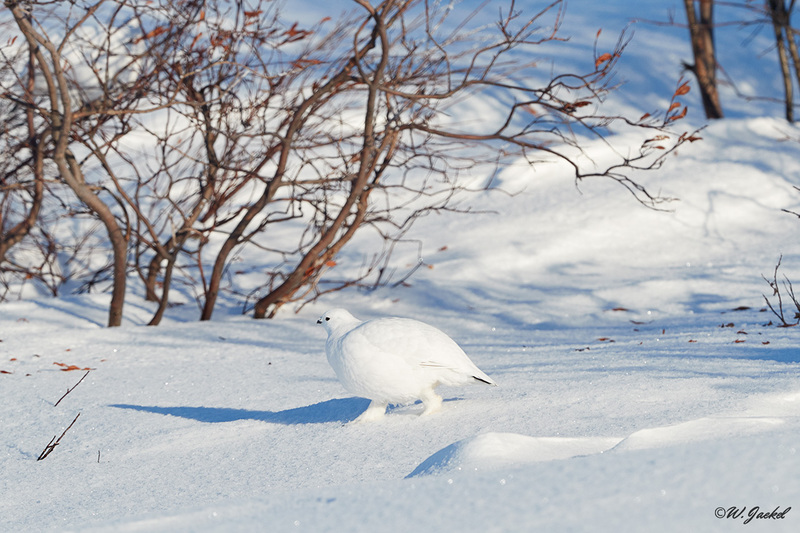 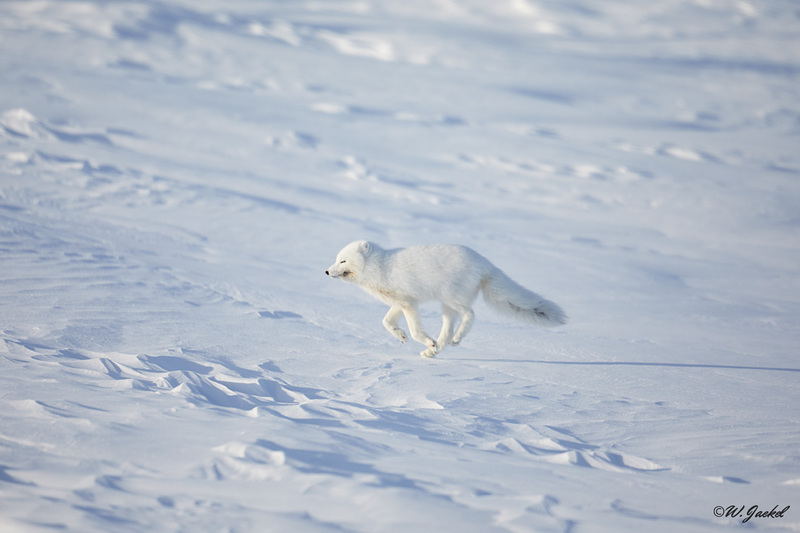 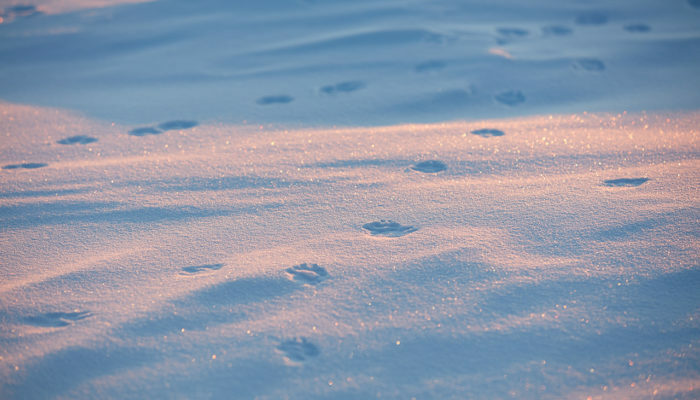 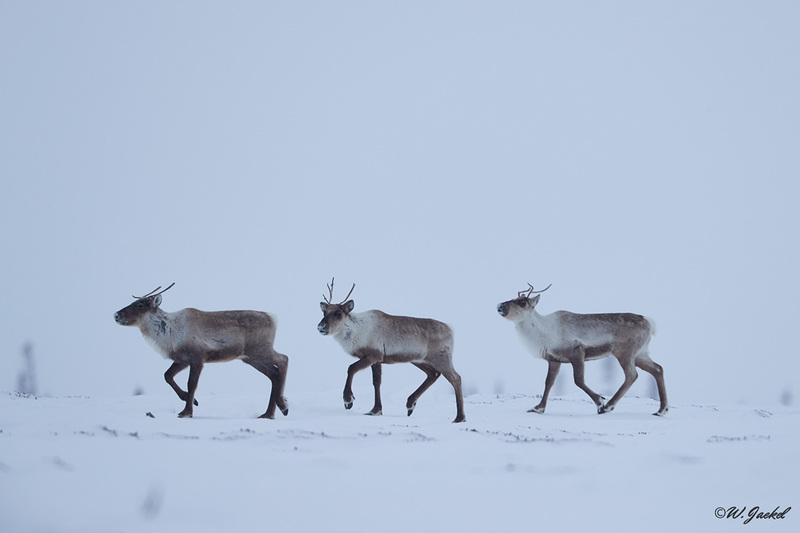 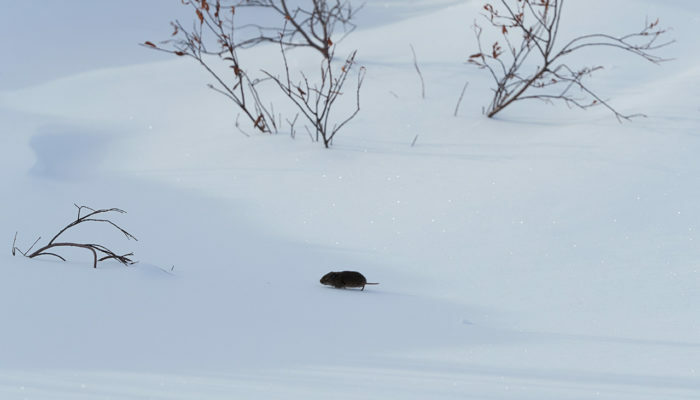 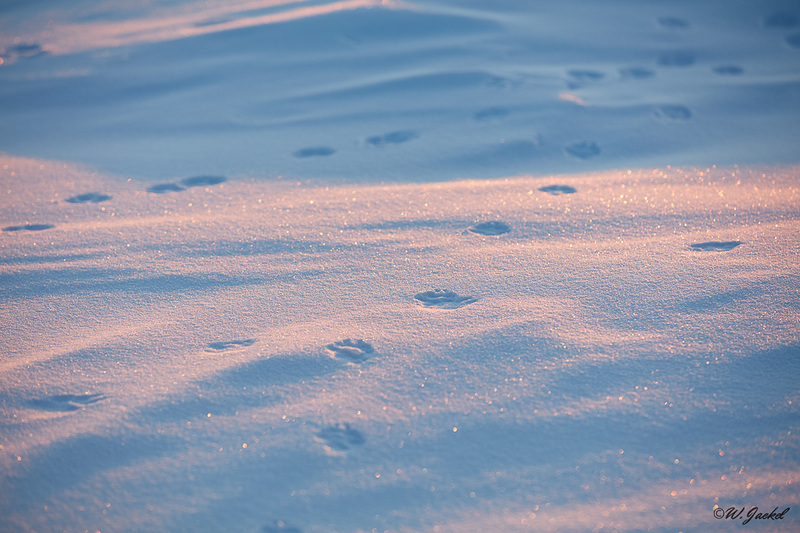 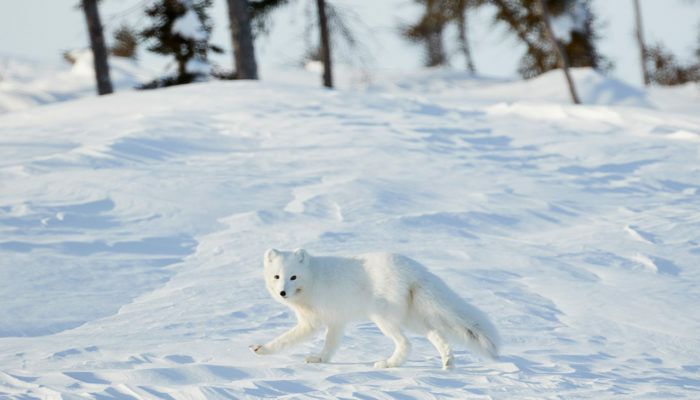 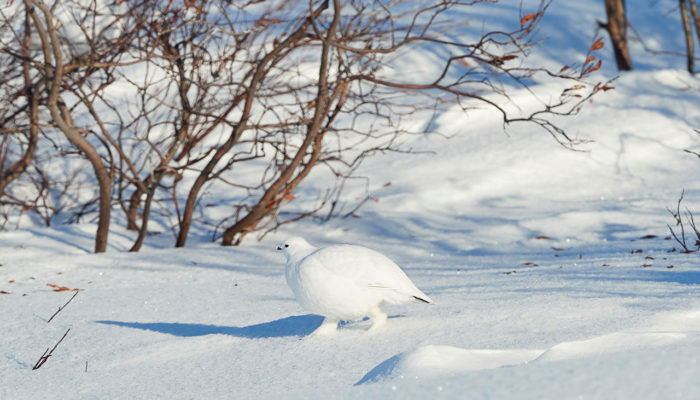 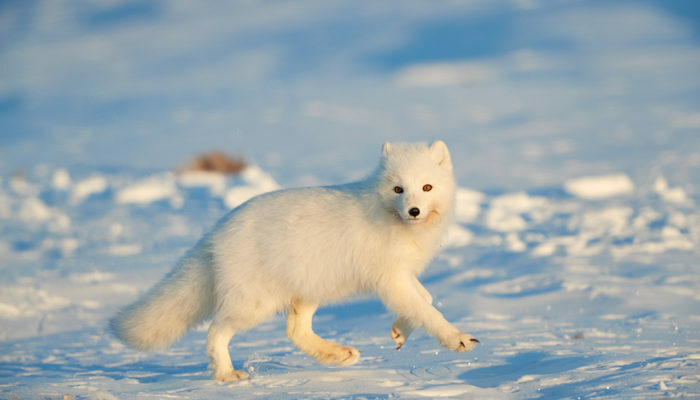 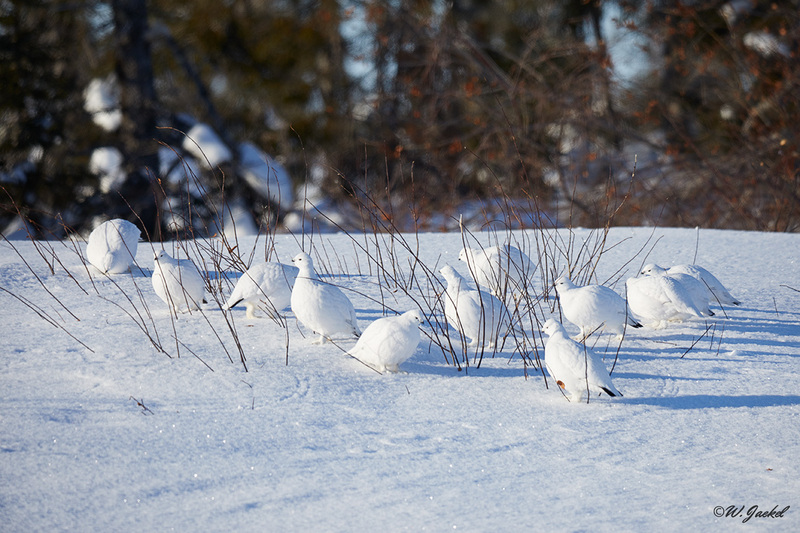 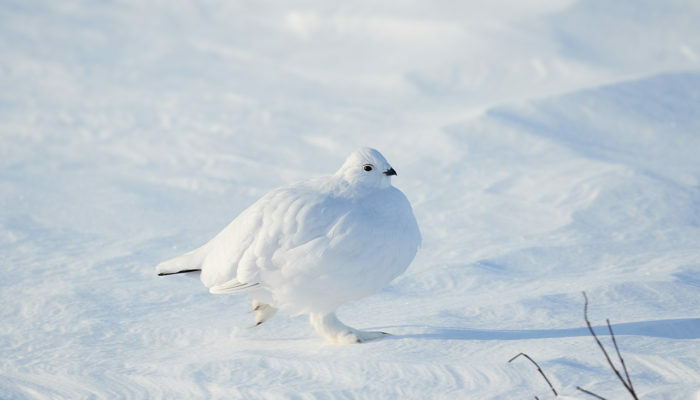 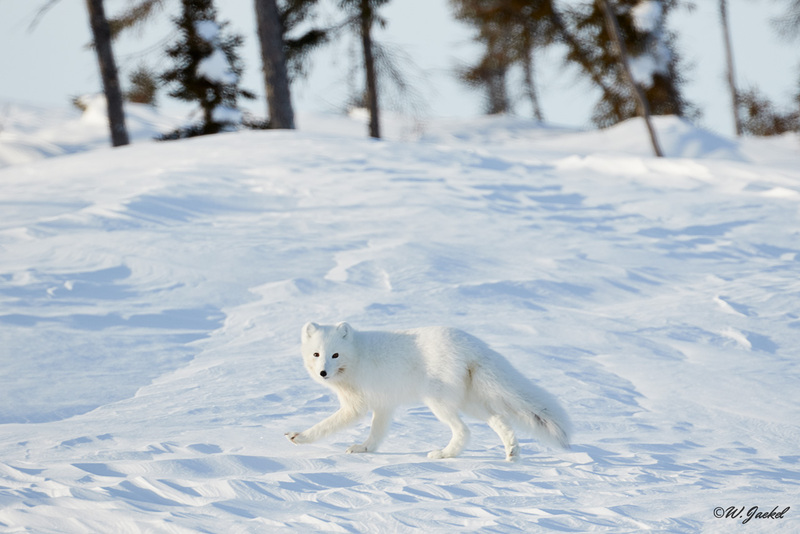 Moreover, we could also photograph caribous, ptarmigans, arctic foxes and wolves while driving around or waiting. 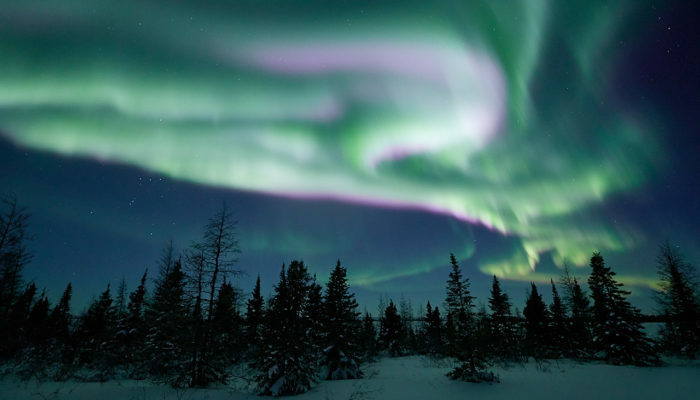 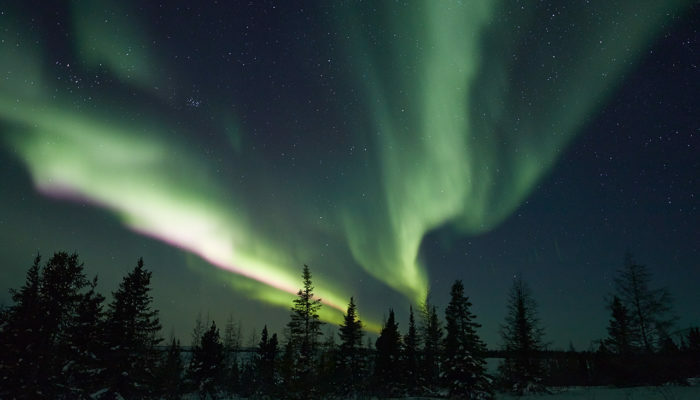 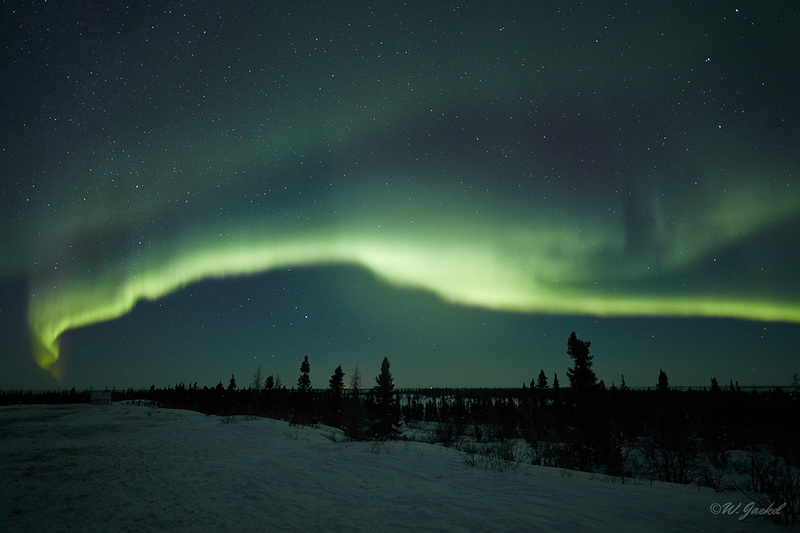 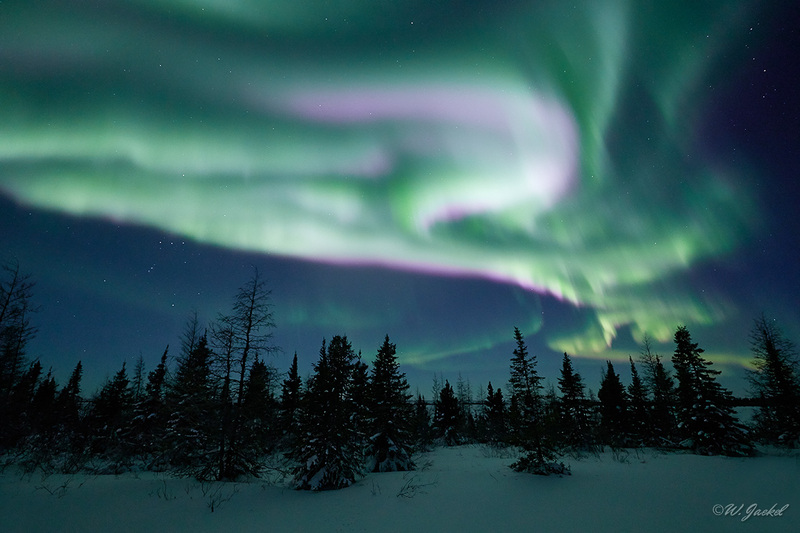 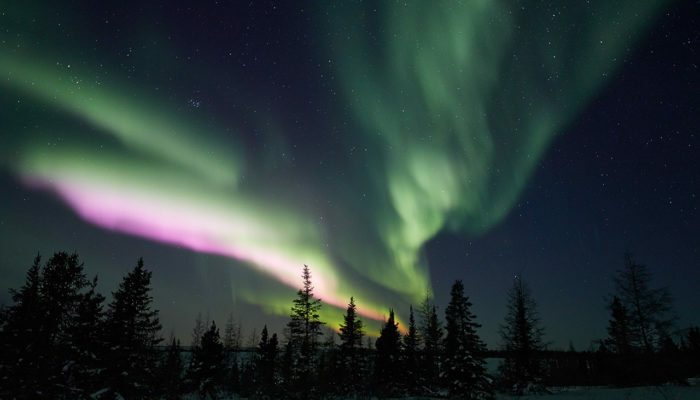 As a bonus of the expedition, we could watch and capture the beautiful aurora displays in the clear nights. 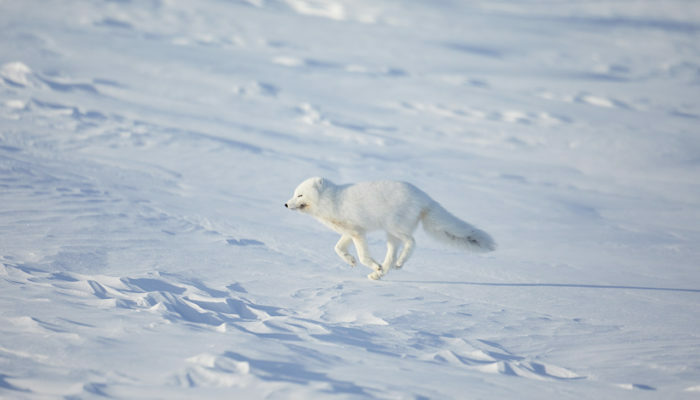 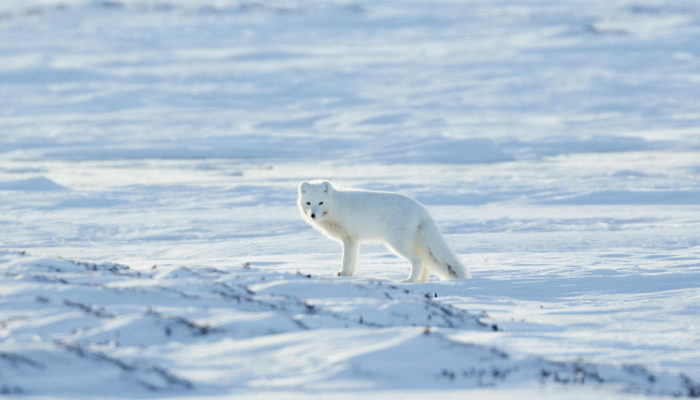 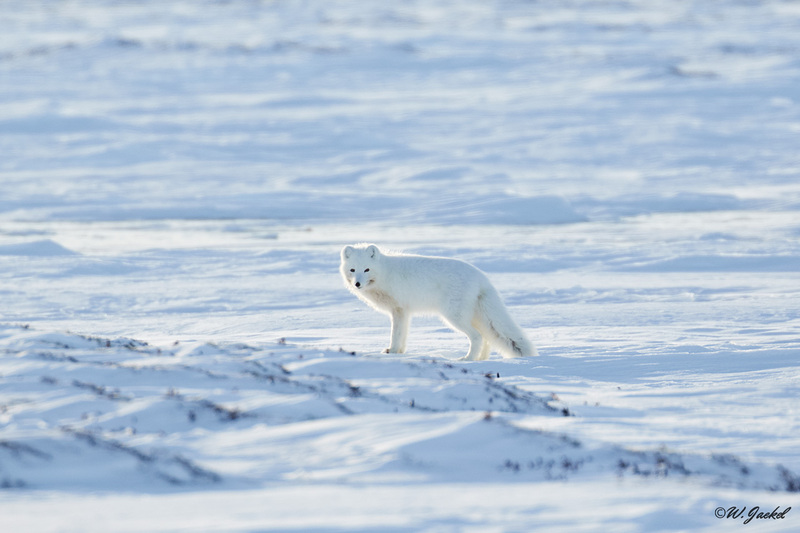 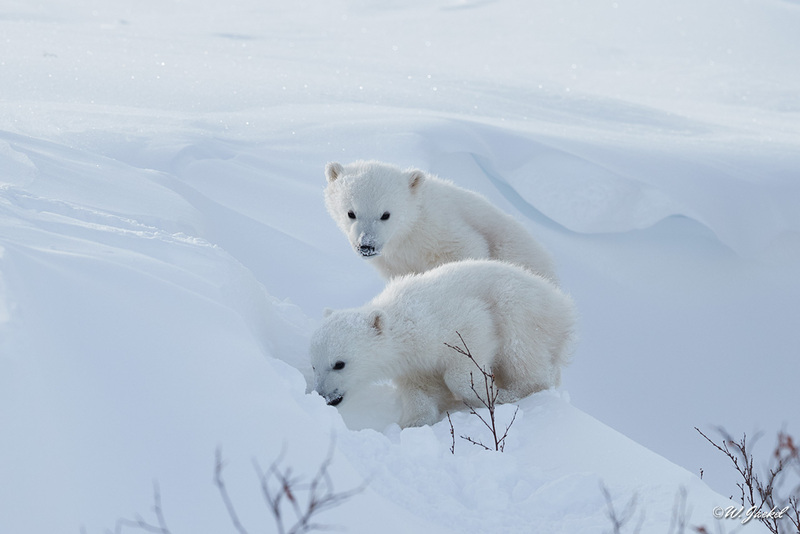 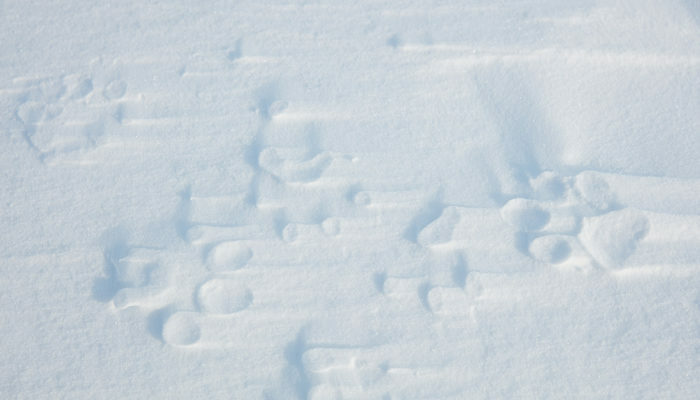 For photographing the polar bears a critical distance of around 100m needs to be observed. 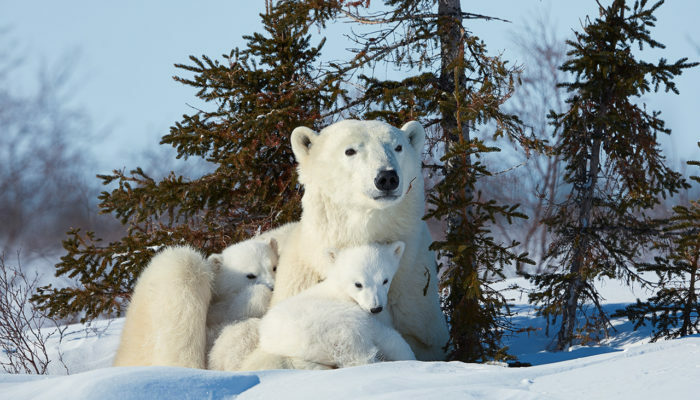 Therefore the Canon 600mm/f4 IS II (optionally with 1,4 Ext III) or the 200-400mm/f4 + 1,4Ext on the 1DxII, 5D MkIV, 5DsR were used for the most time. 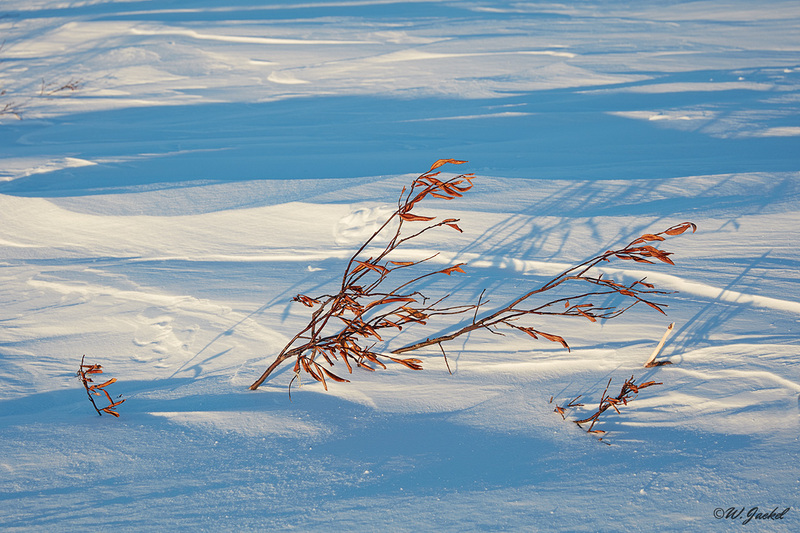 Of course, a stable tripod was needed. 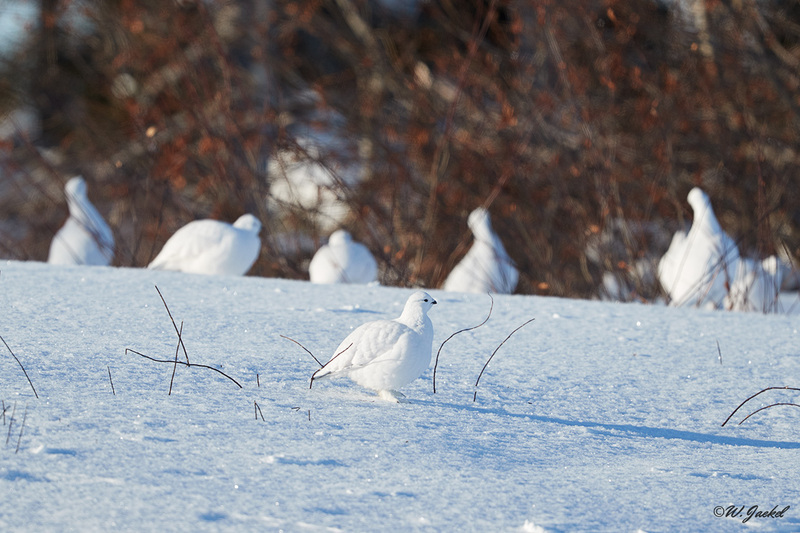 For handheld shots of other wildlife I sometimes took the 100-400mm/f 4.5-5.6 II on the 7D II, too. 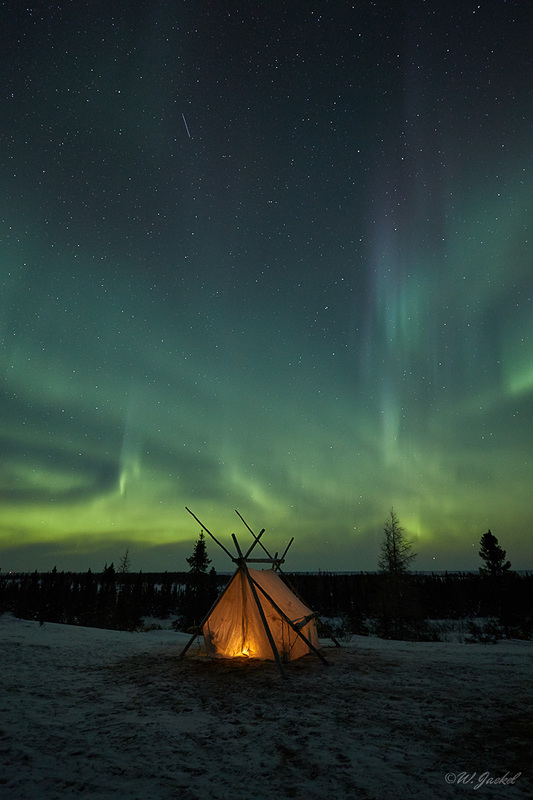 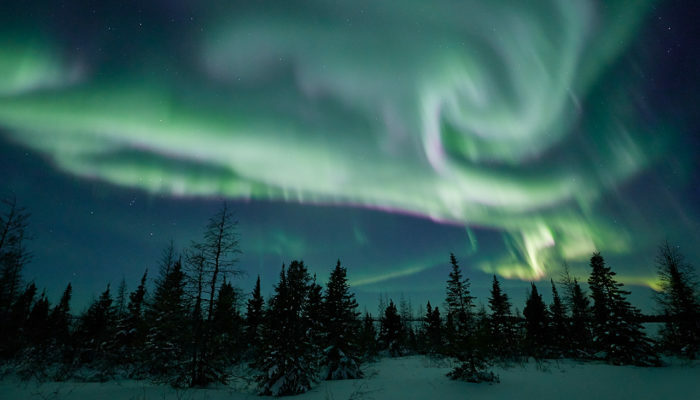 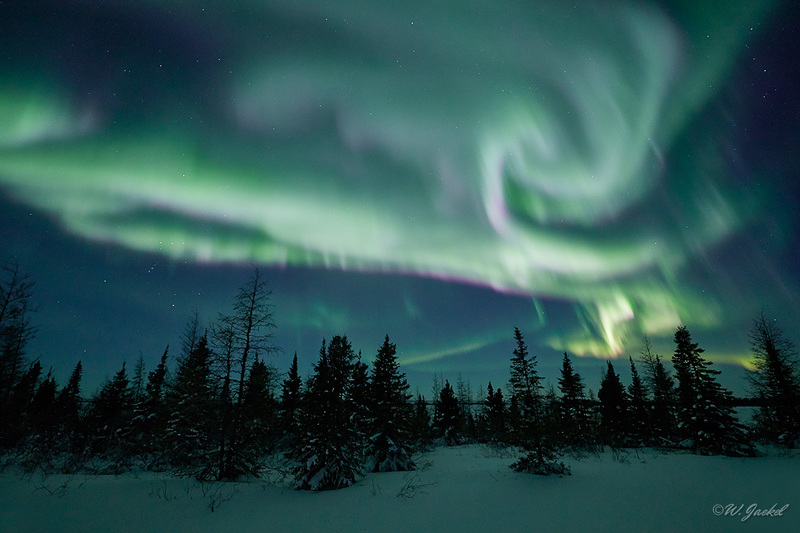 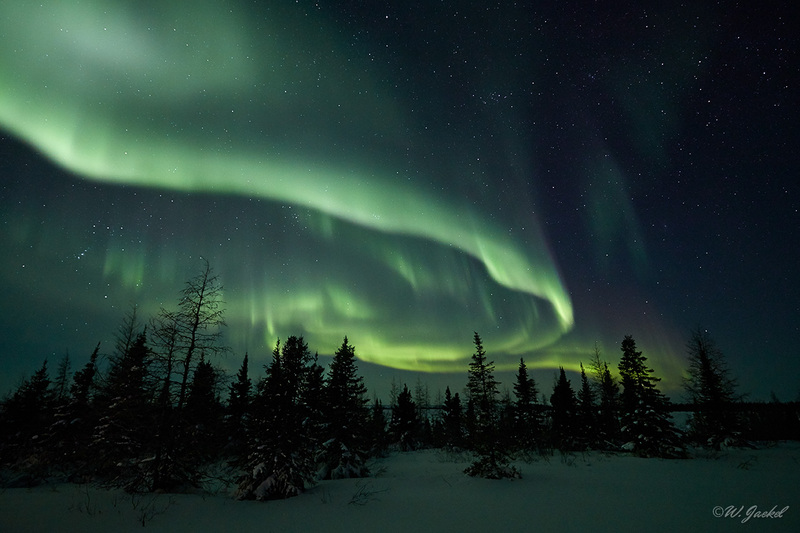 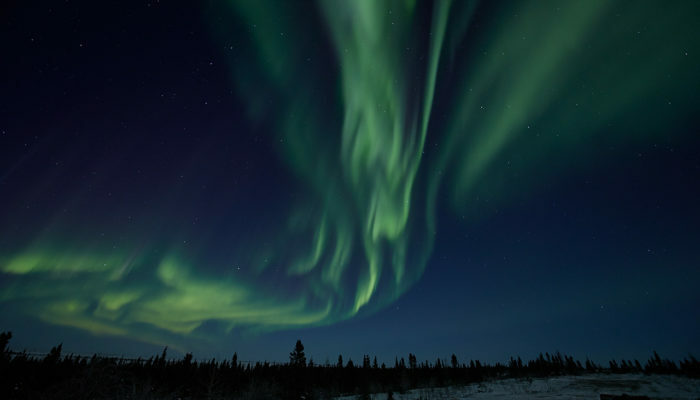 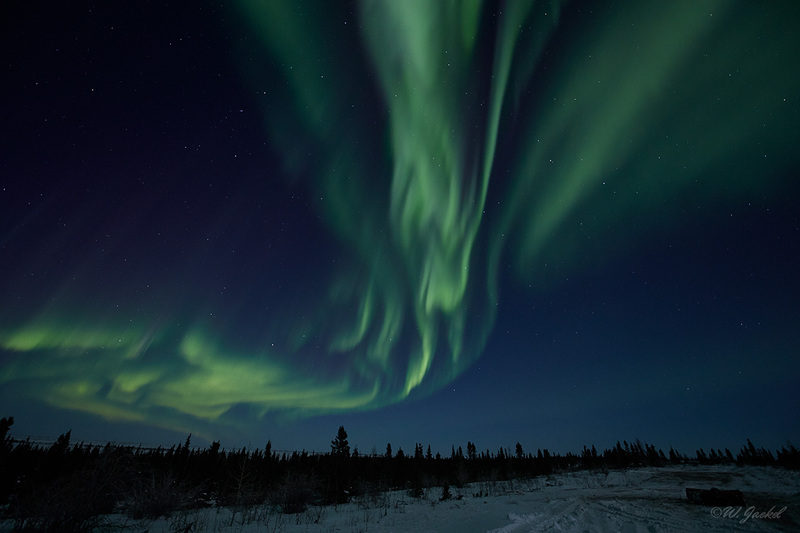 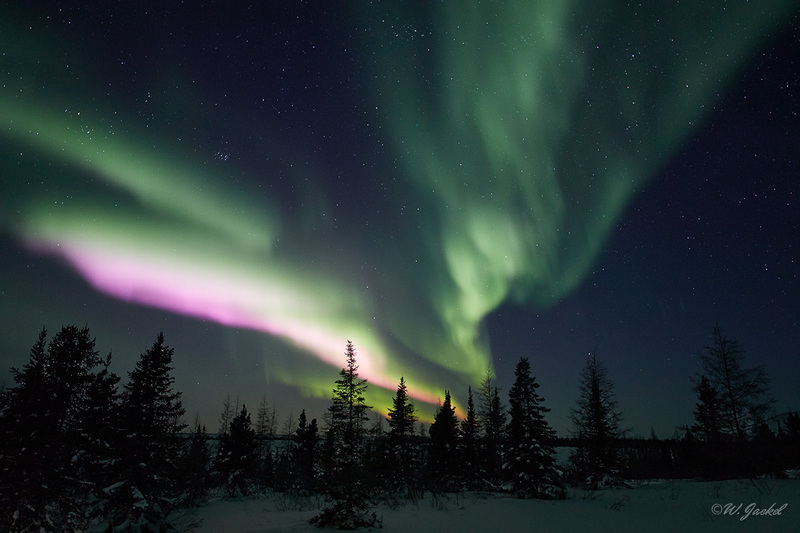 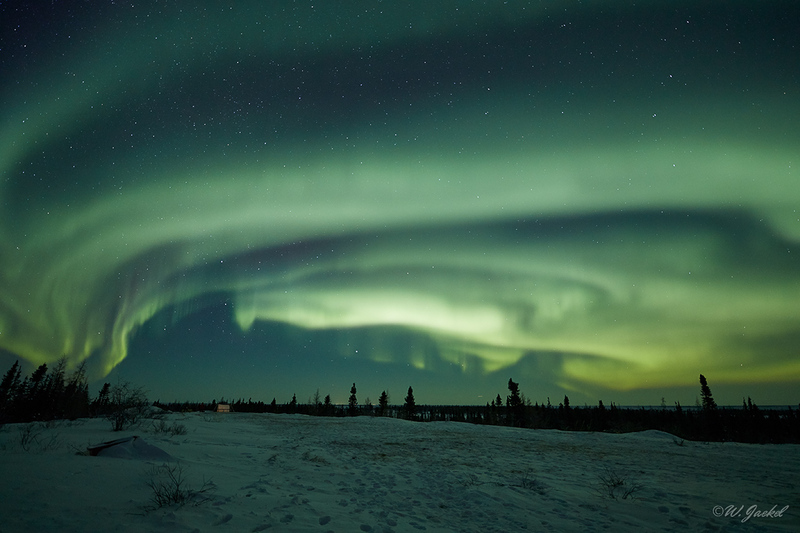 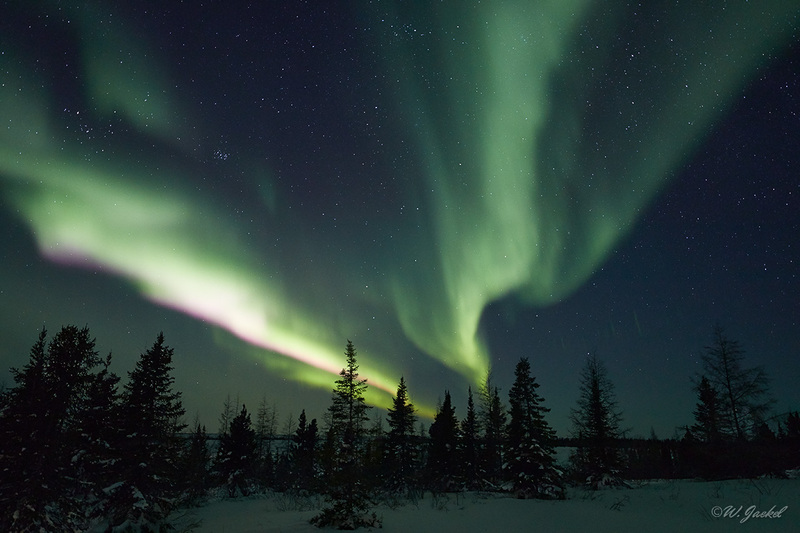 The photographs of the Northern lights were captured with the Nikon AFS 14-24 mm /f 2.8 G ED with Novoflex Adapter mounted on the 1DxII. 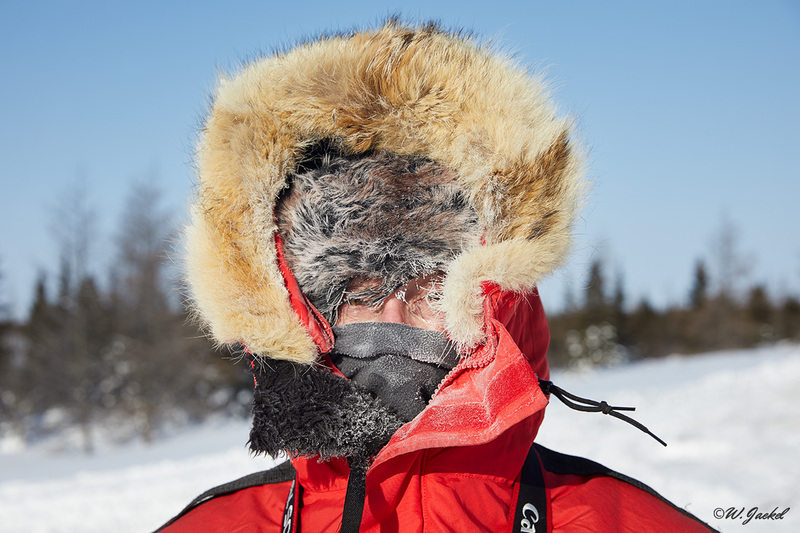 Battery life is a critical point in the extremely cold enviroment so that I had brought several spare batteries. 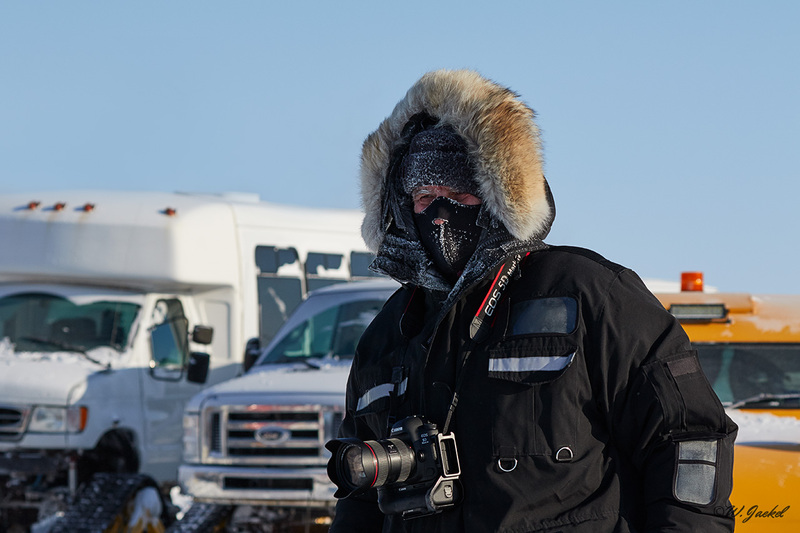 All the equipment worked flawlessly under those extreme conditions apart from the fact the battery management of the 1DxII in the cold nights left a lot to be desired compared to the one of the Nikon D5 /D850 cameras of the fellow photographers. 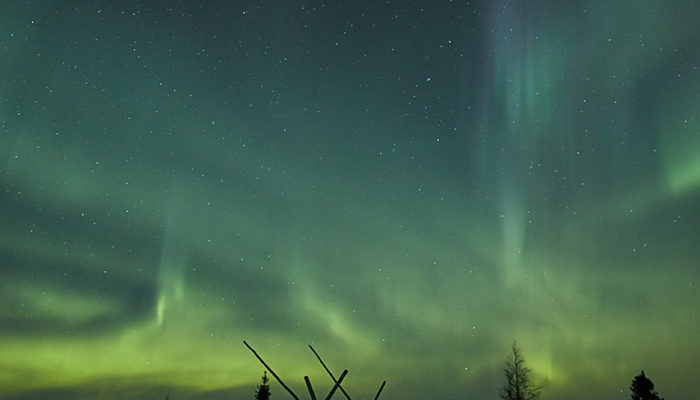 Therefore time lapse movies of the aurora unfortunately were not possible with my 1DxII. 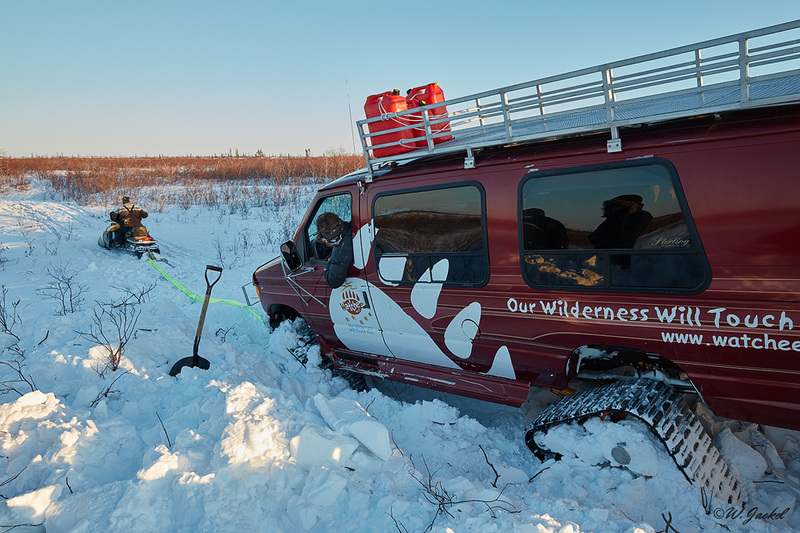 In summary this was an outstanding and unforgettable trip despite the difficult conditions. 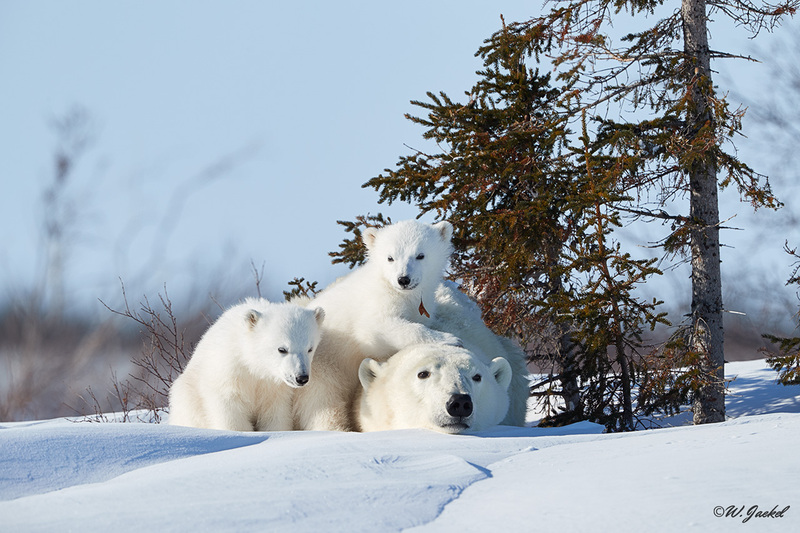 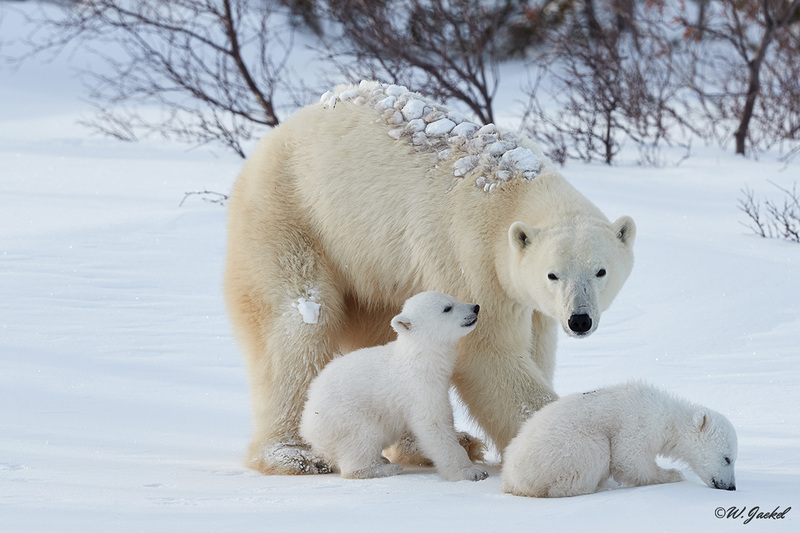 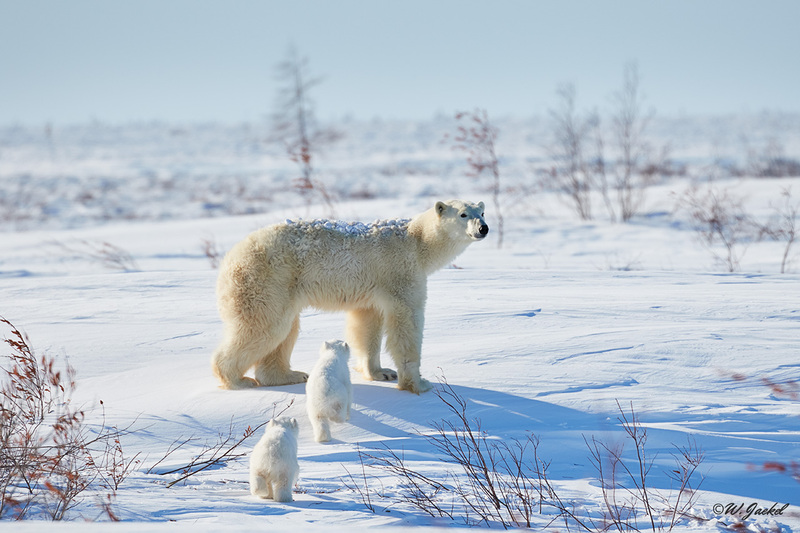 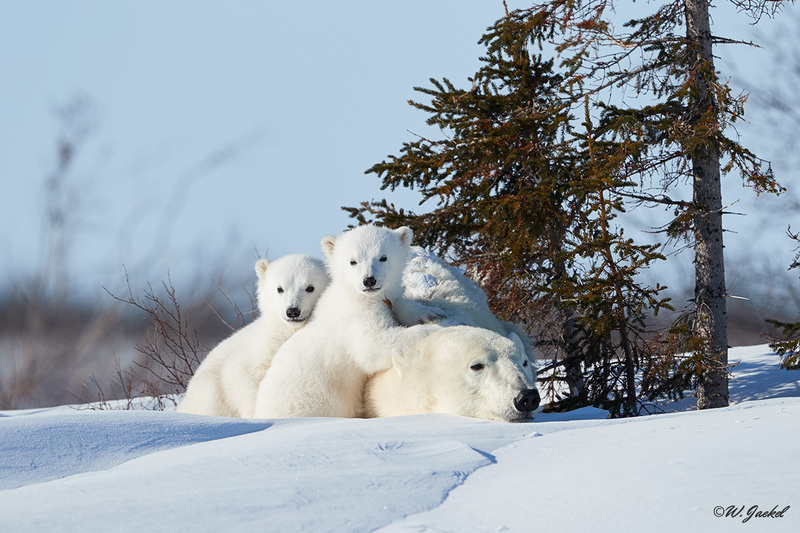 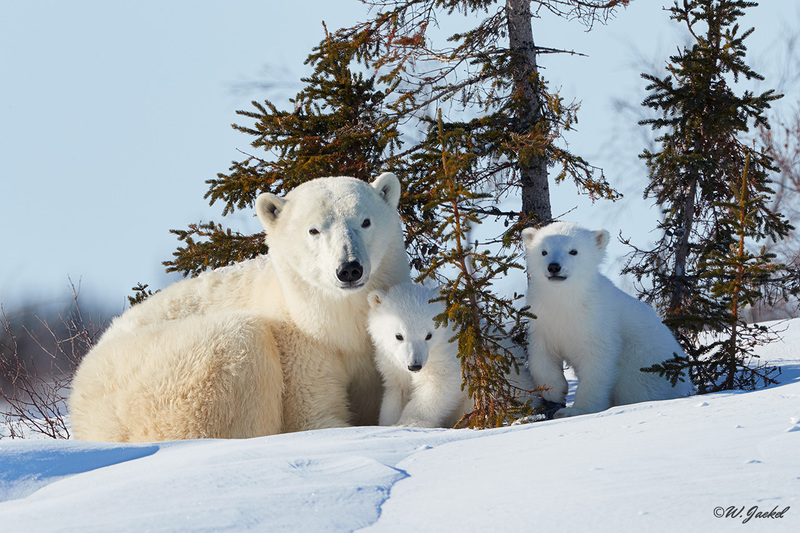 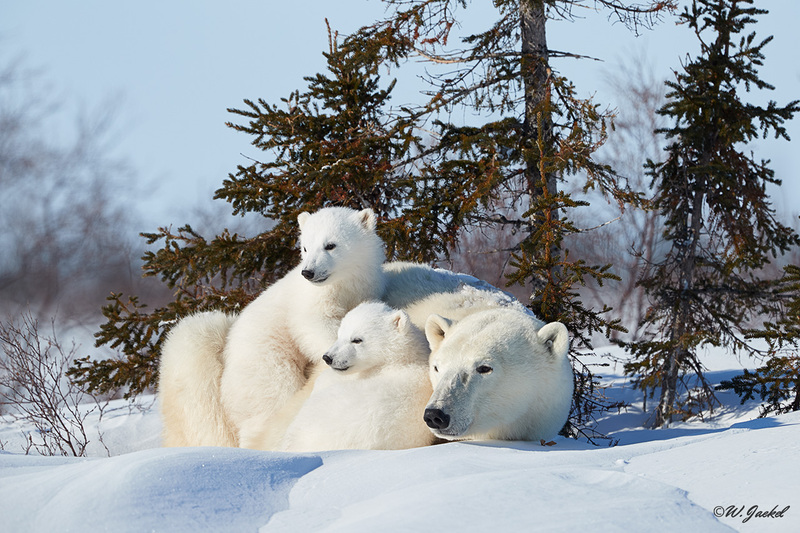 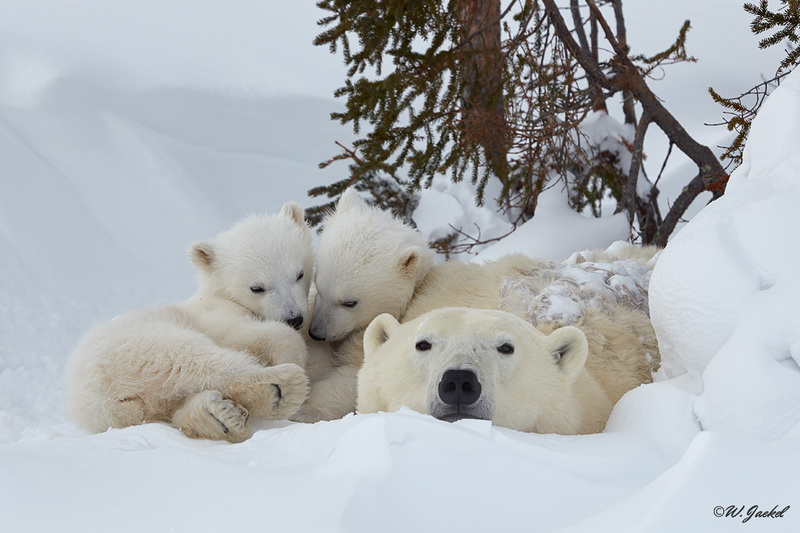 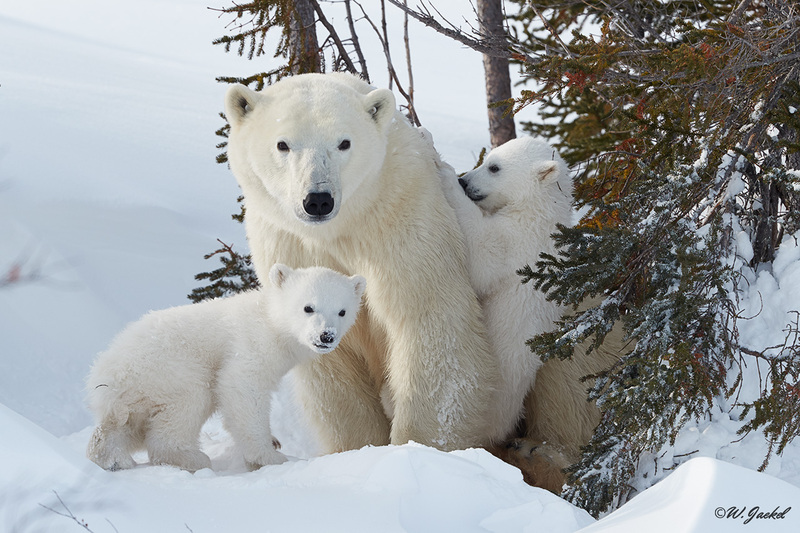 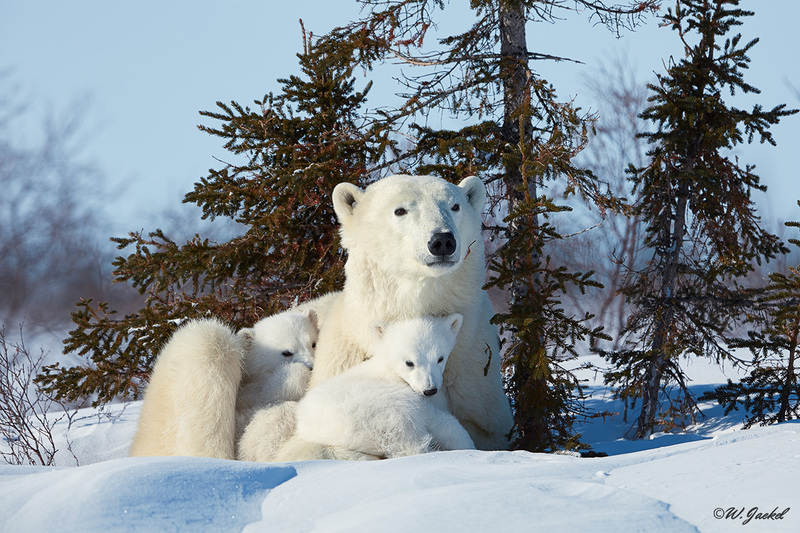 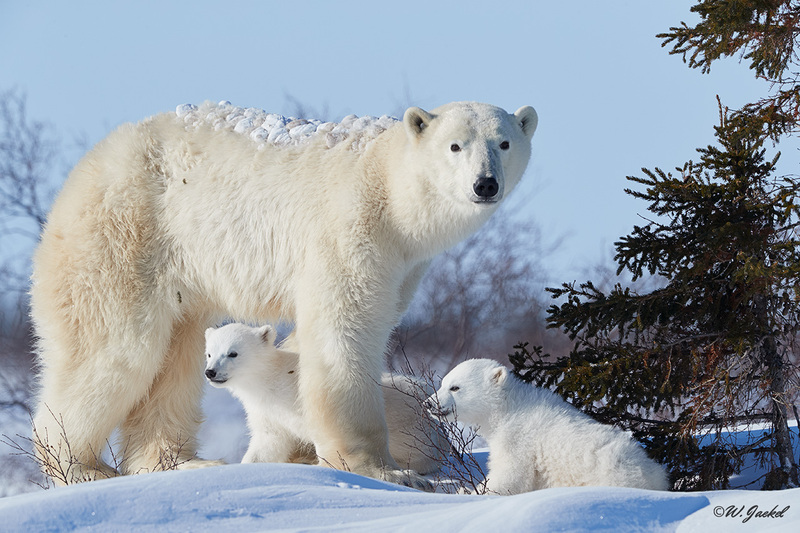 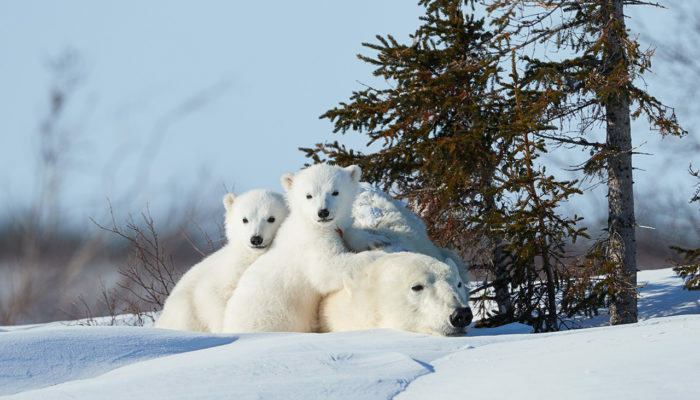 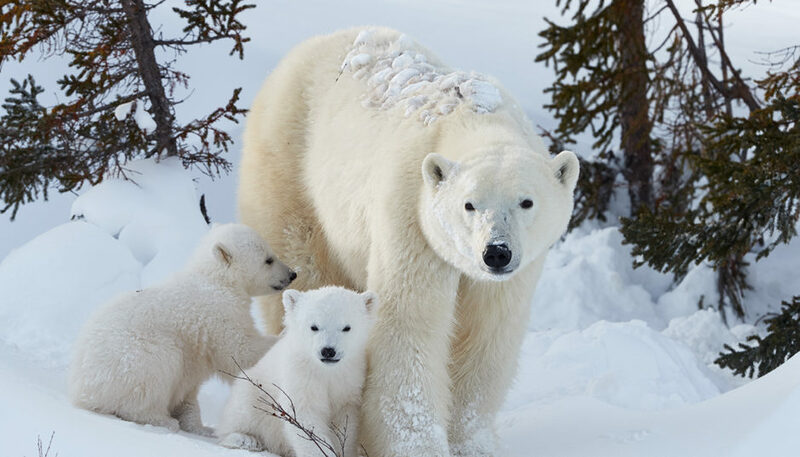 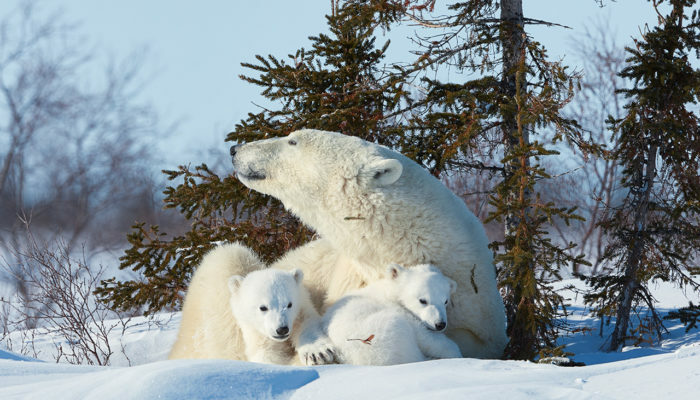 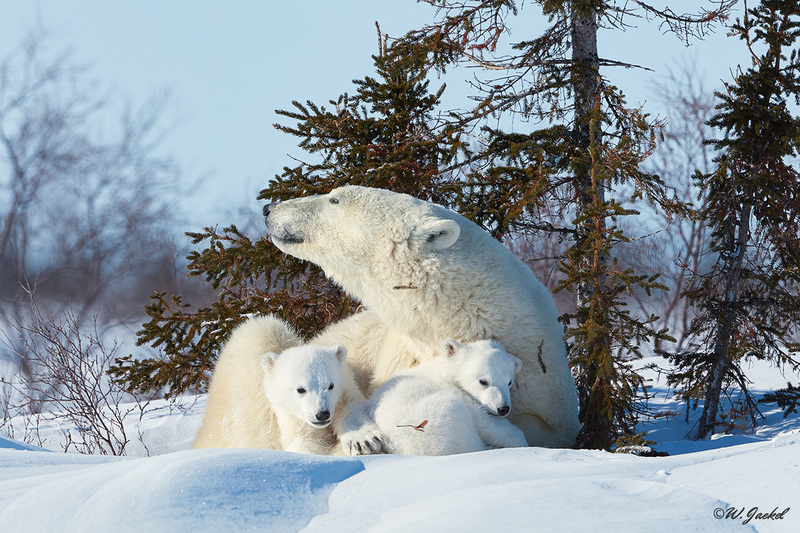 With the decline of the polar bears in mind and the rare opportunities to get to this remote place, the privilege of watching and photographing the polar bear mother with cubs in the stunning wilderness of the Canadian Arctic definitely could fulfill a lifelong dream. 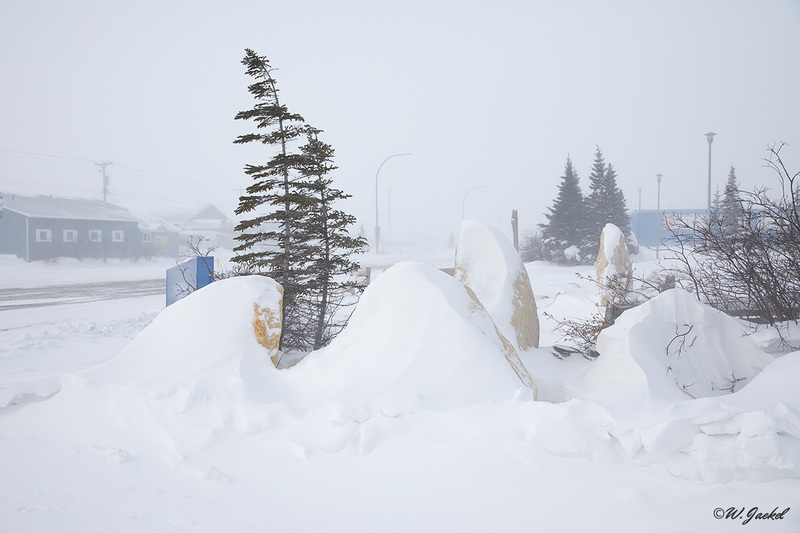 I definetely would be happy if I could return once again to this unique place in the world before the chances are gone due to the rapid climate changes.The unsure future of Churchill raises additional questions given the rapidly decreasing number of inhabitants willing to hold out the more as the railway damage has aggravated the situation. 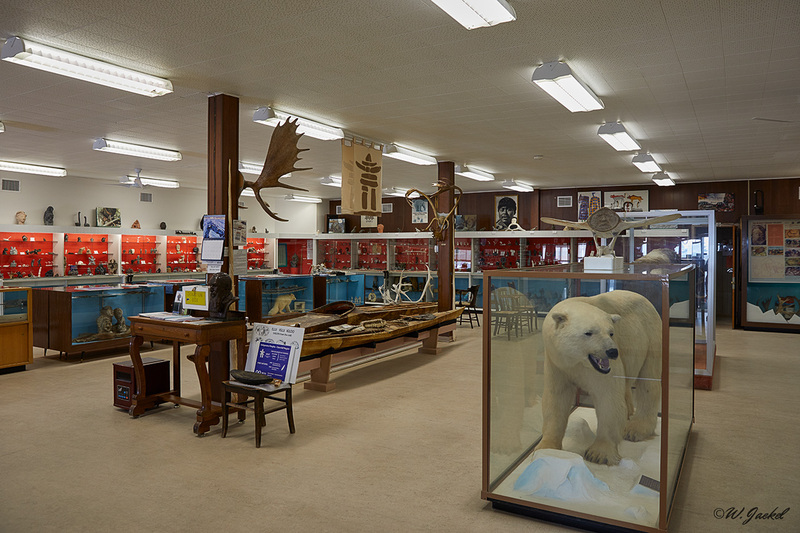 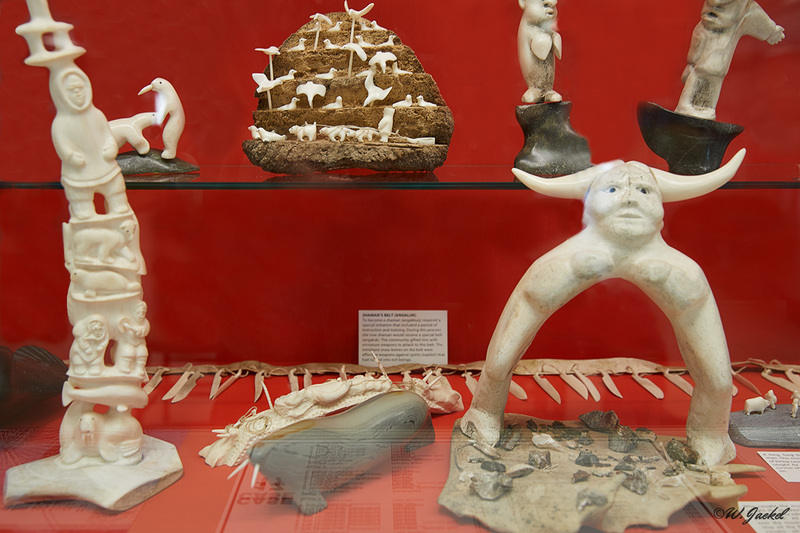 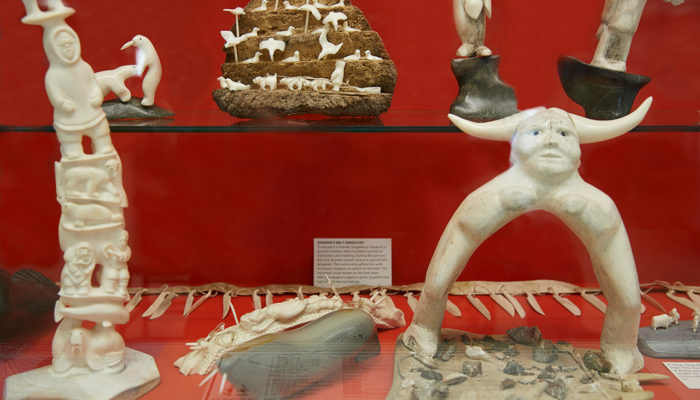 The gallery below only displays a small section of 4000+ photographs of the polar bears, other animals and the enviroment we came home with.